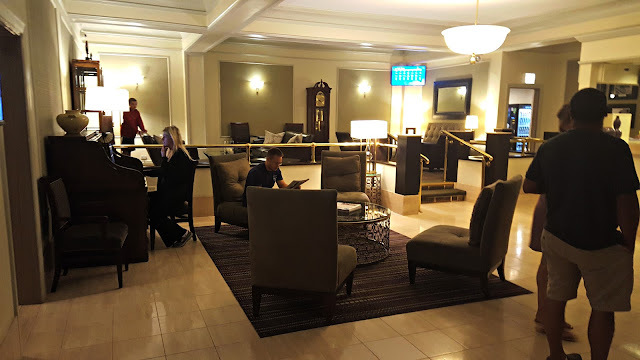 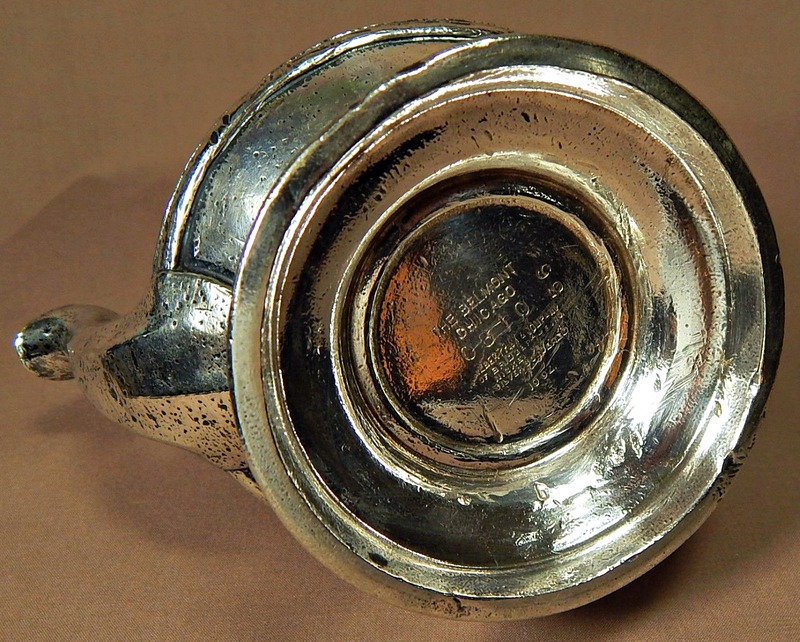 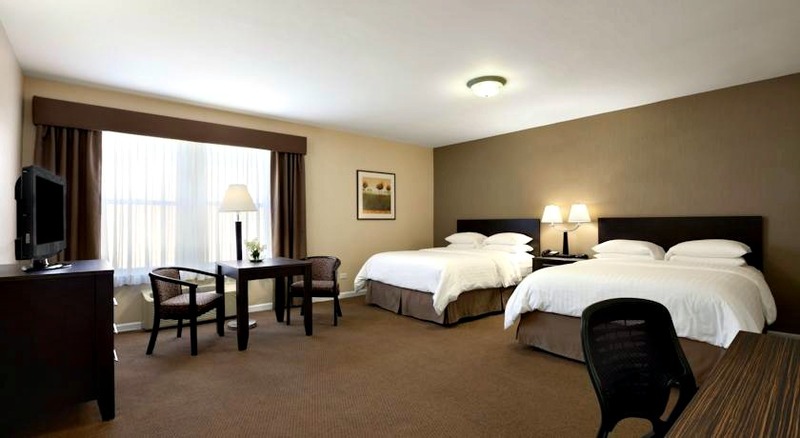 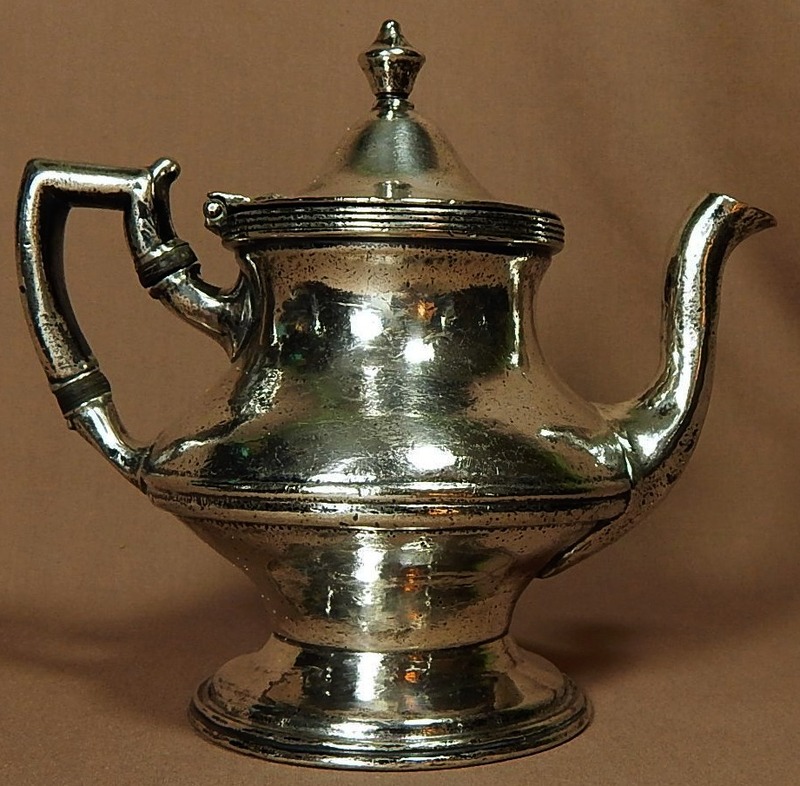 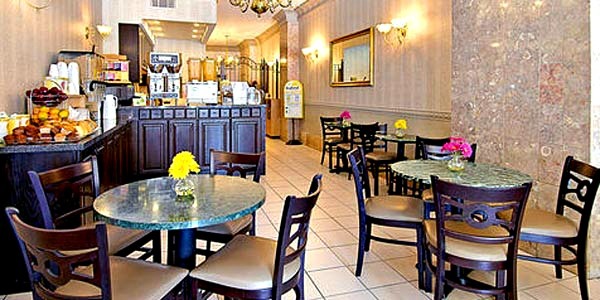 Read another review of residential hotels with this link. 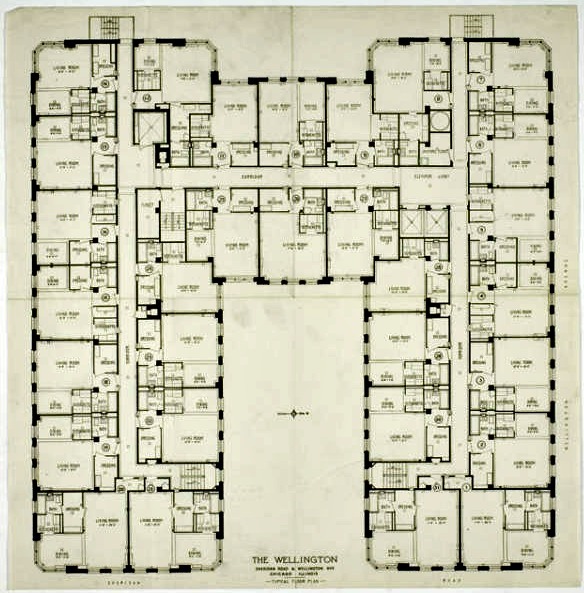 would allow residents of the multi-floor building the freedom from ownership maintenance of a building. 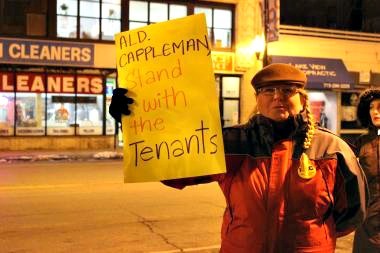 The owner like current apartment owners would only have the responsibility of the rental maintenance fees. 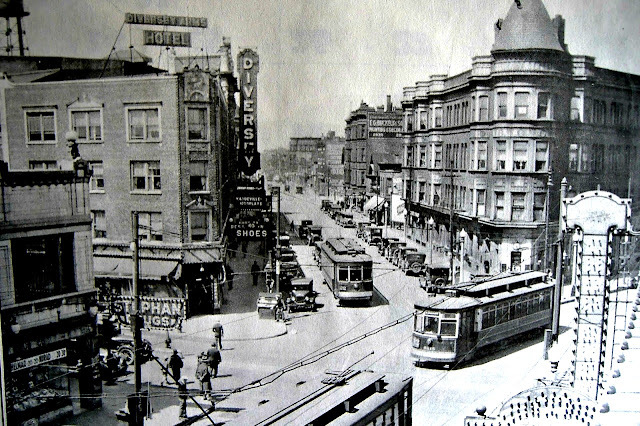 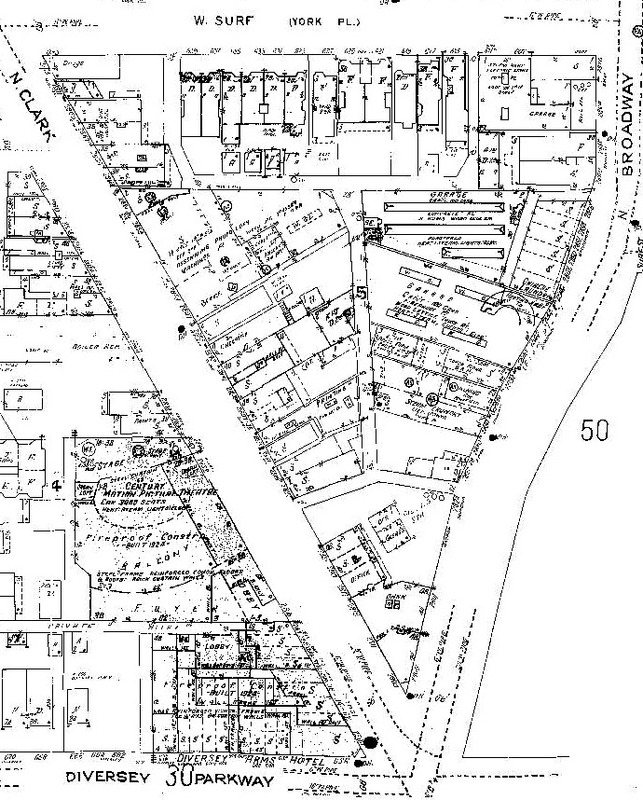 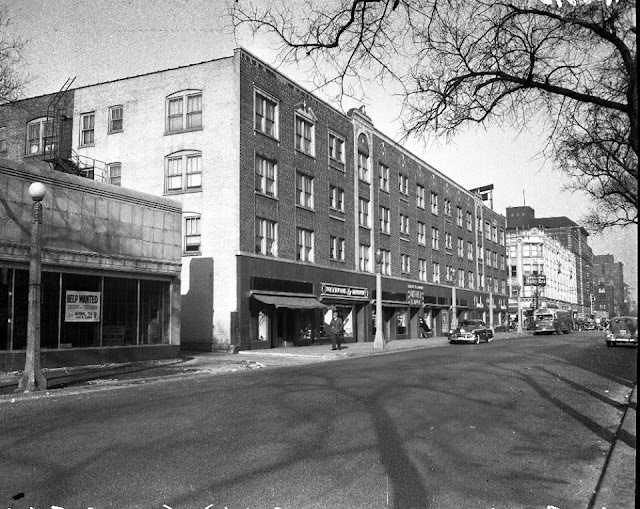 Both building complexes were owned by the owner of the Fair Department Store located downtown. 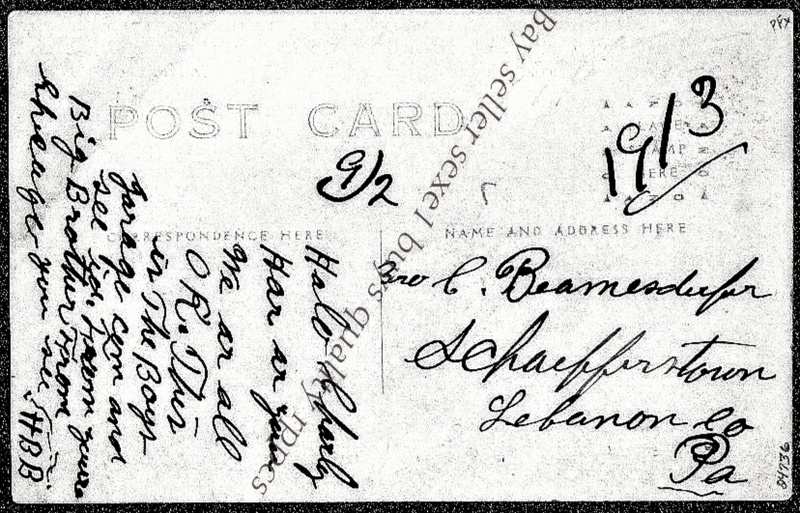 When Mr. Lehmann died in 1900 he was able his family inherited 10 million dollars. 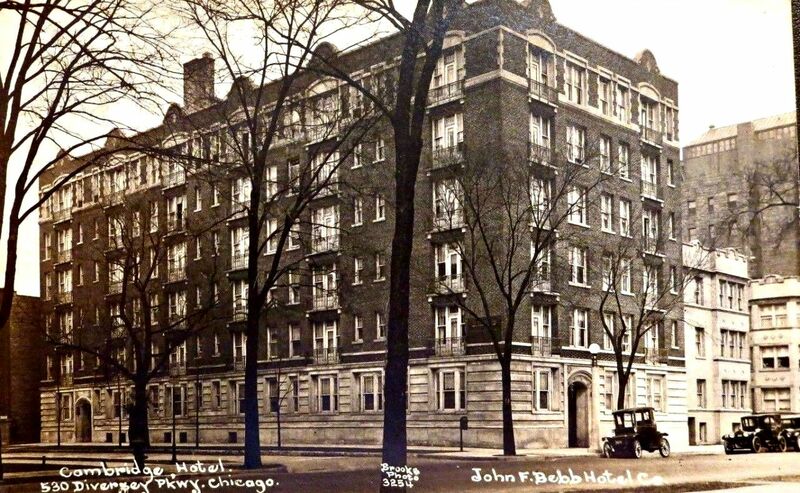 His family owned residences in Lake View. 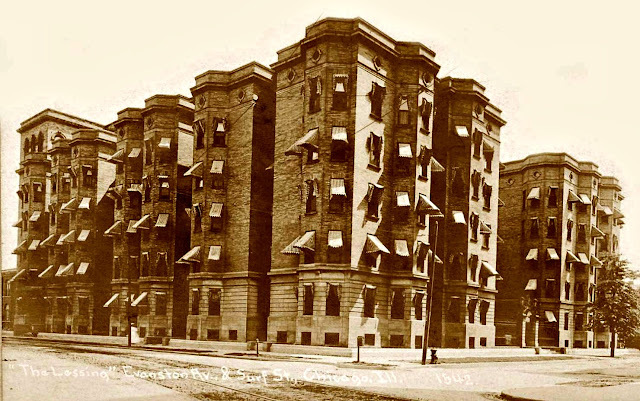 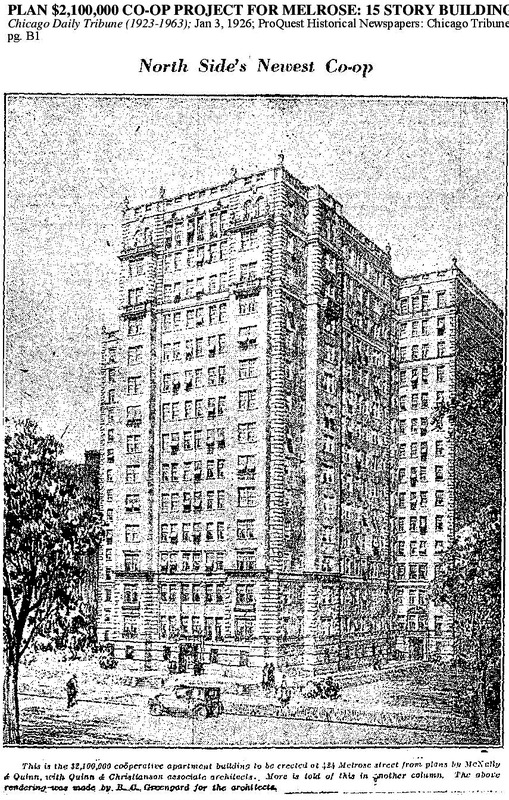 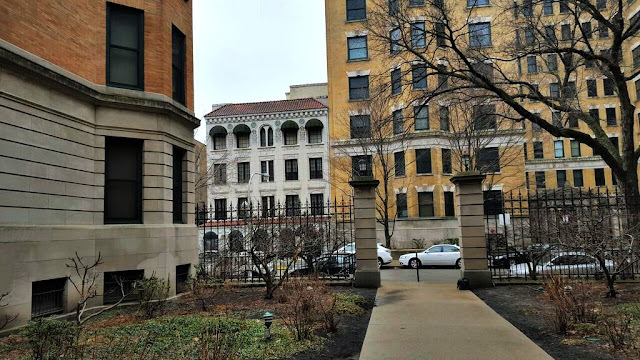 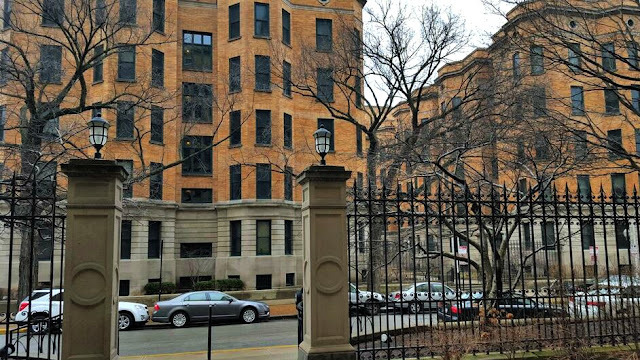 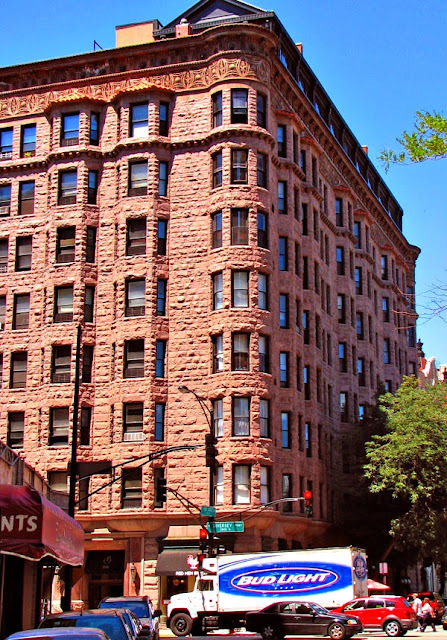 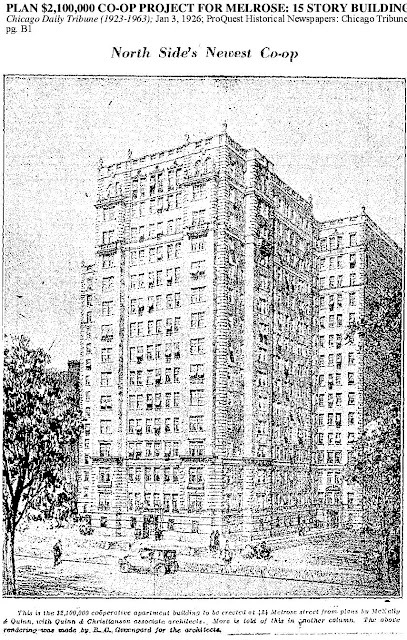 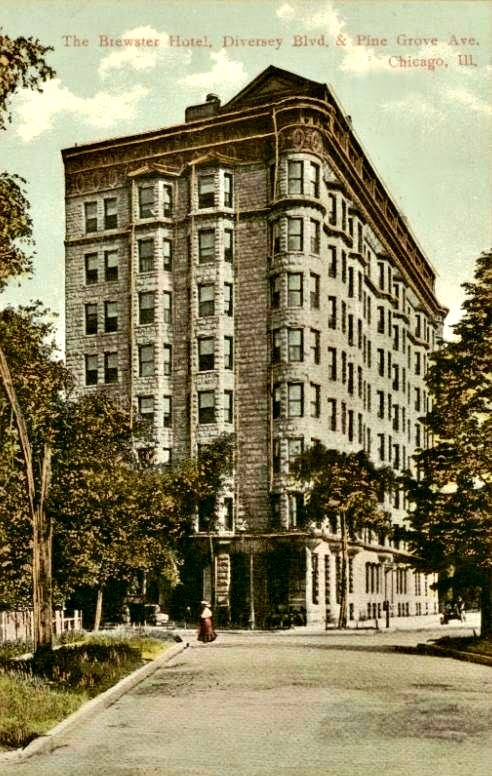 These unique apartments were commissioned by the publisher of American Contractor Magazine and completed in 1893 as the Lincoln Park Palace. 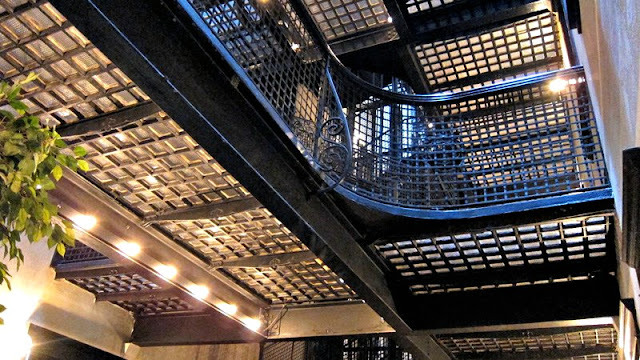 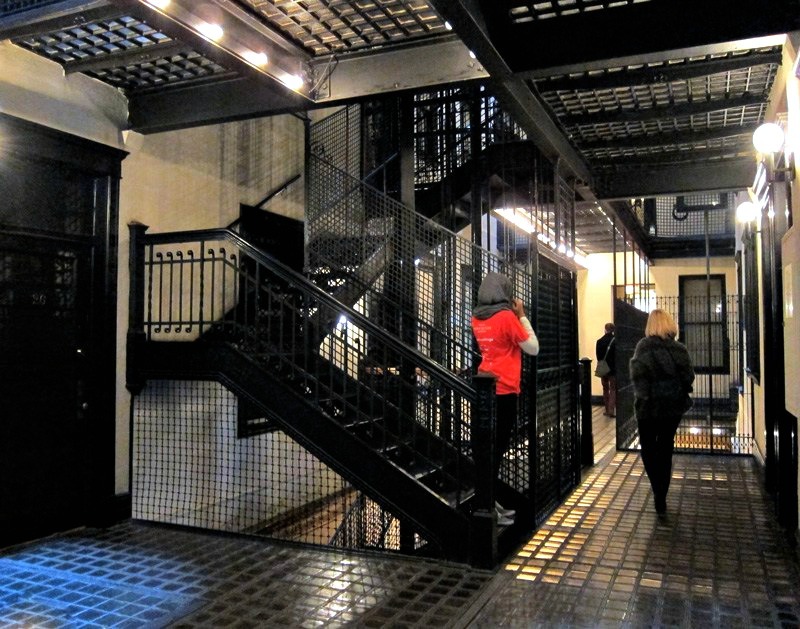 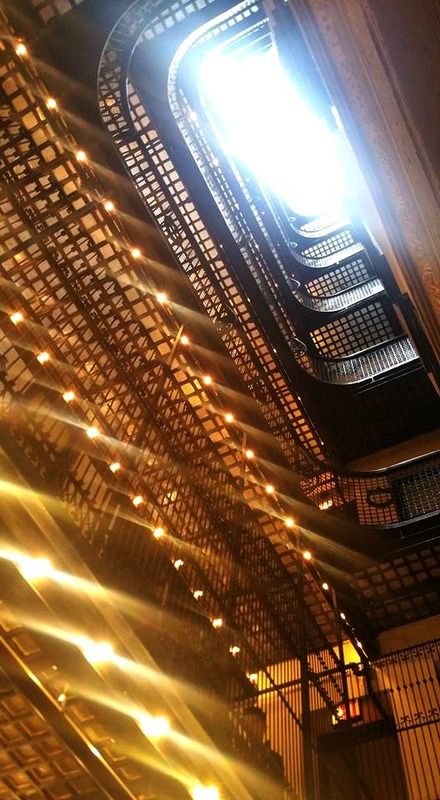 Designed by Enoch Hill Turnock, the building has been featured in movies such as Child's Play, Running Scared and Hoodlum. 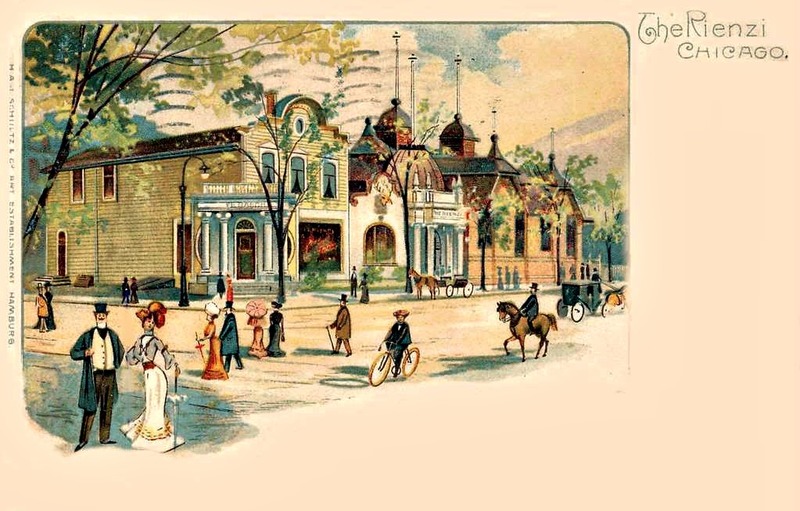 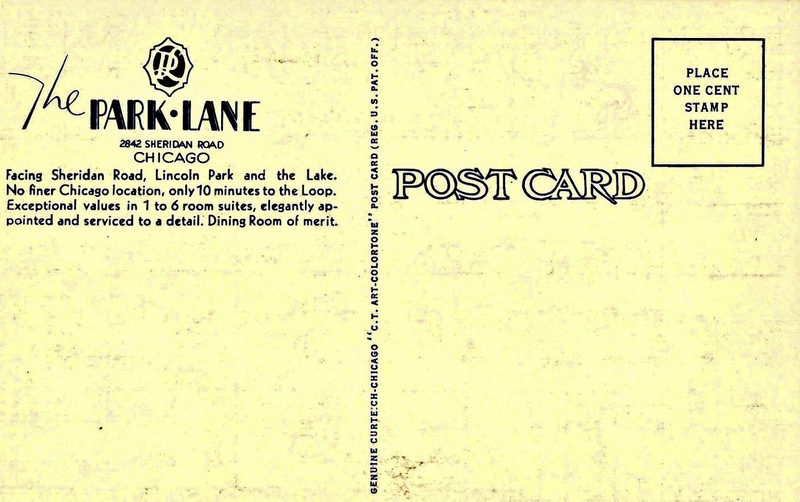 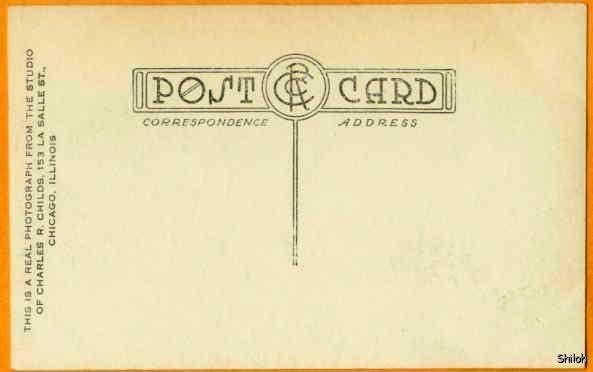 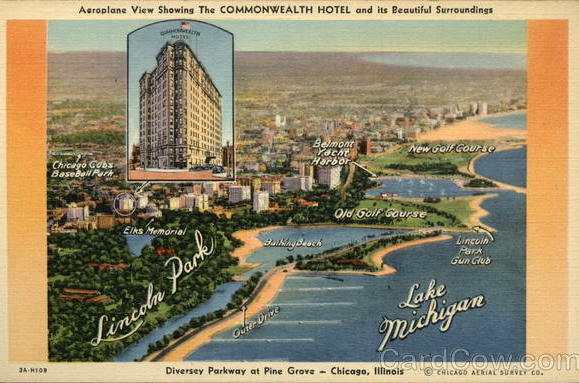 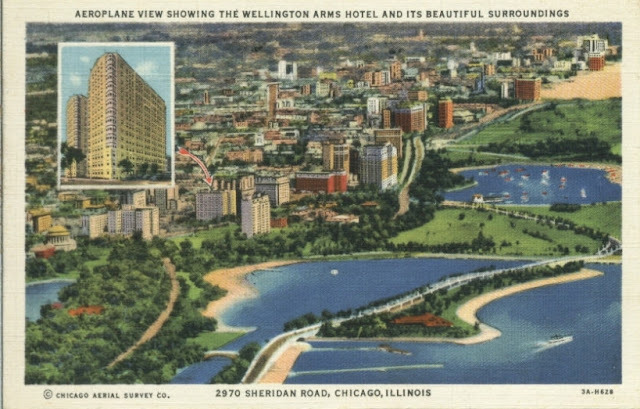 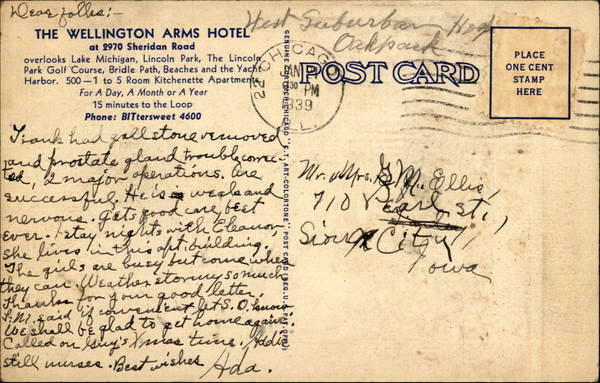 The beer garden may have been located on the northwest corner of Clark and Diversey Boulevard (Parkway) or the manufacturer of this postcard thought it was more market-able to list to tourists as a more recognizable street instead of Evanston Avenue (Broadway) in the late 19th century. 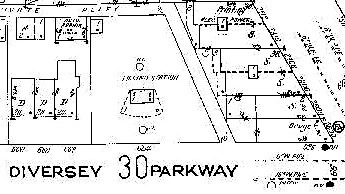 From this same spot in 1860 stood the 'mustering' Civil War Camp called Camp Fry that was once referred to as the area of Wright Woods and later the subdivision of Wright Grove. 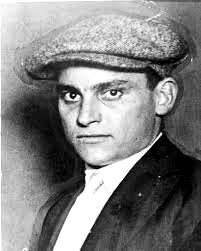 Joe Lewis was for famous comedian of the roaring 20's who after his contract expired told the manager of the Green Mill that he was to sign a new contract with the manager of the New Rendezvous. 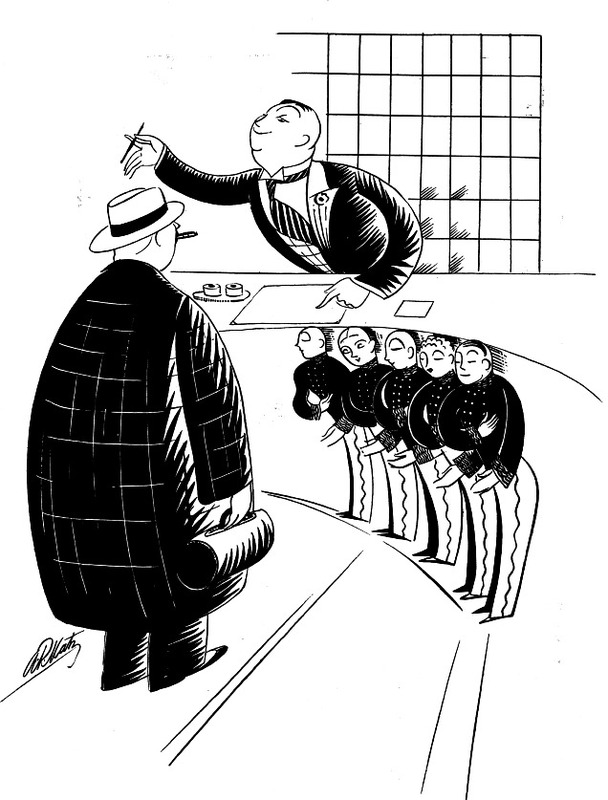 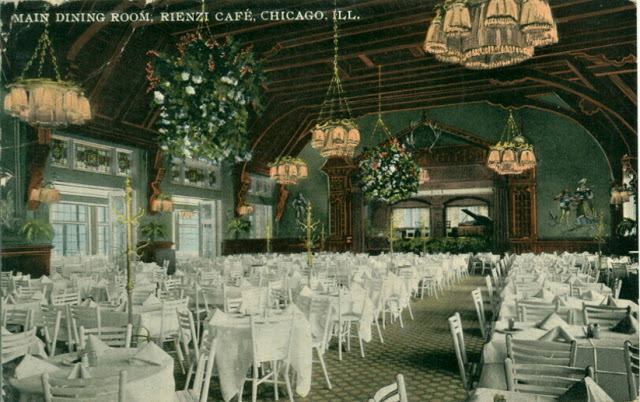 As mentioned above the Green Mill's sponsor was the infamous Al Capone while the New Rendezous was under the control of his rival Bugs Moran. 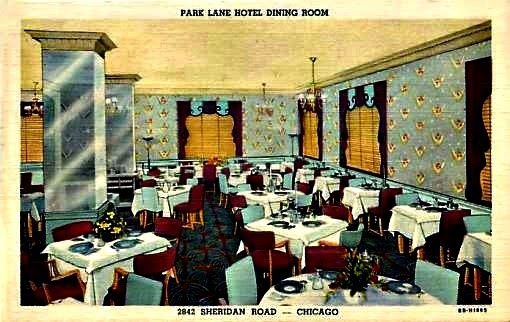 A story of drama of the roaring 1920's came to Lake View. 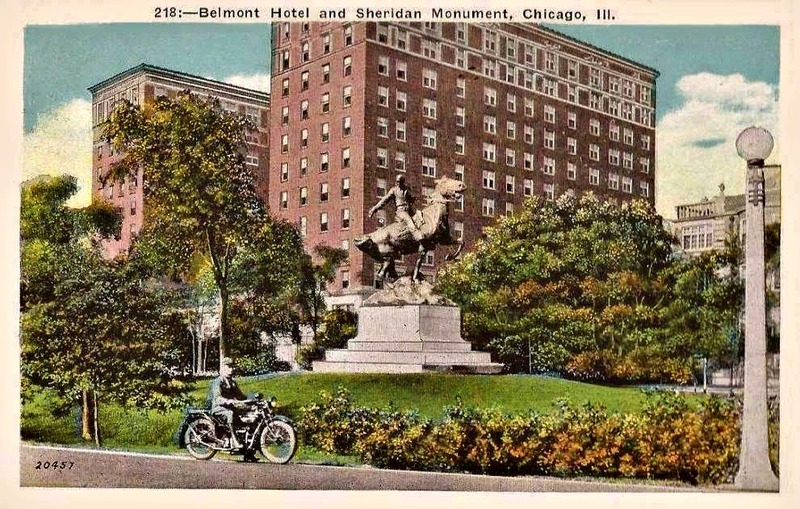 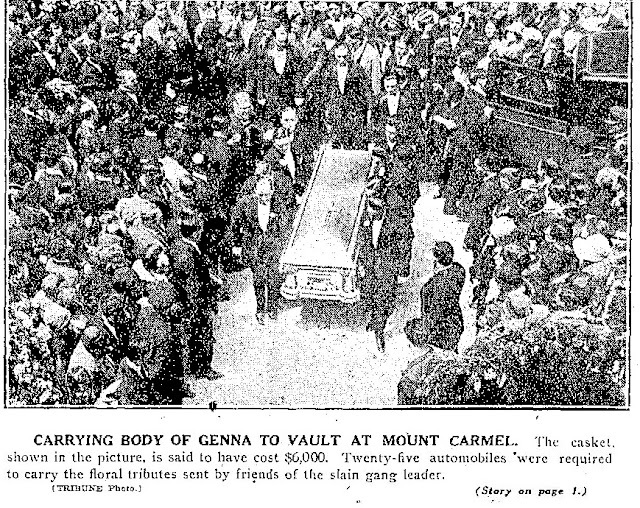 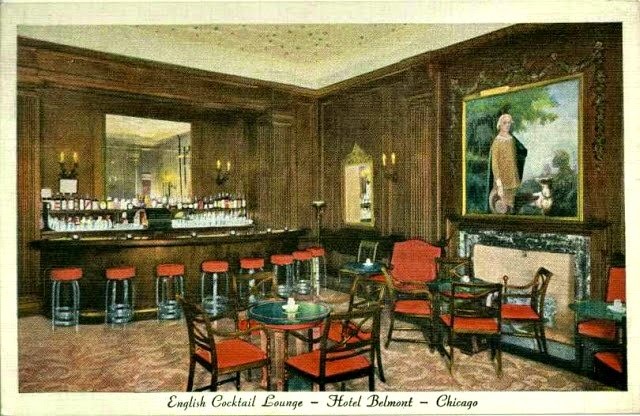 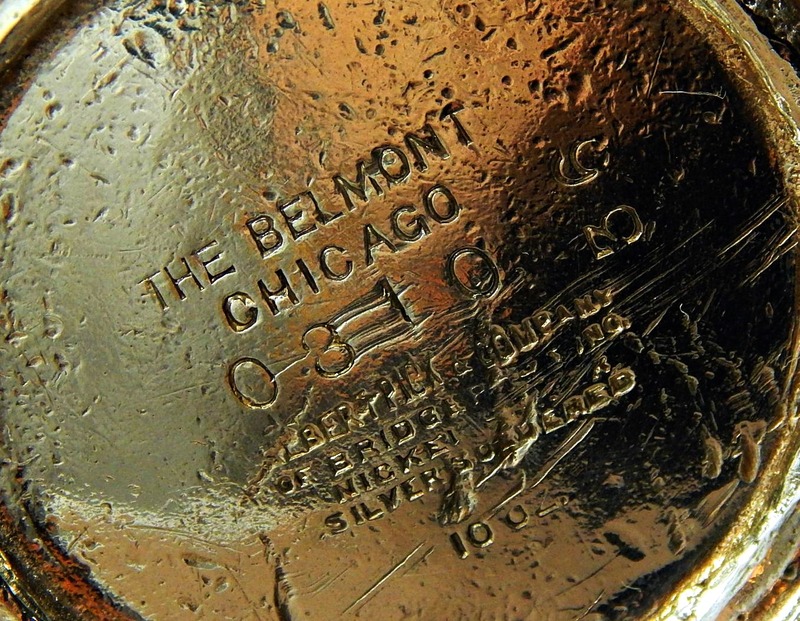 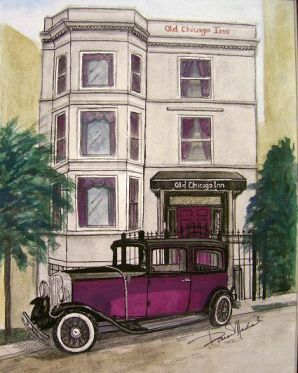 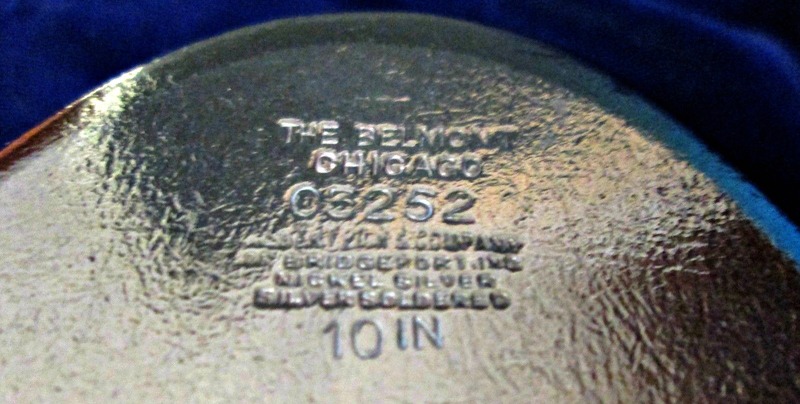 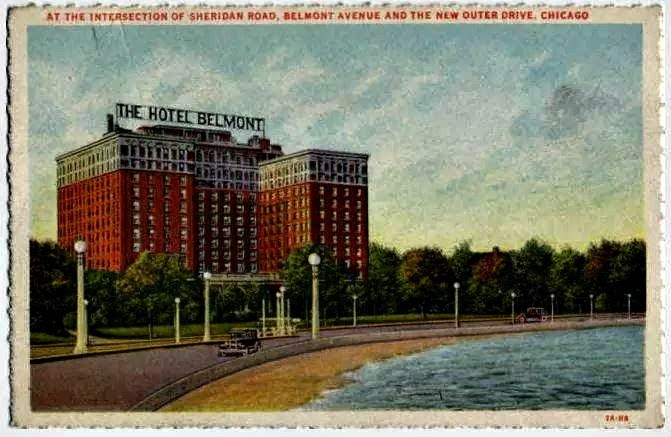 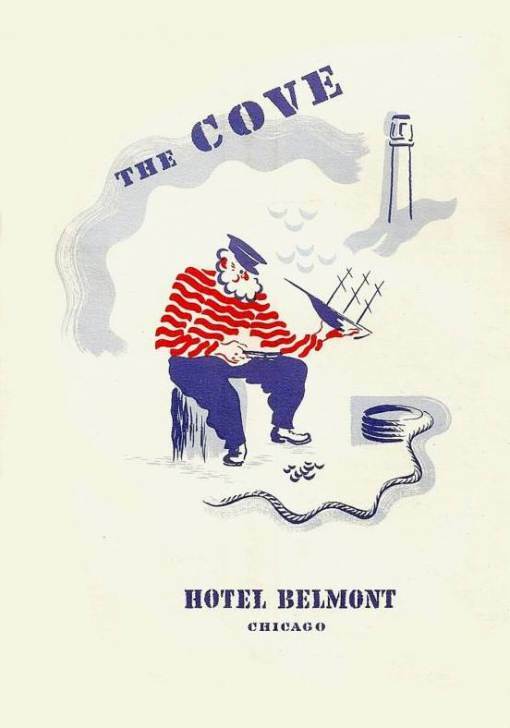 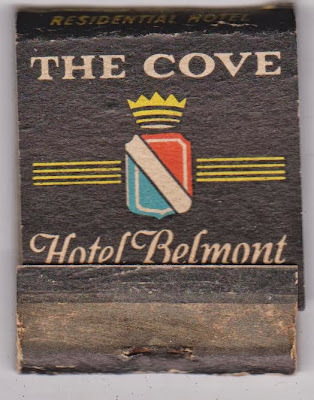 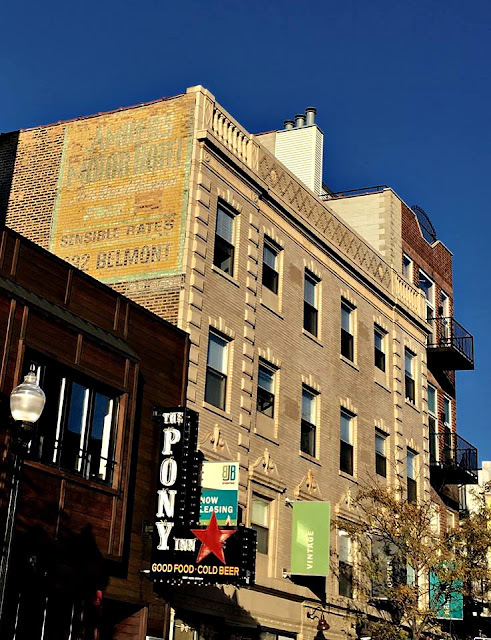 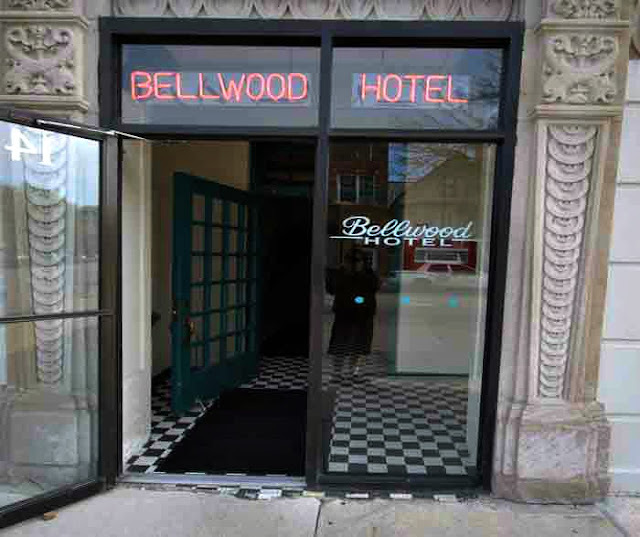 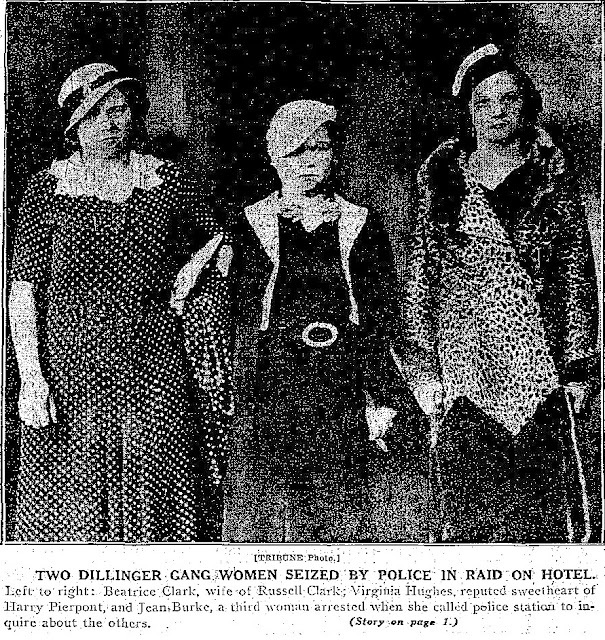 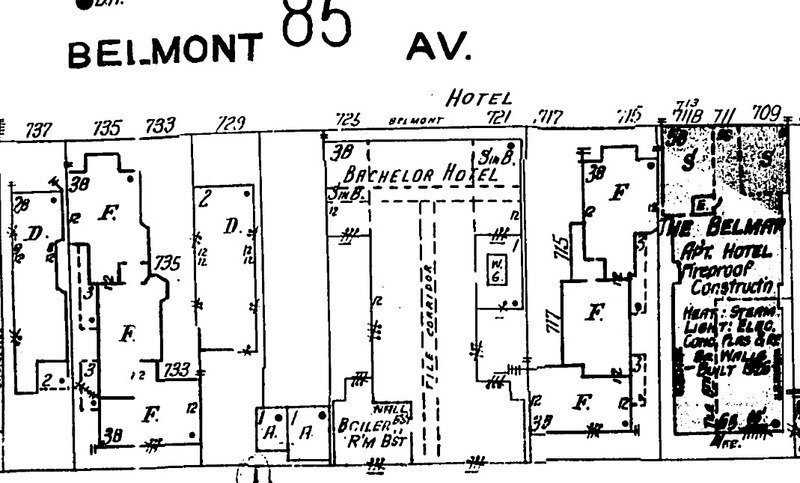 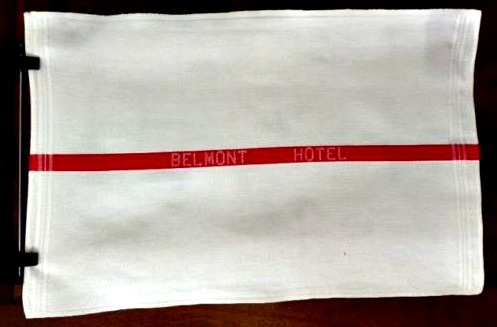 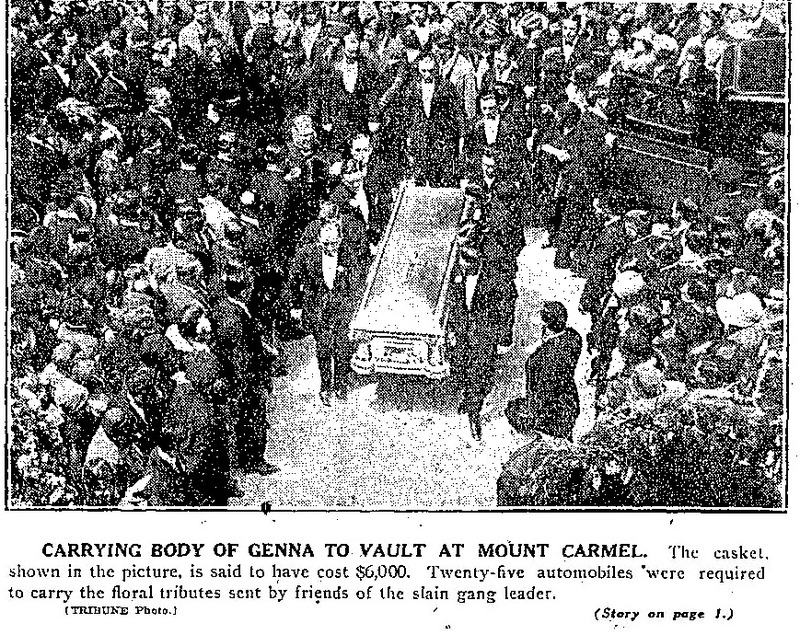 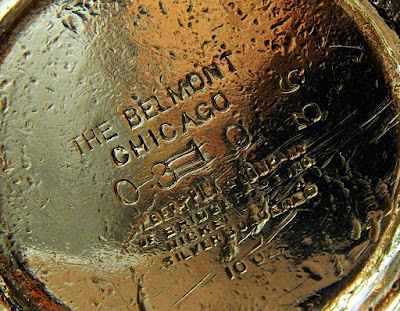 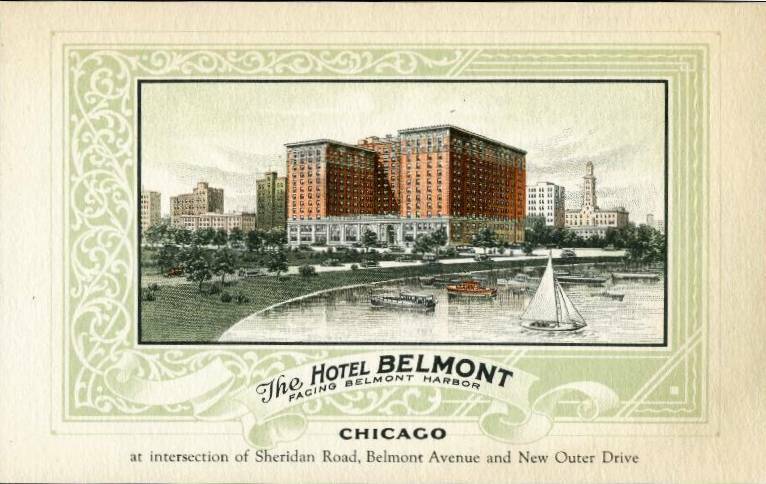 ‘The Belmont [Hotel] was the home of Angelo "Bloody Angelo" Genna (February 3, 1898 - May 26, 1925) was a Chicago bootlegger and organized crime leader during the Prohibition Era [1919-1933]. 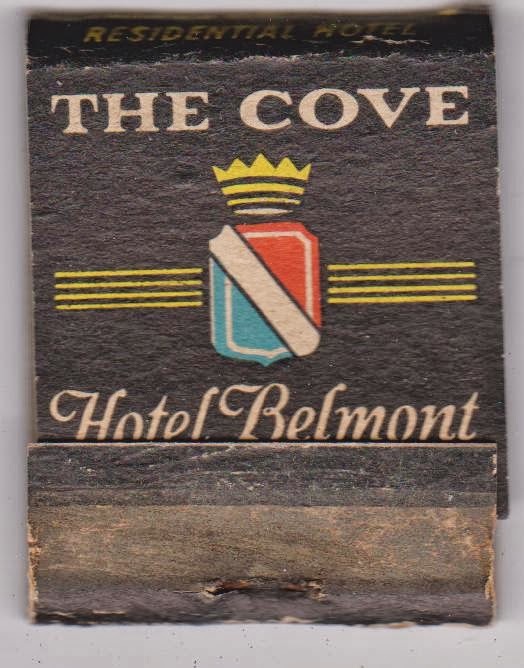 Get Your Drink on @ The Cove-Belmont Hotel! 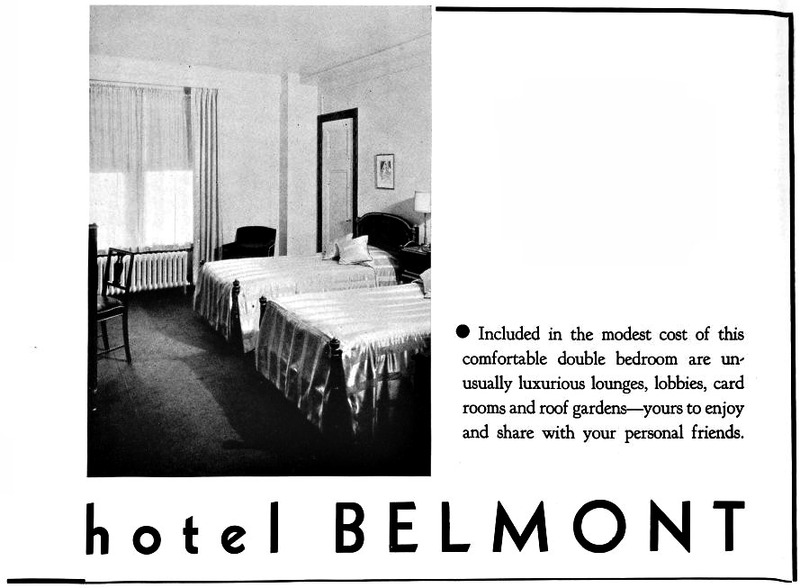 The Tango, an airy, romantic room in the Belmont Hotel decorated with Andy Warhol’s Mao and art by Peter Max. 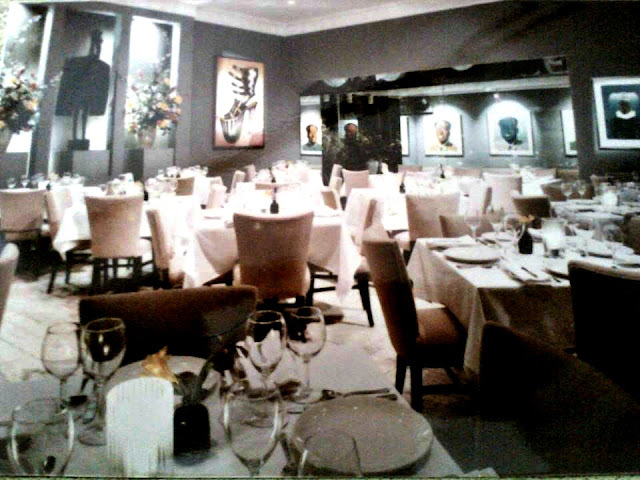 It featured fresh fish all flown in from the East Coast. 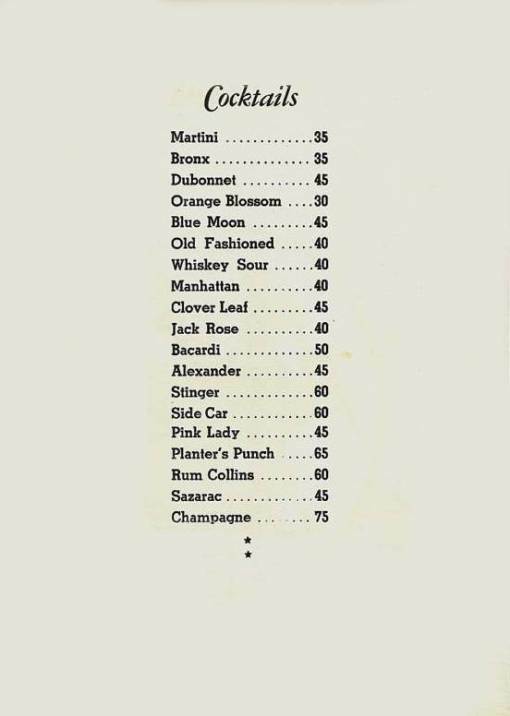 Wine stewards, salad waiters, maitre d' with great escargot and Duckling A L'Orange and a list of 200 wines. 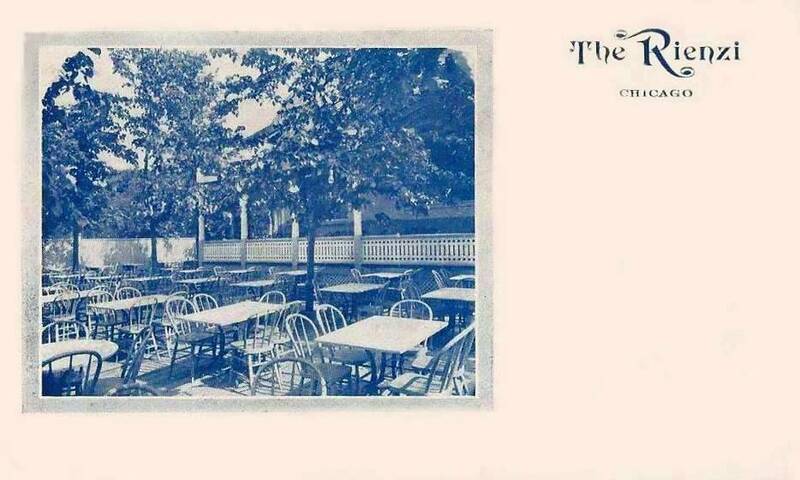 who began in Lake View with 'The Brewery' on 3100 block of Broadway in 1970 with its selection of good beers, contemporary salads and great burgers, in a very hip and young environment, full of greenery, it was way ahead of its time in the field of what would be called later gastro-pubs for young and active crowds. 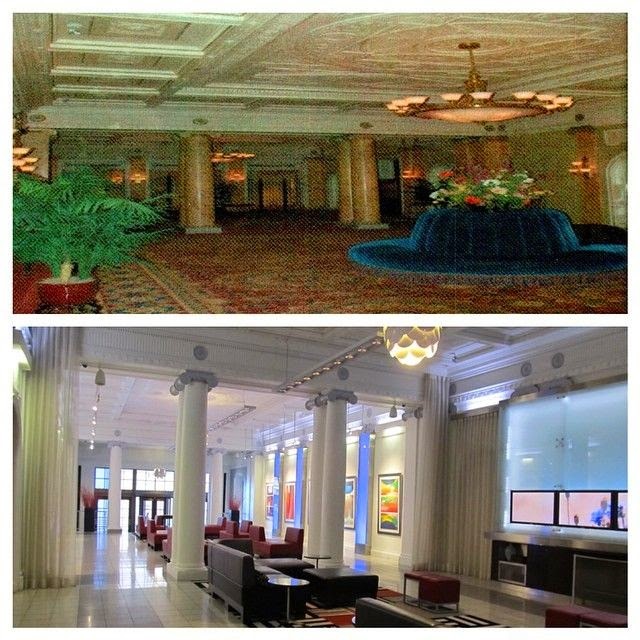 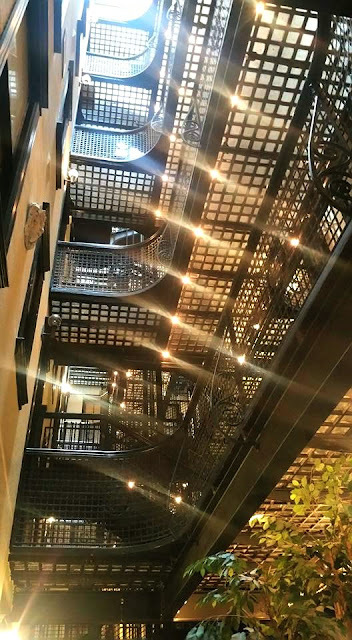 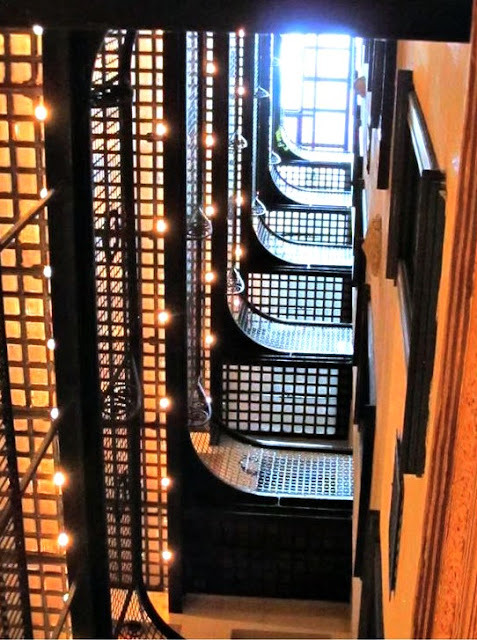 By 1993 the hotel was purchased by a rental company called Reside Living and converted the building for modern use. 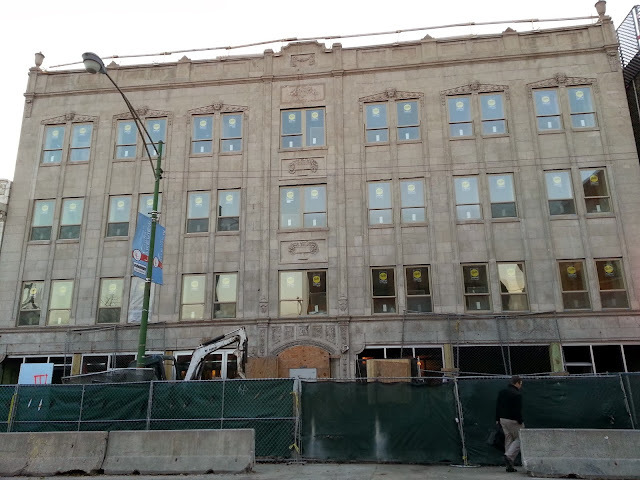 View more photos of the current look of this hotel via EveryBlock and Yo Chicago. 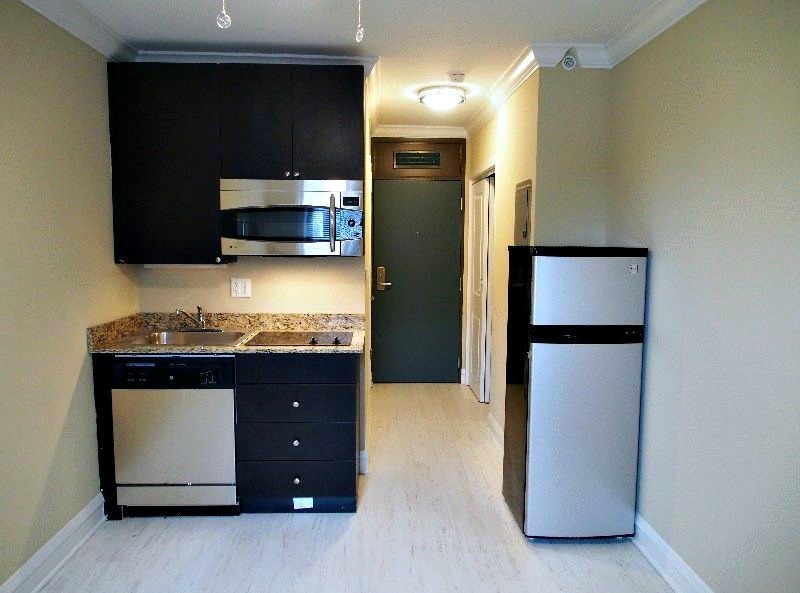 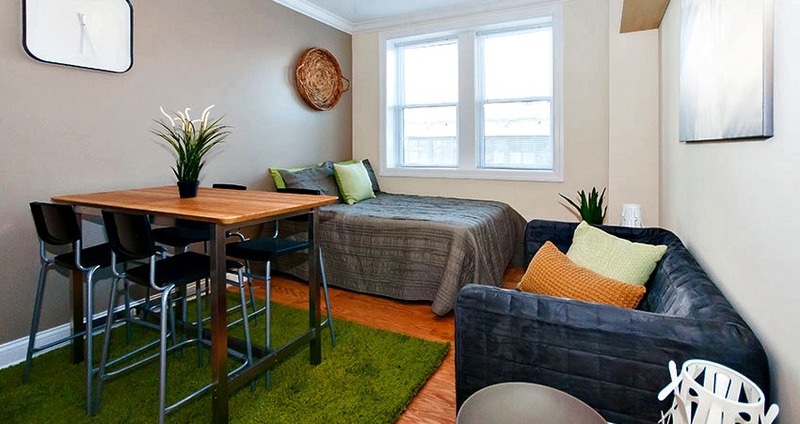 A rental company called Reside Living' bought it in 1989 and completely renovated it. The Montfield Hotel which used to be located at 3146 North Sheffield on floors four through six struggled with vacancy until 1984, when a developer received a federal loan to convert the Montfield Hotel into 54 apartments, maintaining stores on the ground floor. 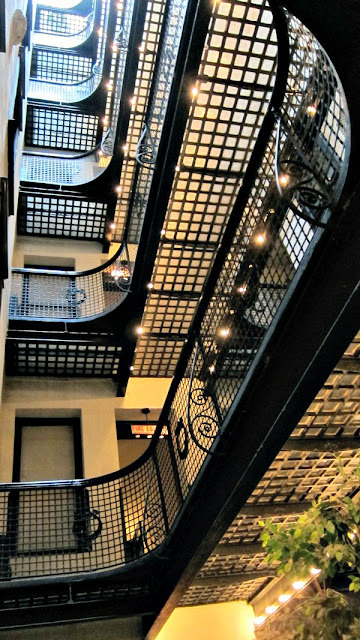 The building was sold again to another developer and the upper floors were converted into loft condos in 2005, which are now listed at the address 3150 N Sheffield. 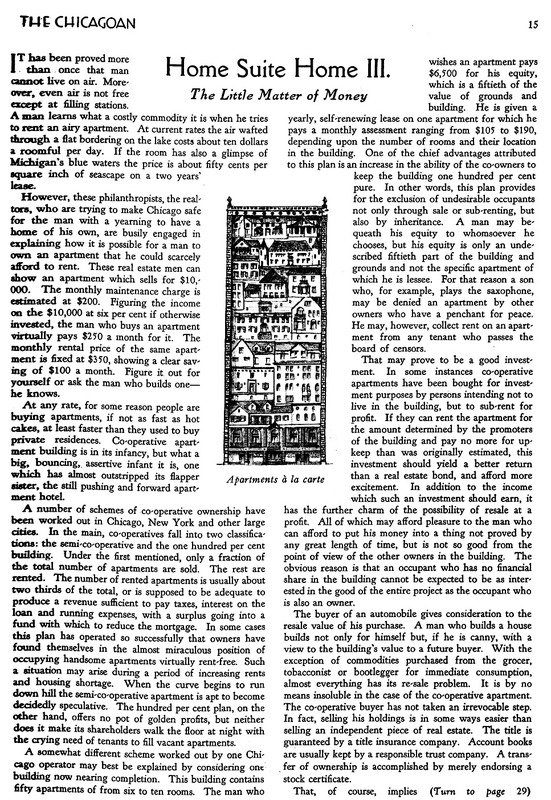 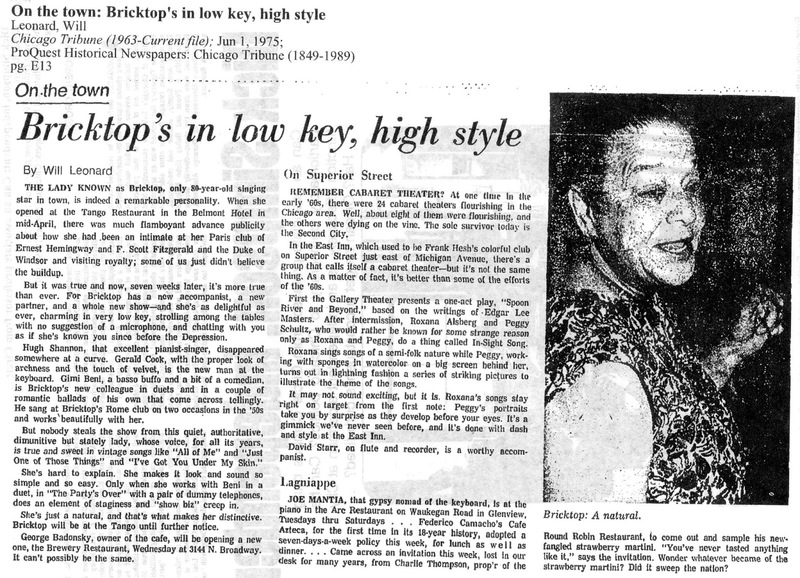 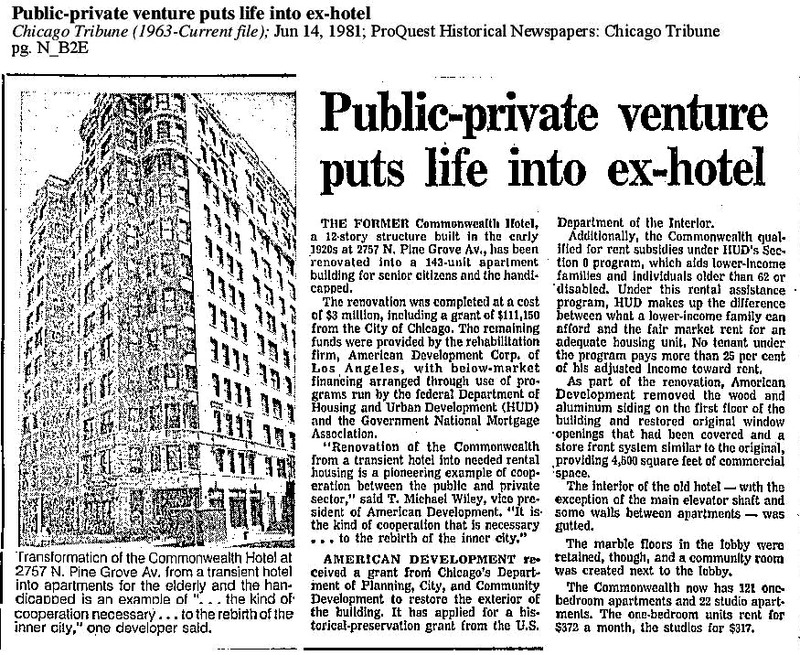 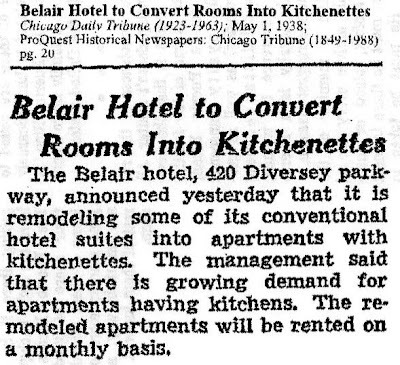 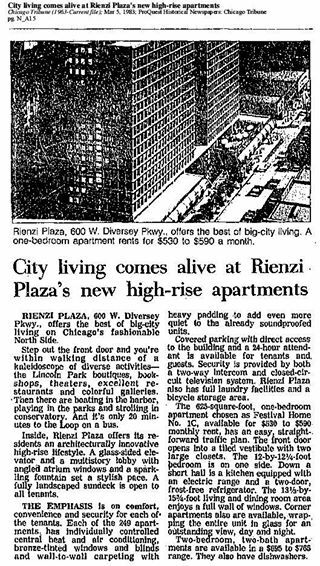 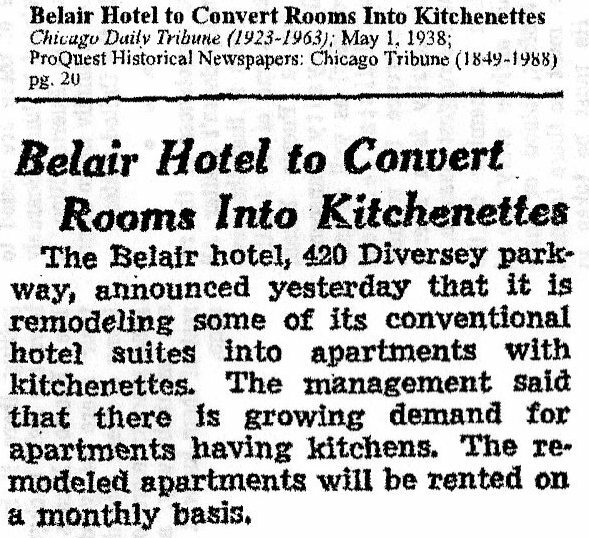 According to the article below the hotel and then later the entire upper floors were converted to apts by 1984. 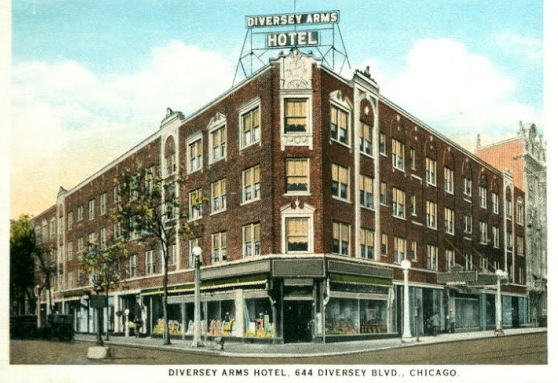 Diversey Arms Hotel located on the corner of Clark Street and Diversey Parkway is now the home of the Days Inn. 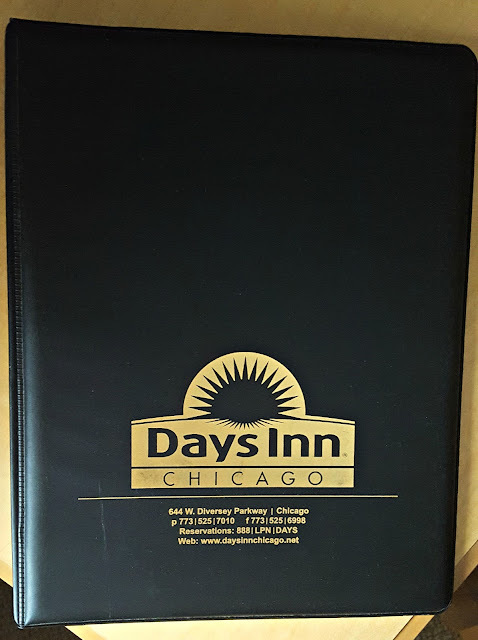 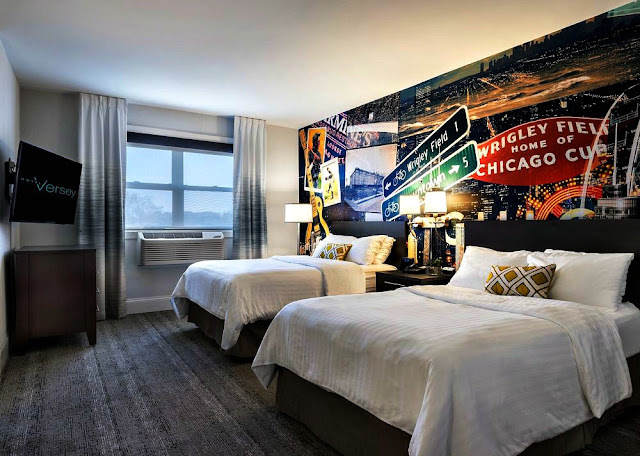 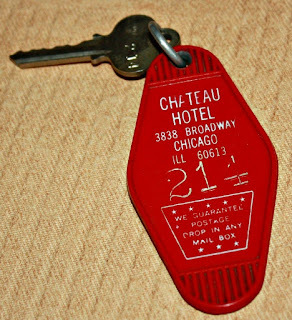 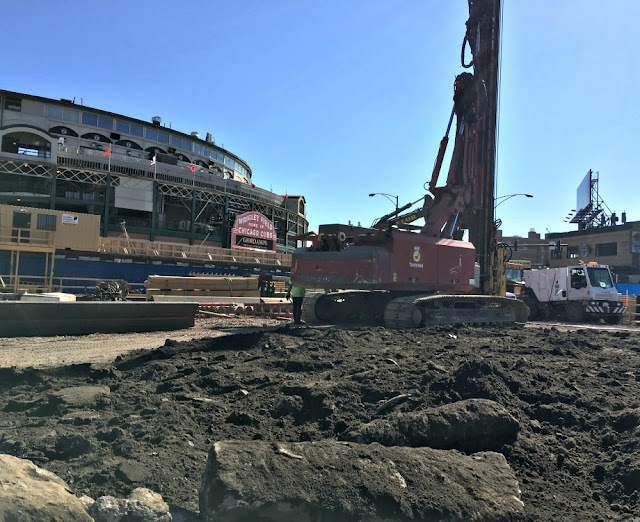 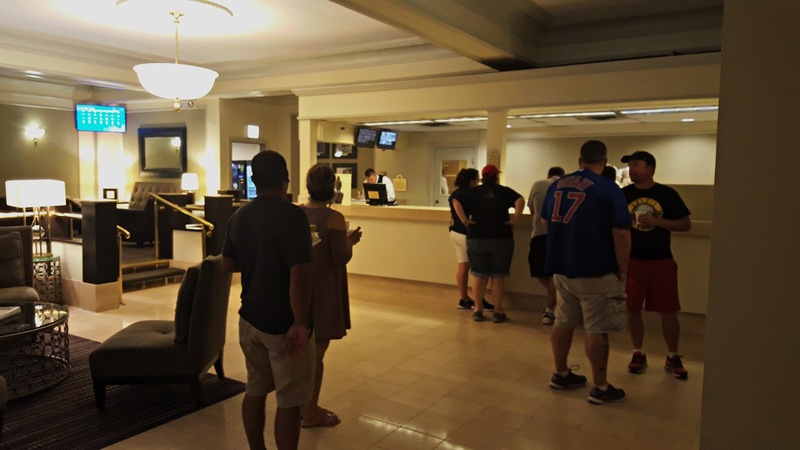 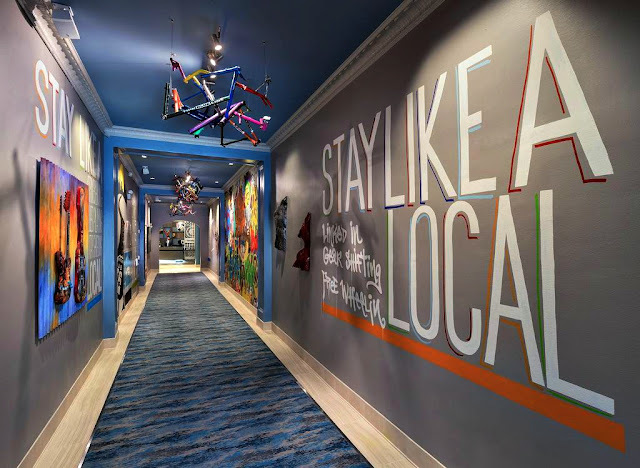 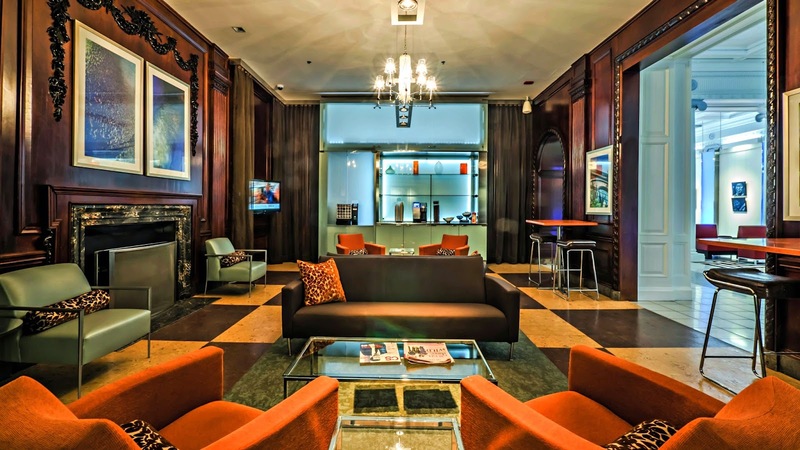 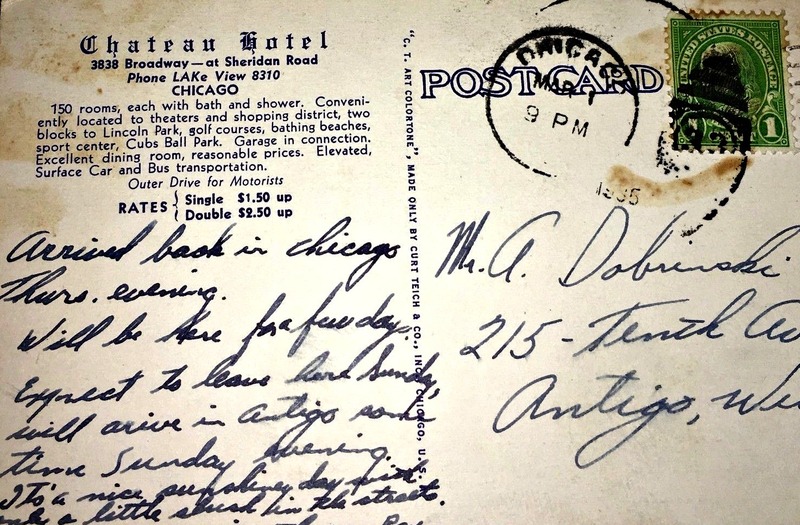 'The Days Inn Chicago has been known by many names, like the "Rock and Roll Days Inn" and the "Chicago Boutique Hotel - Days Inn on Diversey," but its history is entirely one of a kind. Many performers have stayed at our Chicago hotel throughout the years, and few hotels can boast a guest list that includes Foo Fighters, Nirvana, Smashing Pumpkins, Wilco, Red Hot Chili Peppers, and Black Keys, to name but a few. 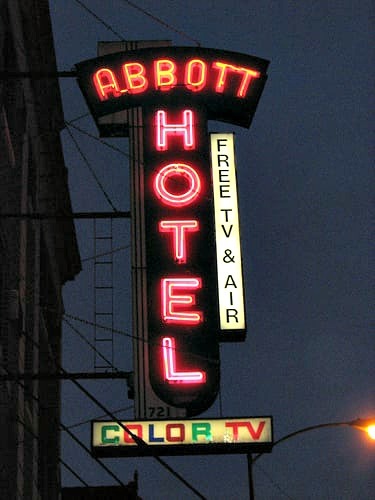 Back in the day, bands staying at the hotel meant discolored bathtubs from hair dye, Kurt Cobain and Courtney Love…, Sheryl Crow rollerblading through the hotel lobby (not permitted), a front desk clerk doing laundry for the Goo Goo Dolls, Alanis Morissette bringing sushi to a front desk clerk, musicians sitting in the lobby playing the guitar. 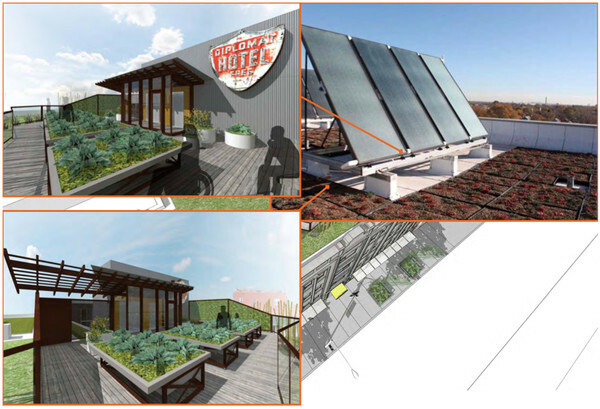 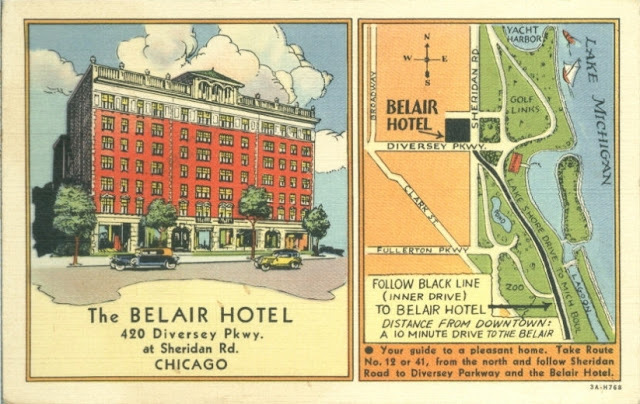 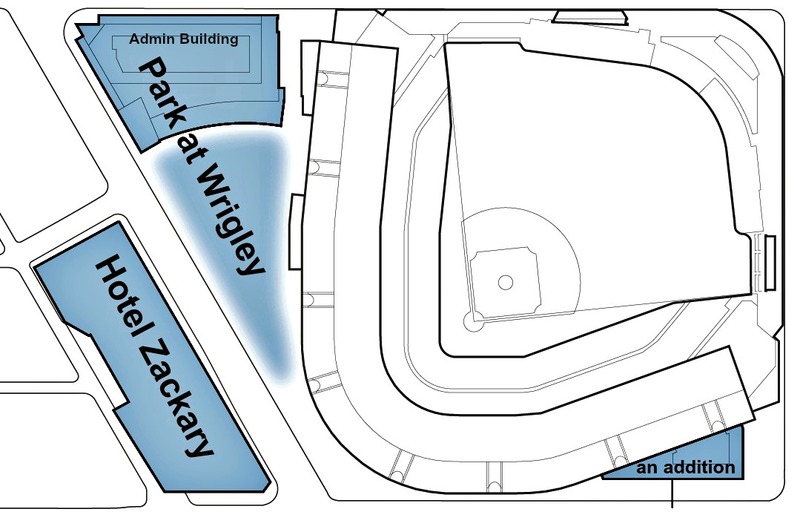 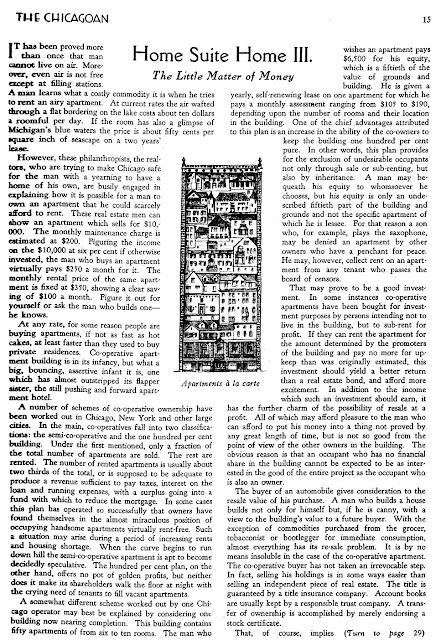 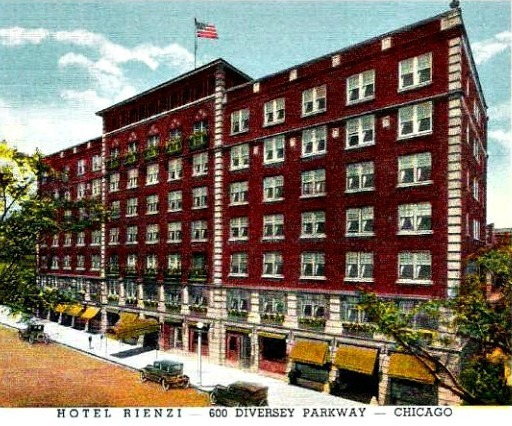 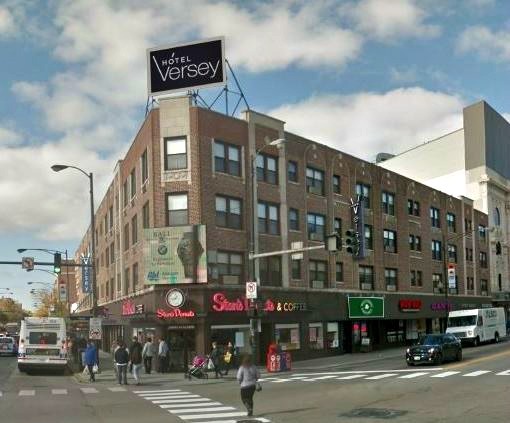 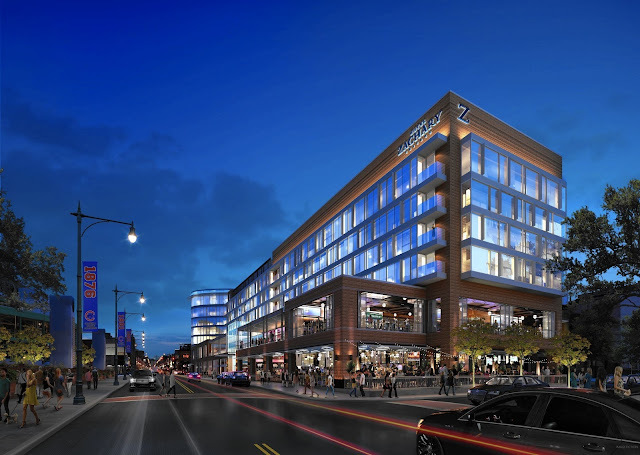 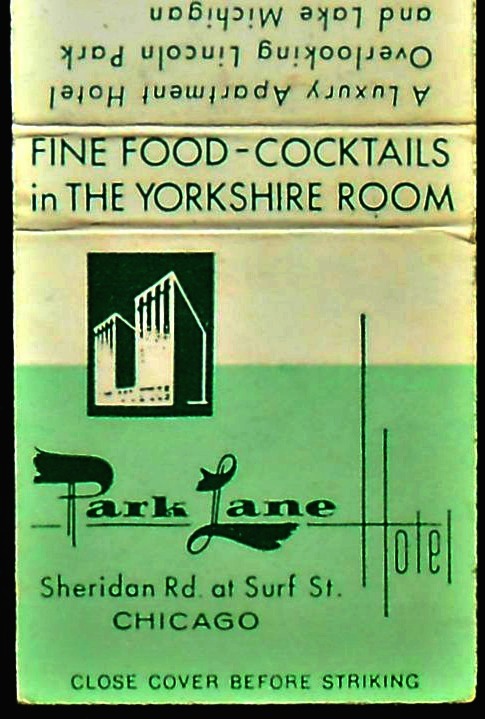 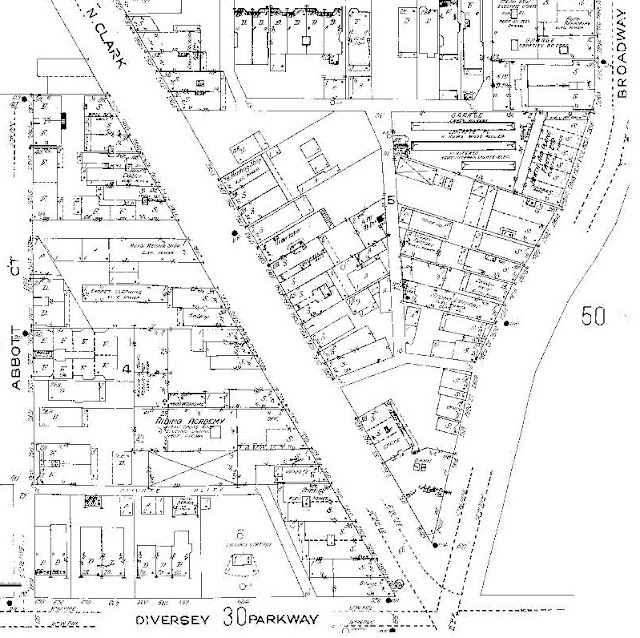 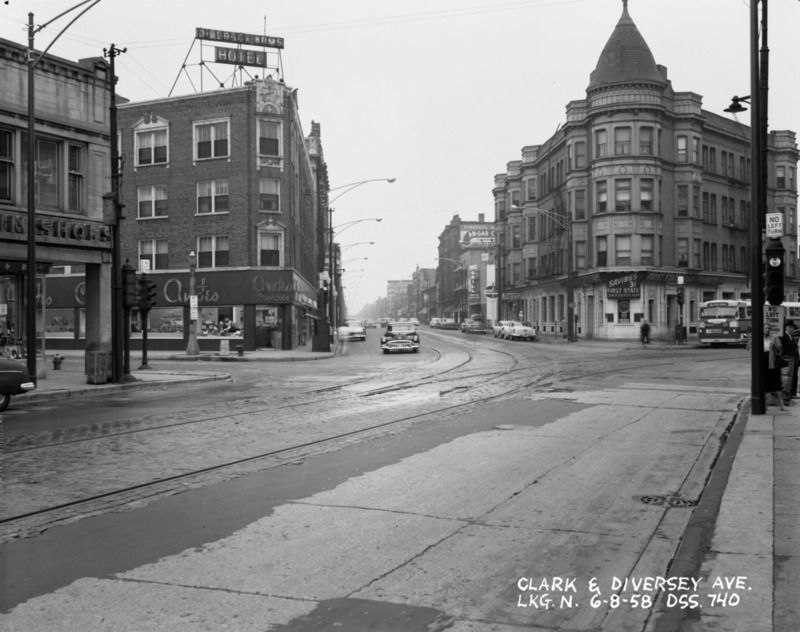 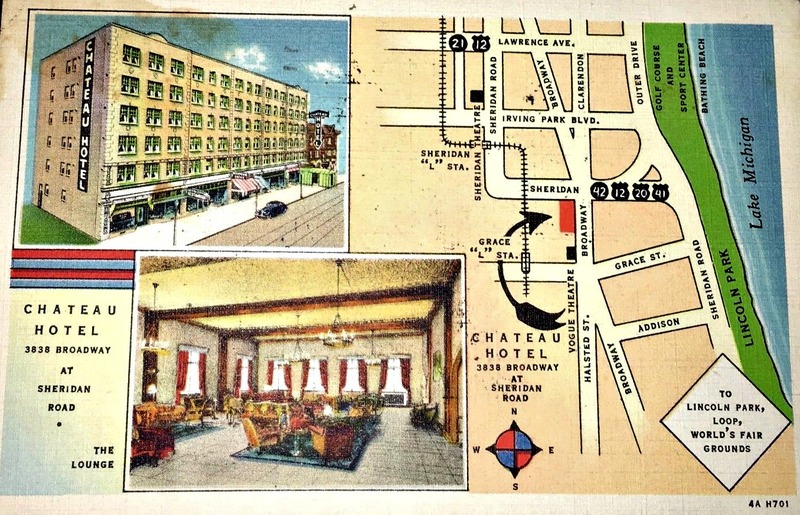 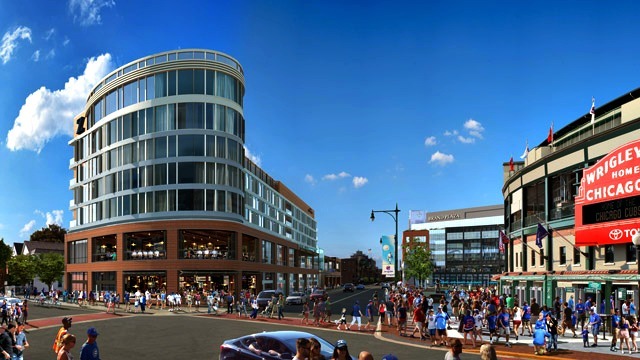 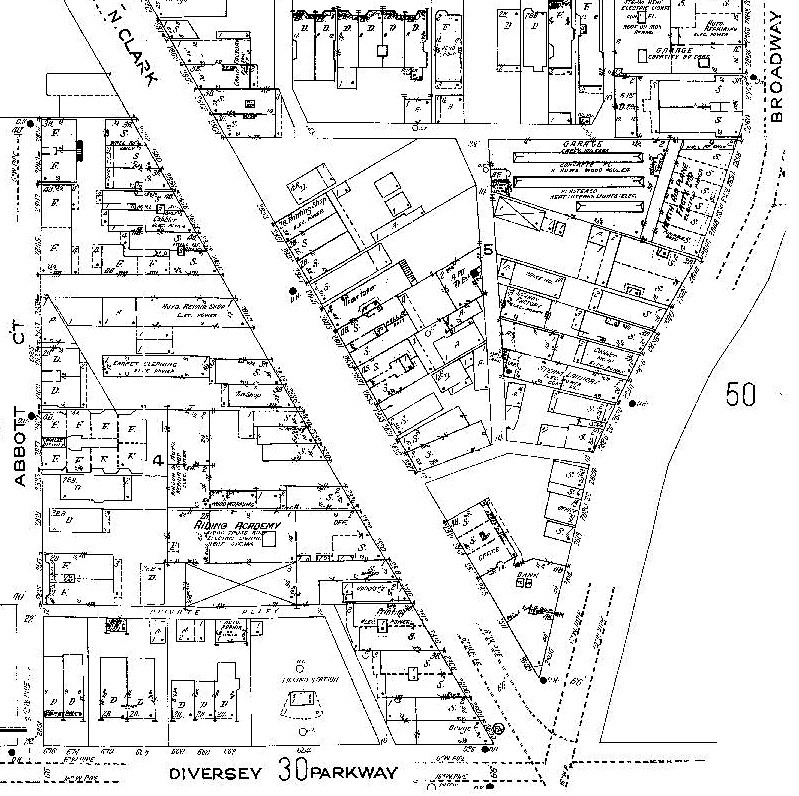 The name, Hotel Versey, pays tribute to its original namesake (The Diversey Arms), while playfully fusing in a tie to the hotel’s V-shaped structure of its triangular city block, on the highly visible corner of Clark Street, Broadway, and Diversey Parkway according to their website. The Palis Brompton known currently as the Majestic Hotel is located on Brompton Avenue near Broadway Avenue across the street for the old Tilt Estate (Salvation Army training facility) - that is on corner Addison and Broadway Avenue. 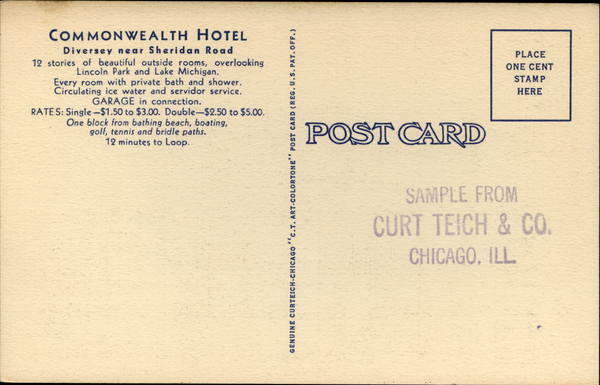 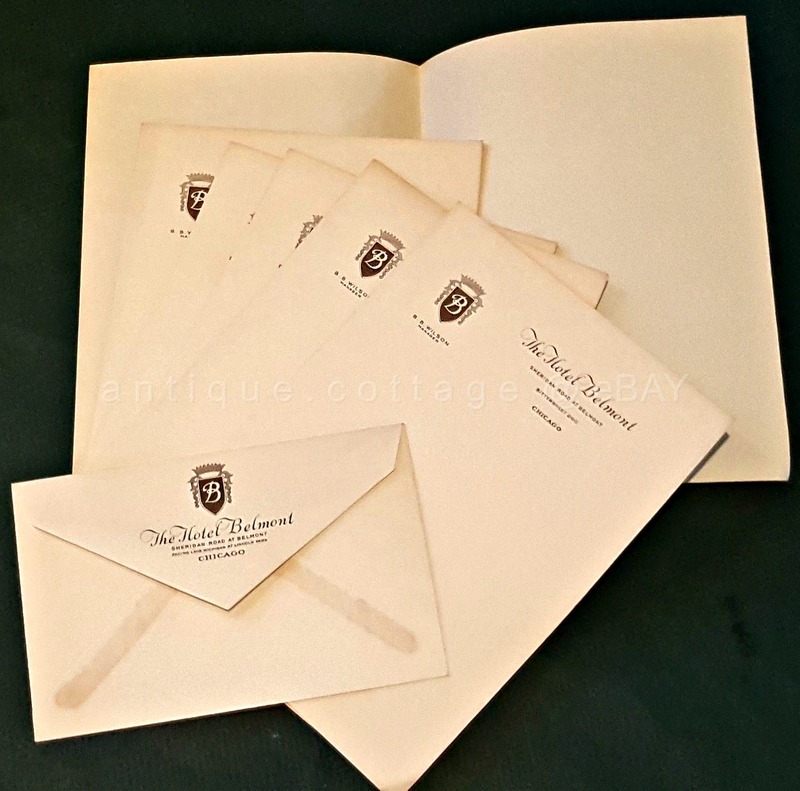 - CowCard via Curt Teich & Company that was located on Ravenswood Ave. and Irving Park Road in old Lake View. 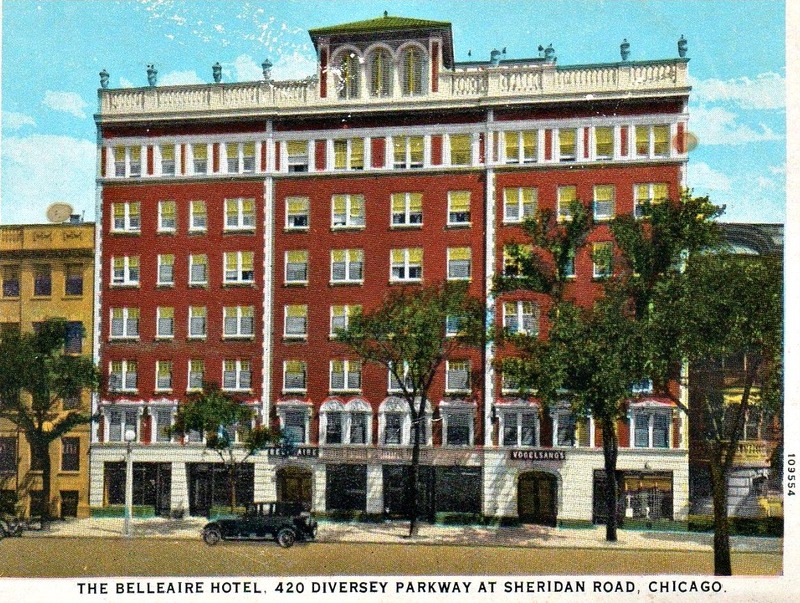 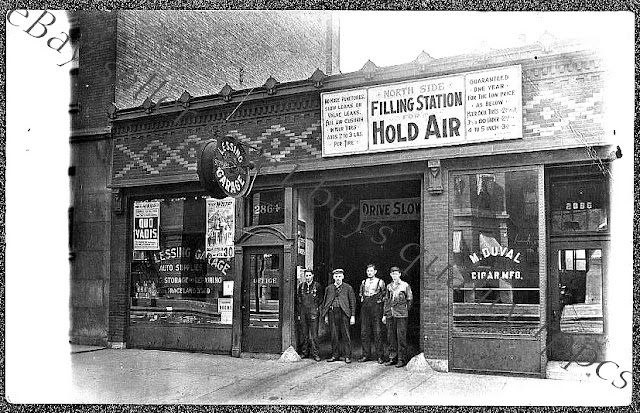 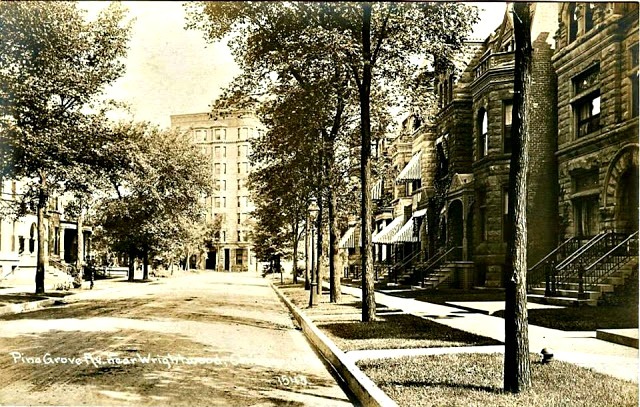 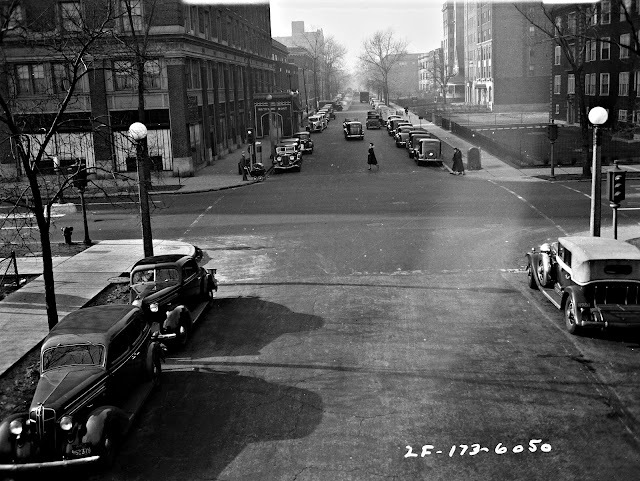 Once located on corner of Wellington and Sheridan Road. 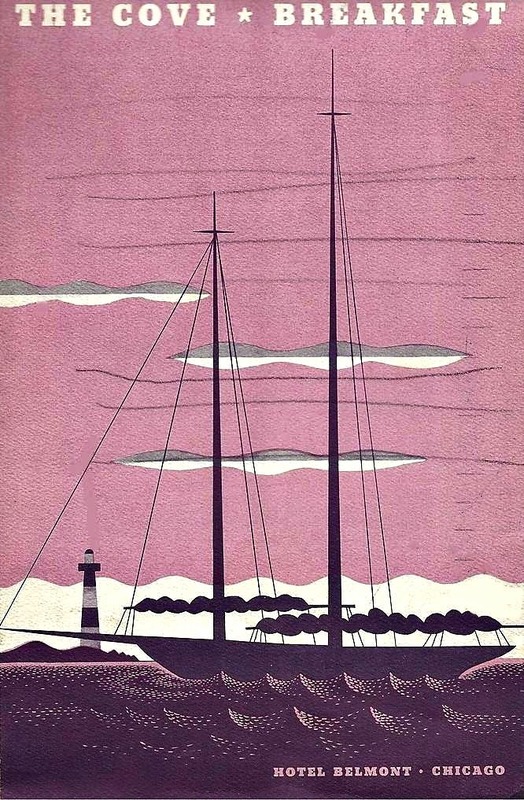 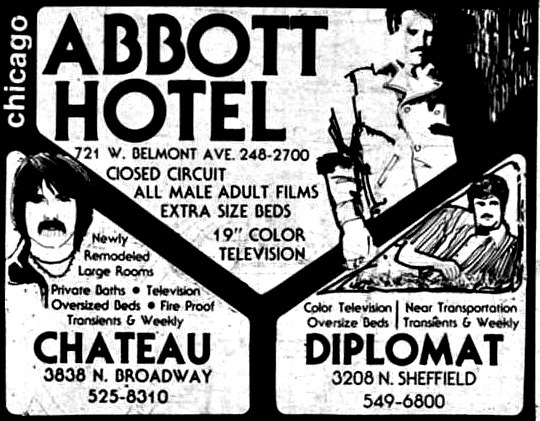 An advertisement from the magazine called Gay Chicago (1970's?) 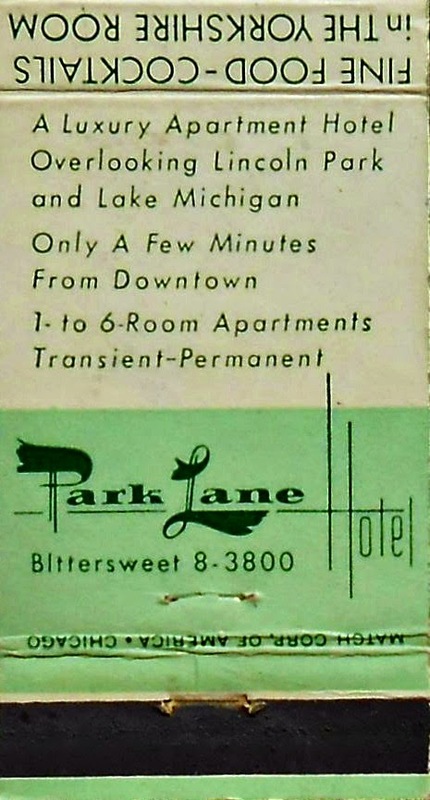 highlighted the single rooms to rent that had locations across the landscape of the neighborhood. 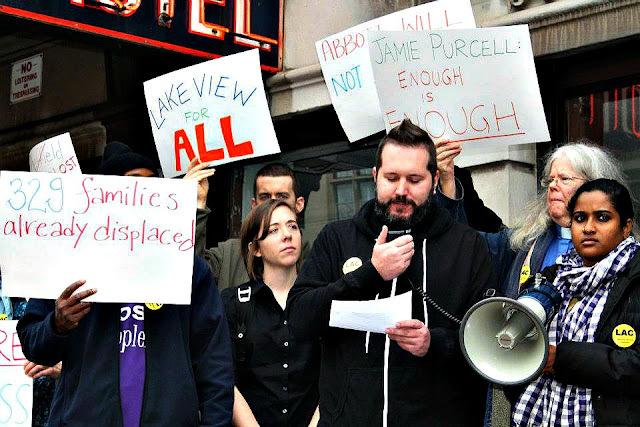 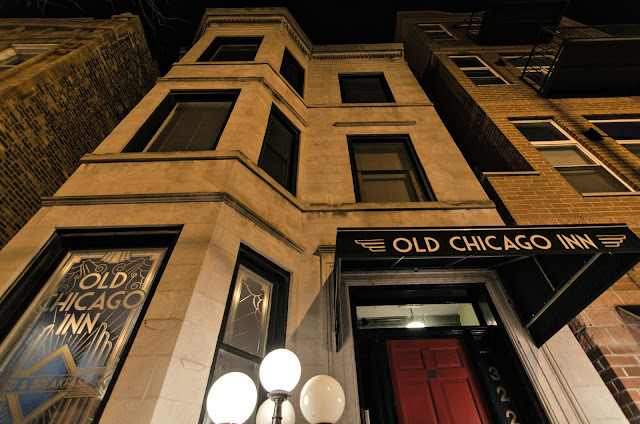 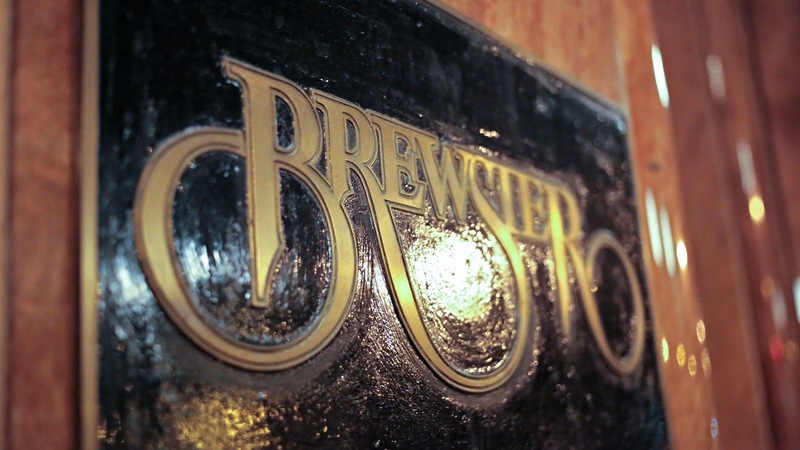 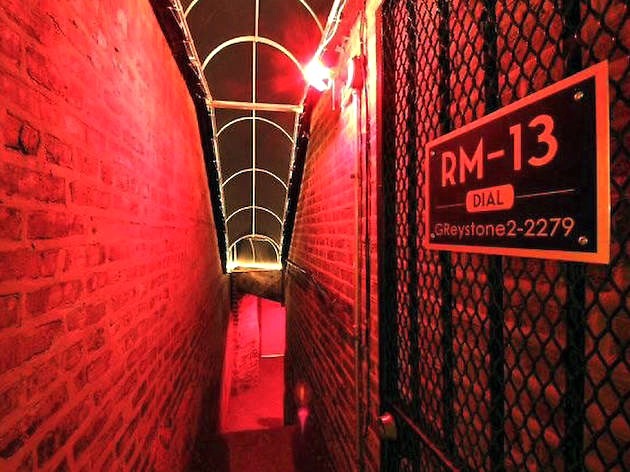 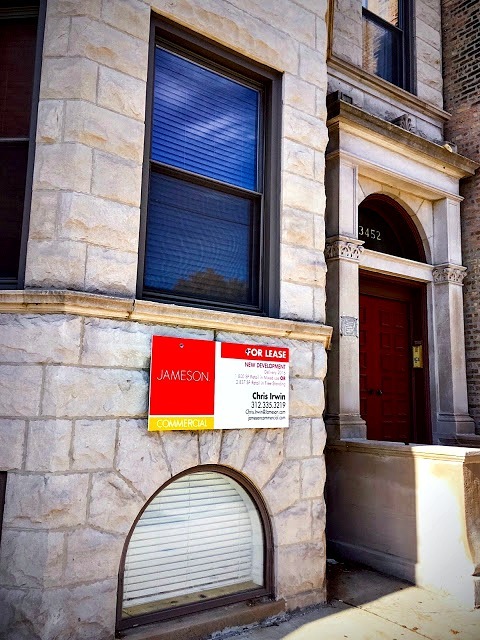 The last of the SRO's in LakeView were closed in 2013. 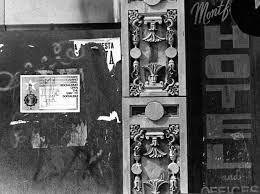 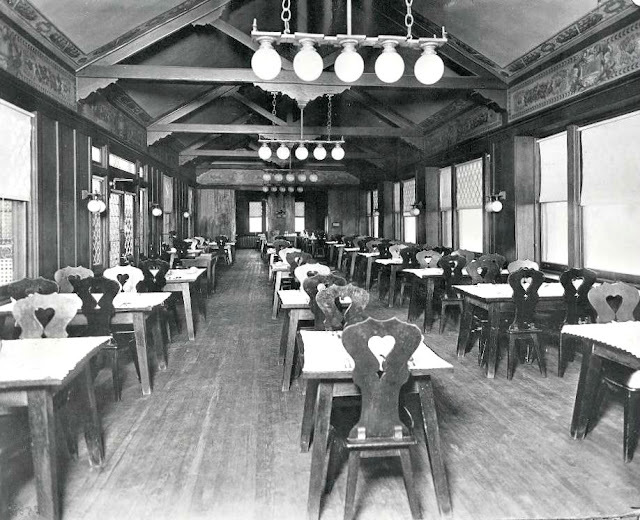 These former 'resident hotels' were most often neglected buildings that landlord owners, in my opinion, would 'milk' from the poor or homeless on a day-to-monthly rate basis. 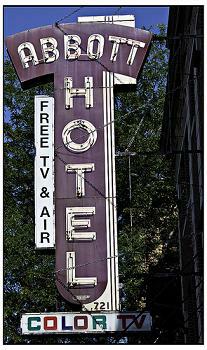 Most if not all the mentions in the segment have been converted to market rate accommodations. Some are still affordable to the working poor. 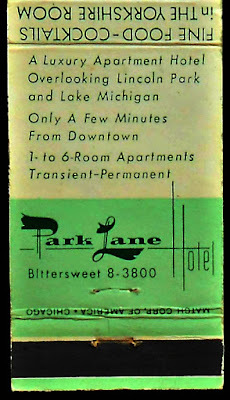 - only 15 minutes to Down Town. 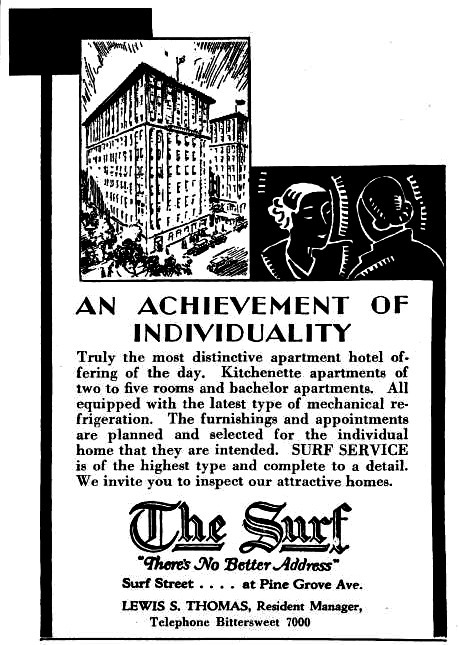 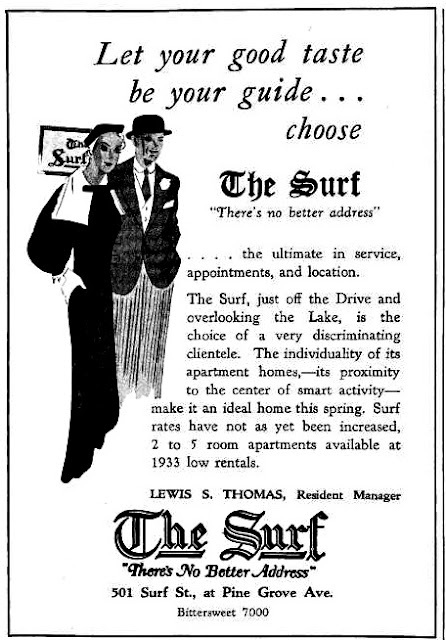 Many flats or 'apartment hotels' were grand in style and amenities while many others were more simpler in design and luxuriates. 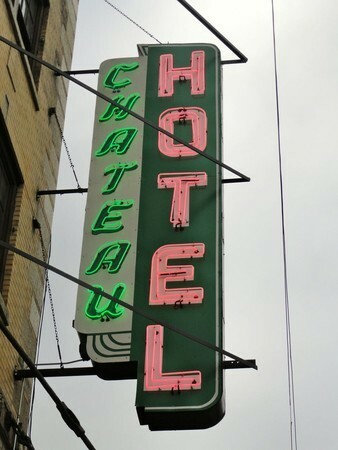 View more photography of this former hotel via Flickr. 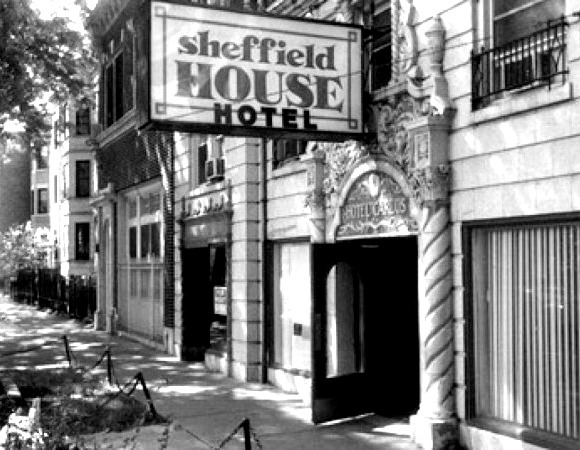 The Sheffield House located at 3834 Sheffield Avenue and once known as the Hotel Carlos where the Cubs would stay in the early 20th century when in town for a game and was featured in the 1984 movie called The Natural. 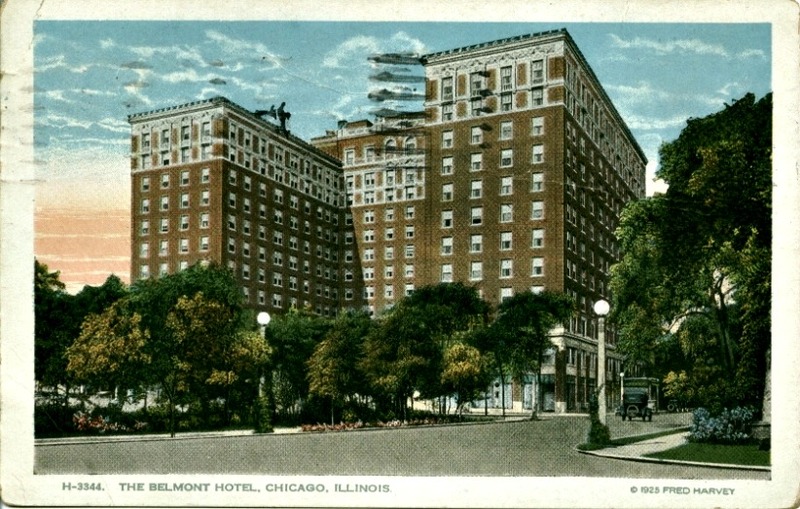 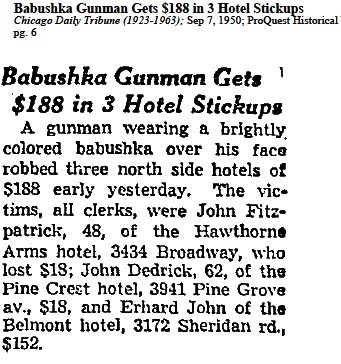 July 6, 1932 - Cubs shortstop Billy Jurges is injured by a gunshot in a struggle over a handgun with showgirl Violet Valli at the Hotel Carlos ( where Jurges lived during the season). 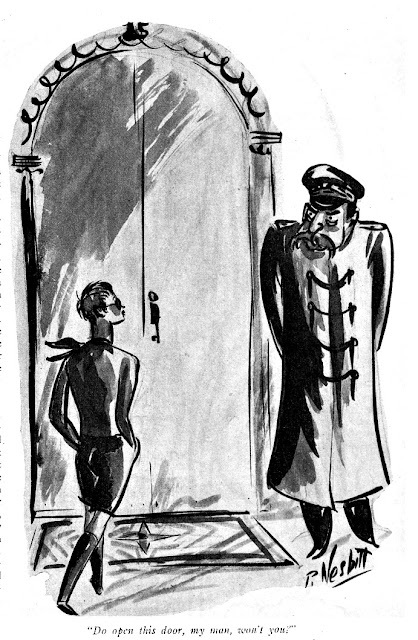 Jurges was romantically linked to Valli and he refused to press charges against her. 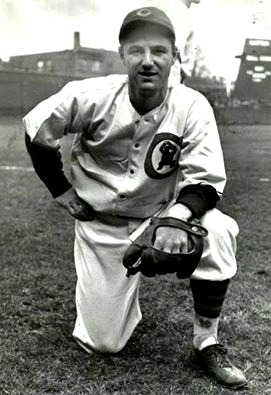 He returned to the Cubs to play in the 1932 World Series. 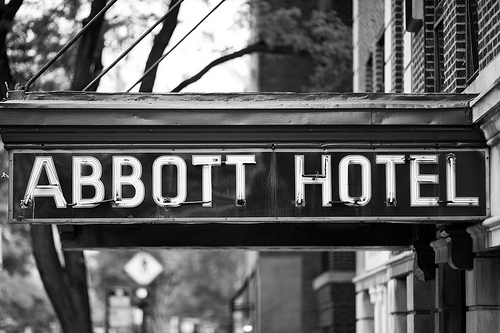 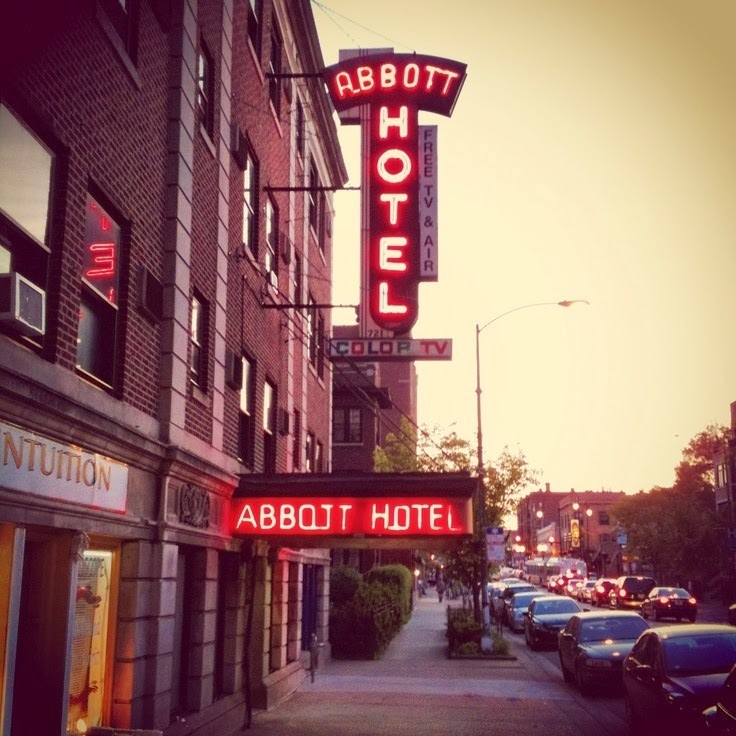 Abbott Hotel located on Belmont Avenue across the street to Mt. Carmel Parish and school with its' vintage marquee. 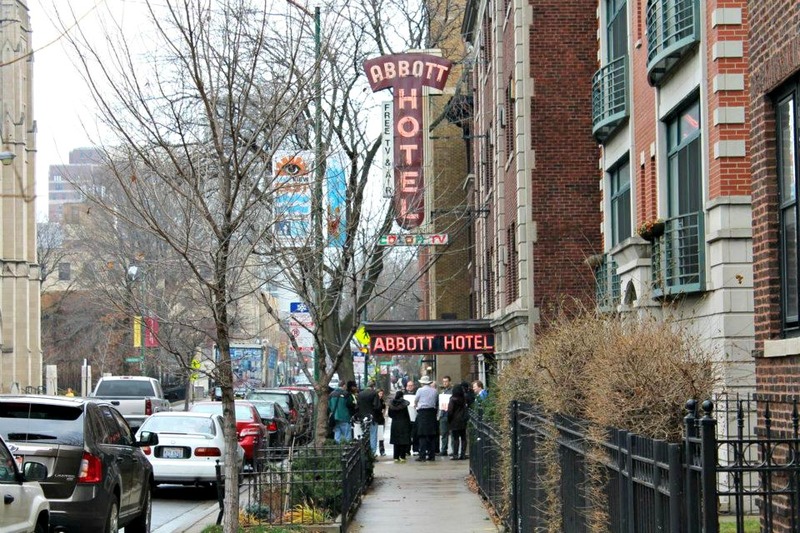 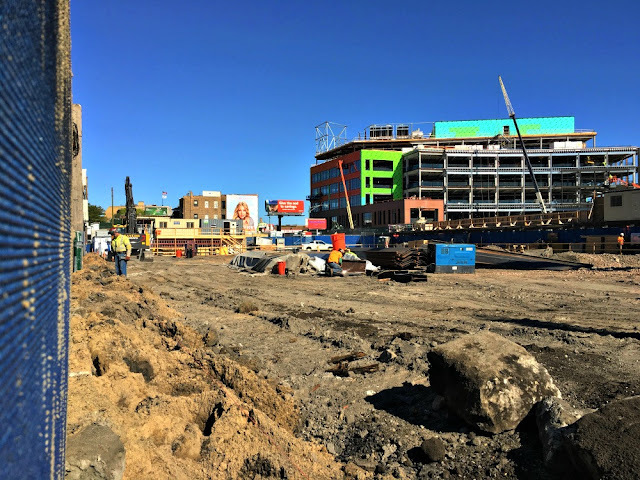 According the Lake View Patch there was news in 2012 of Abbott's redevelopment by BJB comes after two other Lake View SRO hotels made headlines in the news. 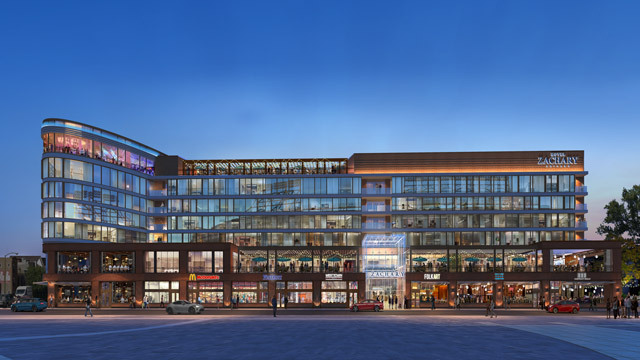 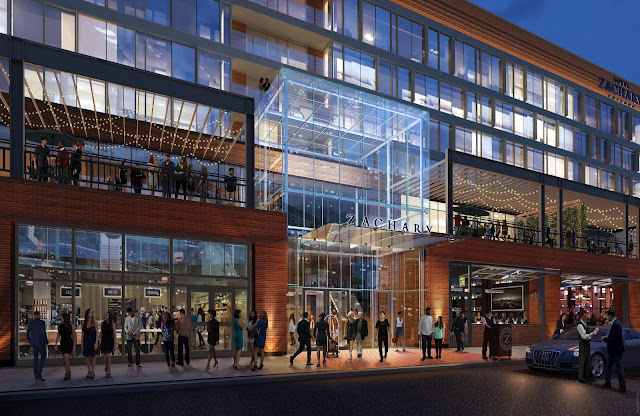 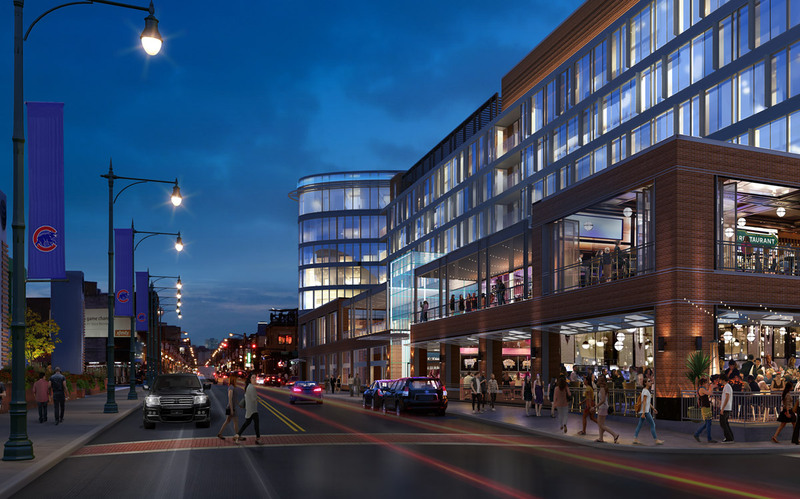 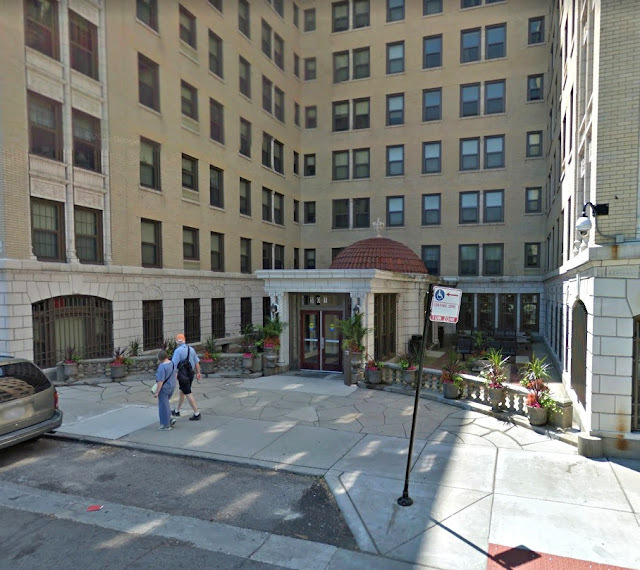 First, the Diplomat Hotel just down the street from the Abbott on Sheffield Avenue is confirmed to be breaking ground on an ultra-modern housing facility for people at risk of homelessness. 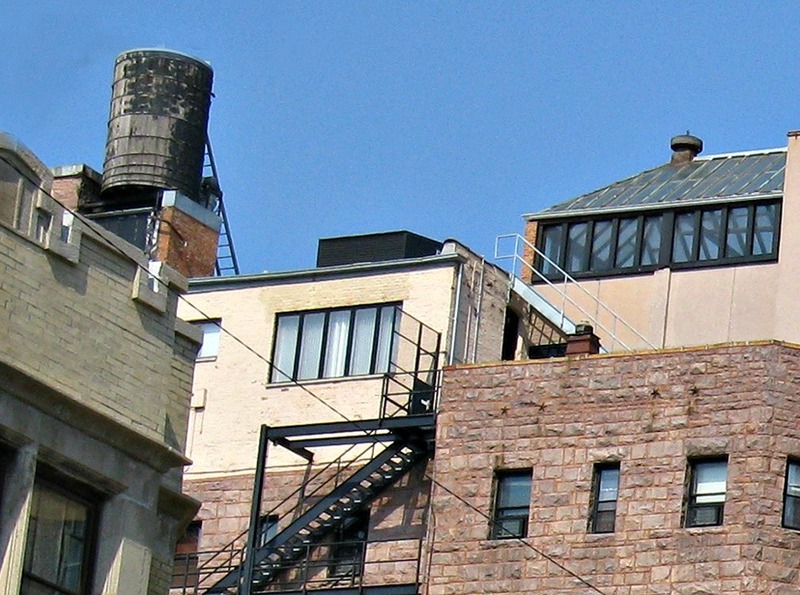 View more photography of this former SRO via Flickr. 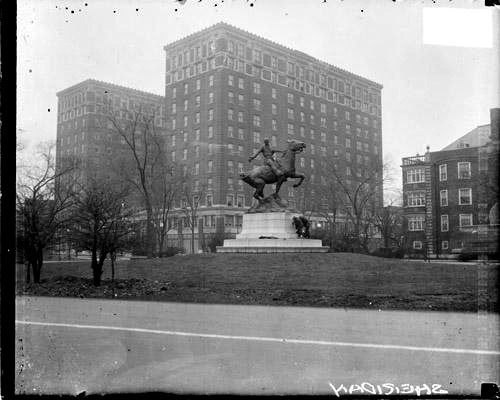 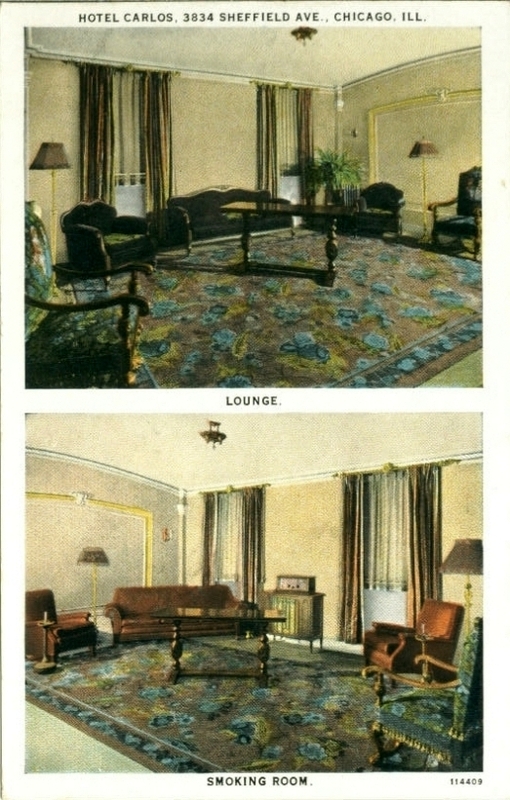 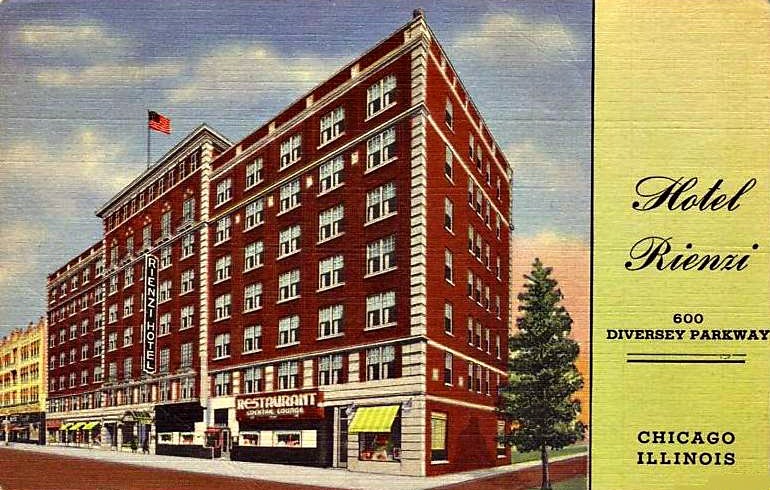 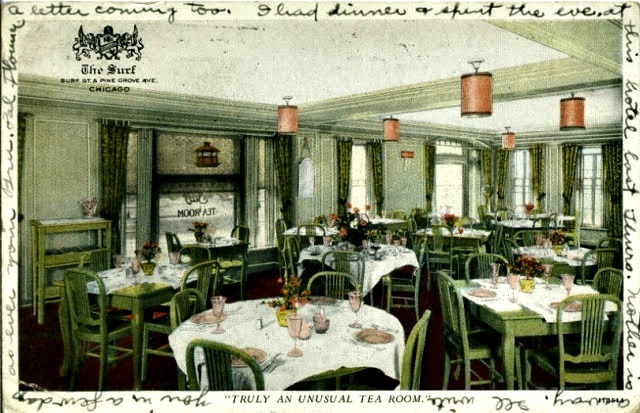 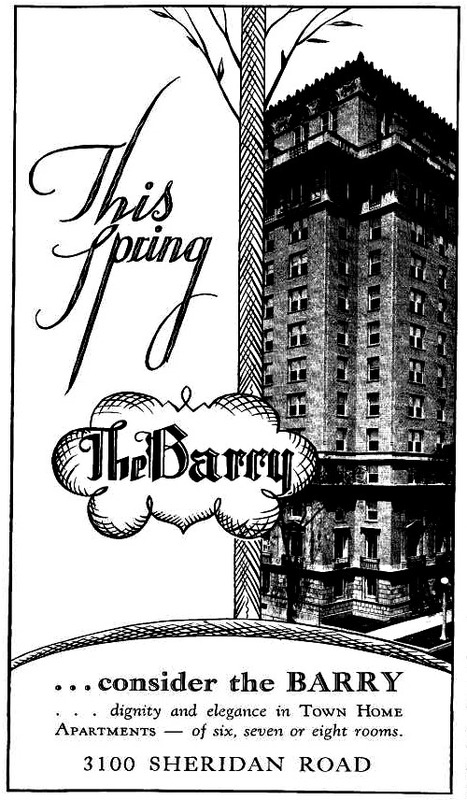 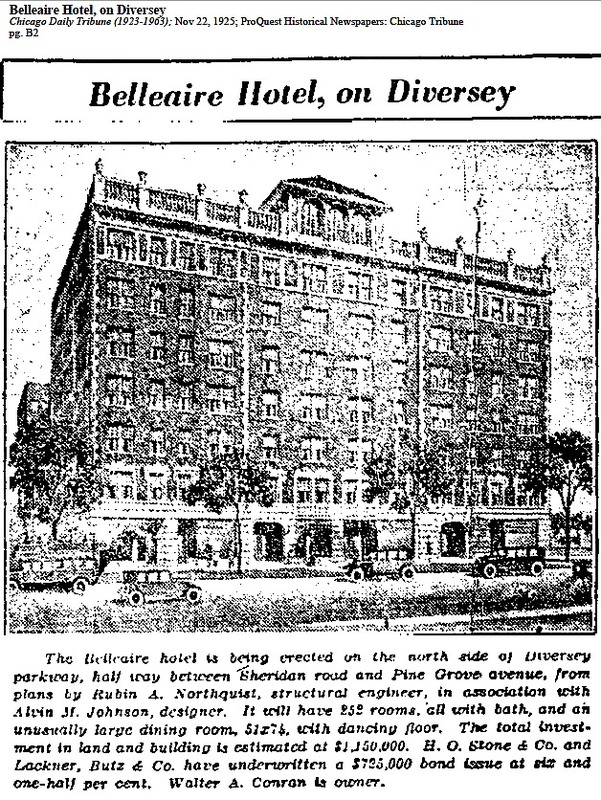 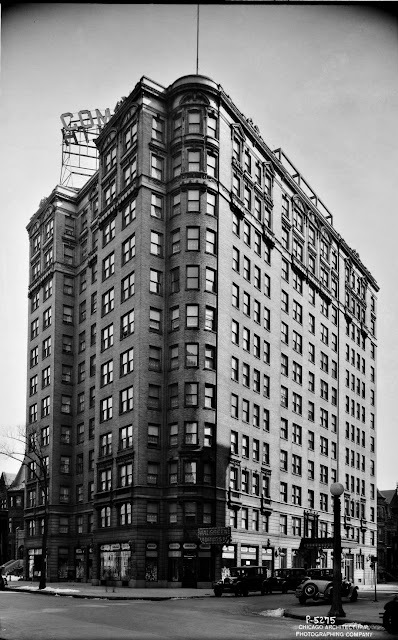 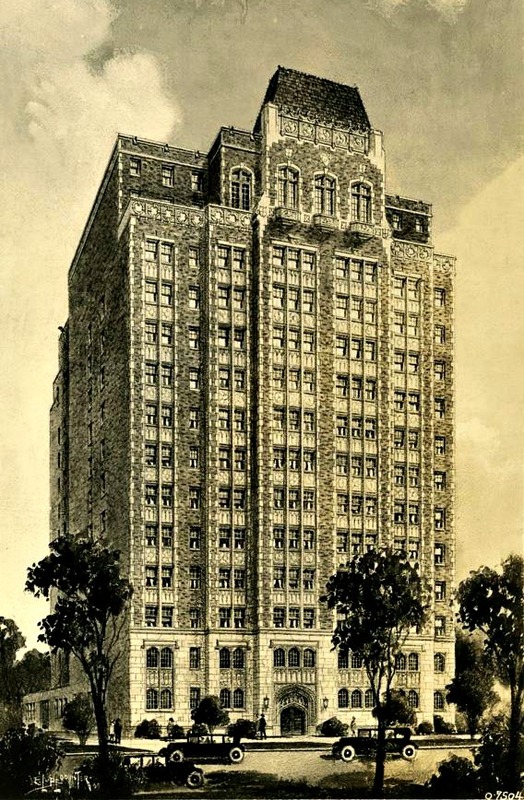 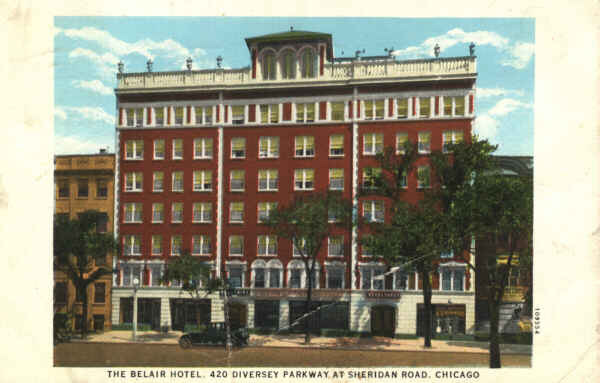 The original name of the hotel was the Broadway - Sheridan Hotel as of 1923. 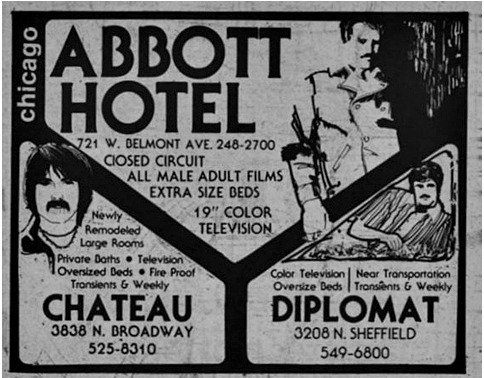 The owner, Albert Fuchs planned an a hotel complex that would wrap around the block with his classic style theater (Chateau Theater) to complete the 'wrap around' on Grace Street. 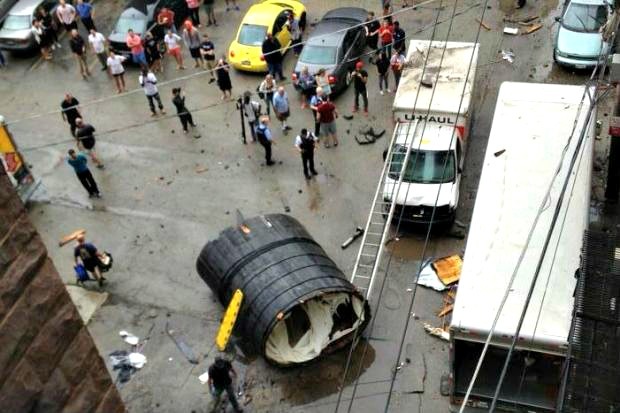 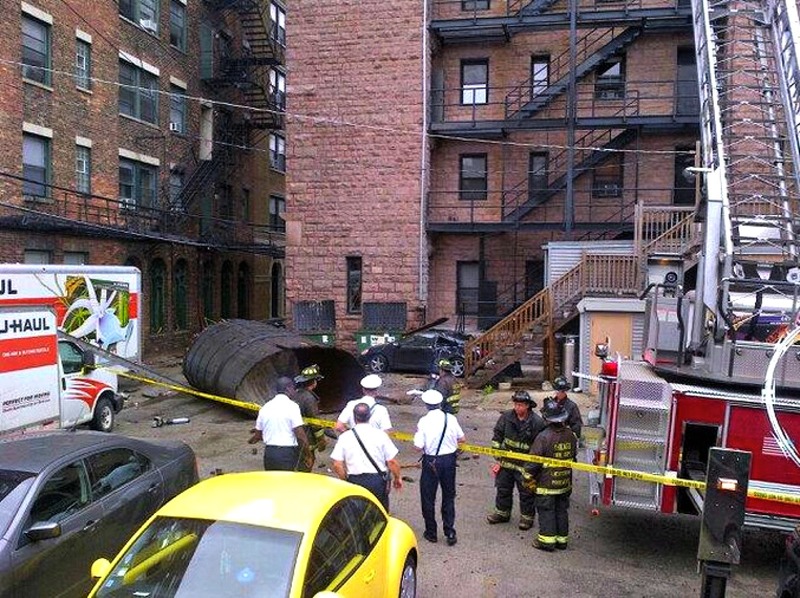 Apparently, Mr. Fuchs did not complete the wrap-around of the area. 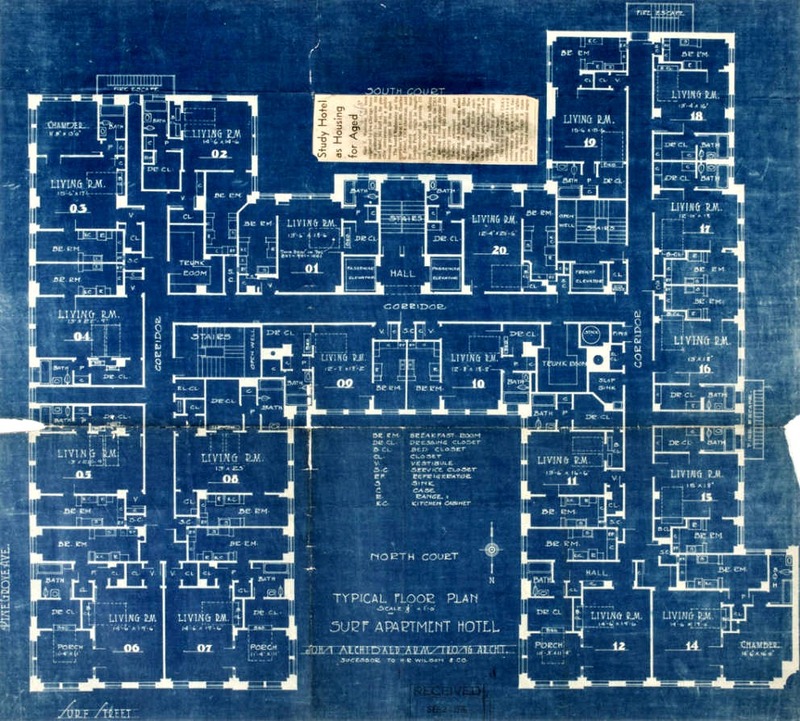 The Fuchs family would move to California before finishing the final plan. 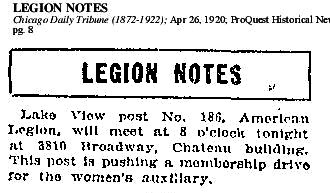 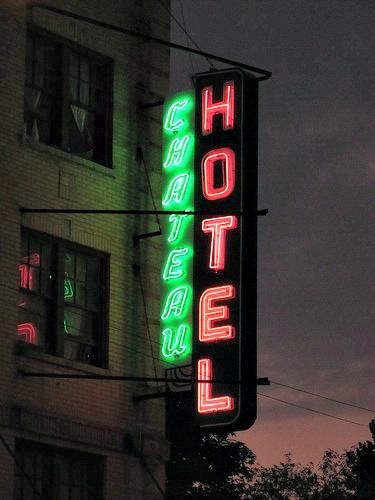 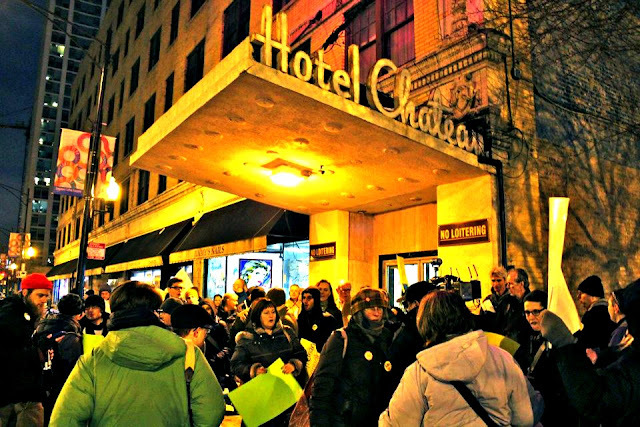 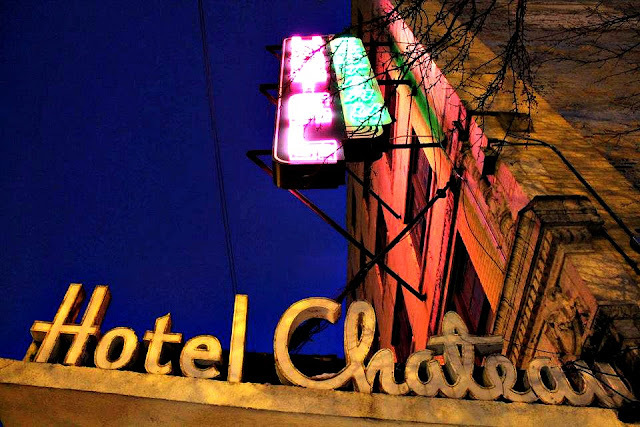 The Chateau was the last remaining SRO in Lakeview, but it may not last. 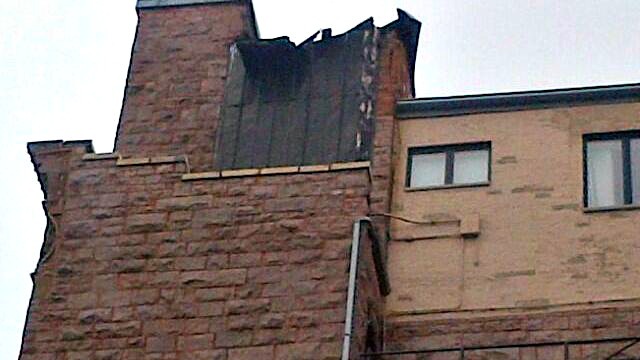 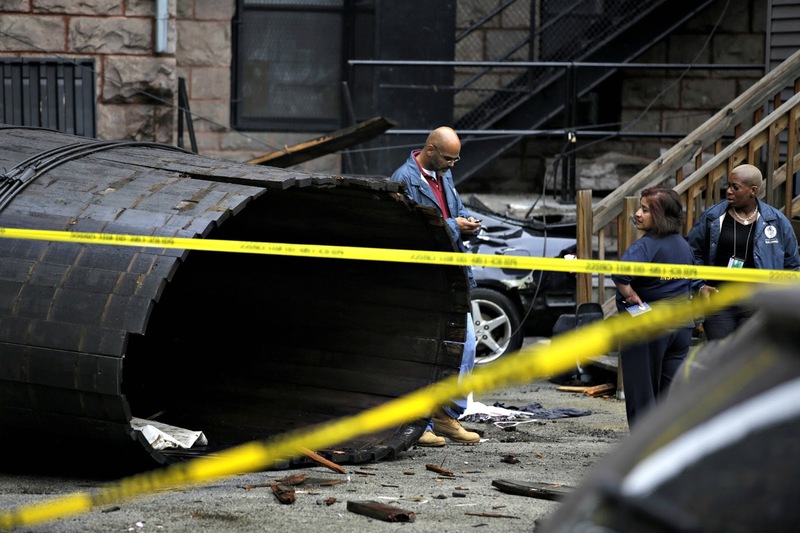 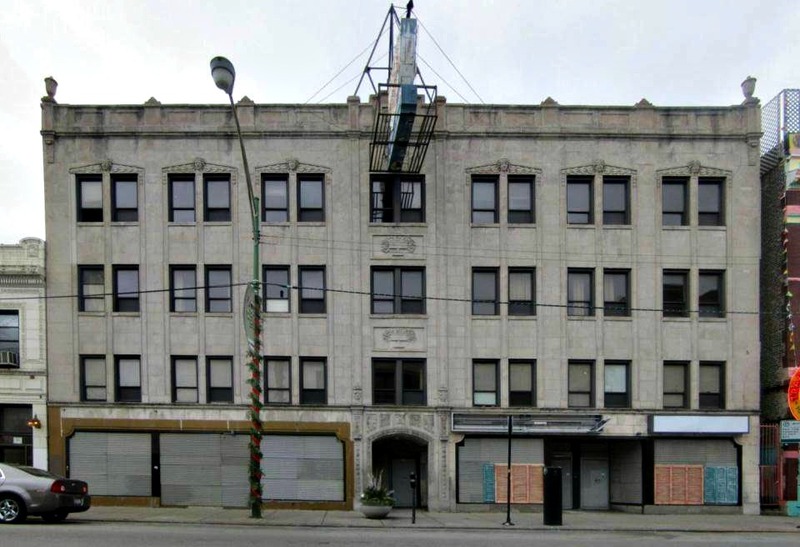 The building was a continuous topic in housing court and was shut down and resold. 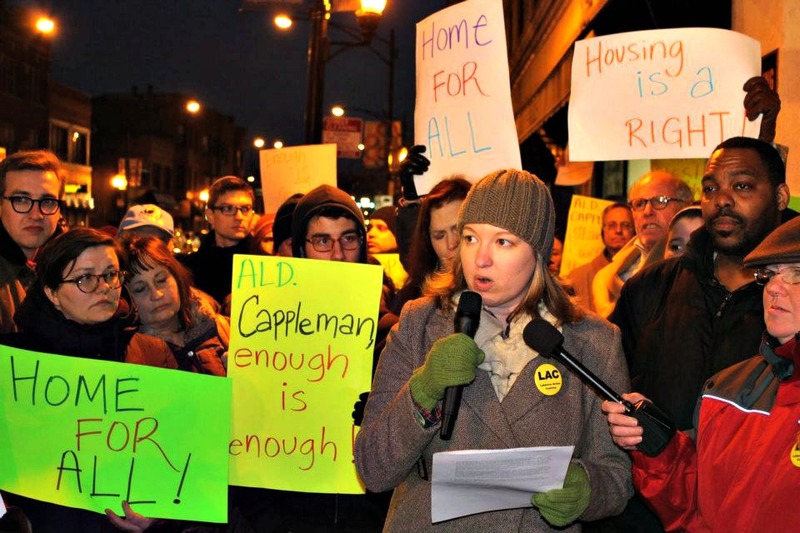 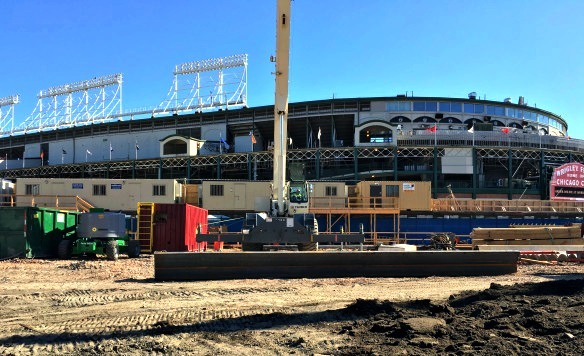 It still has 100 units of somewhat affordable rental housing according to Chicago Now. 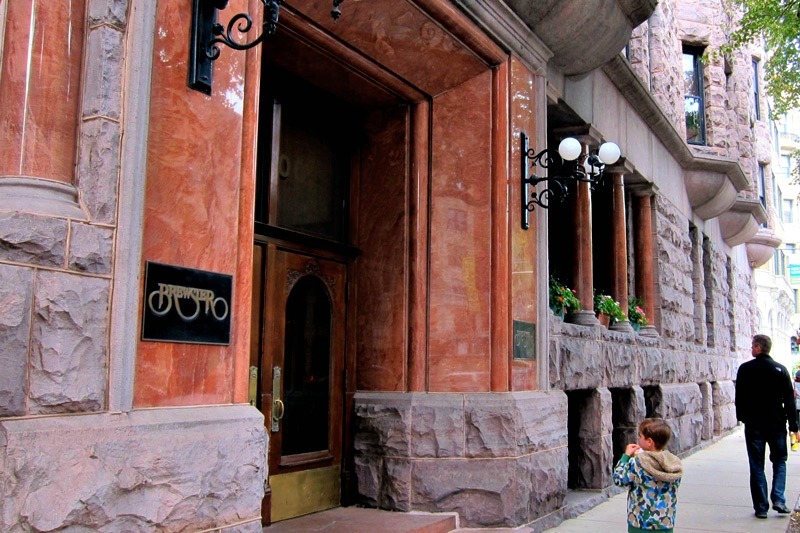 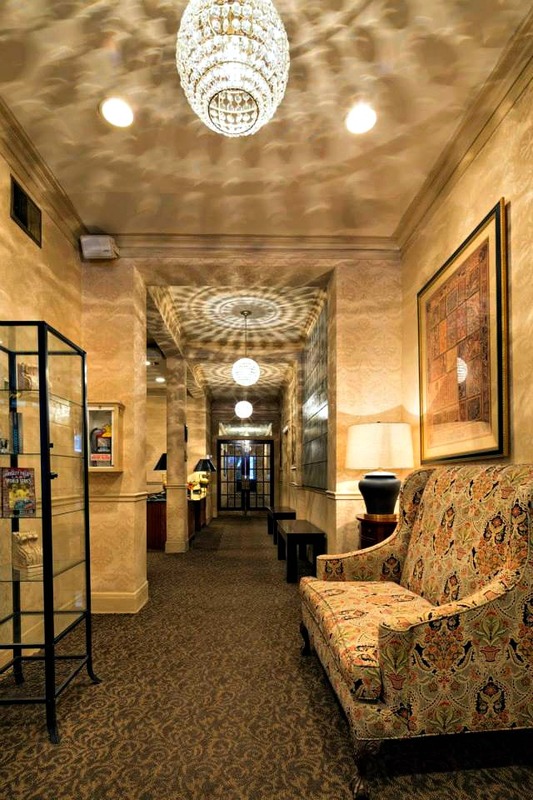 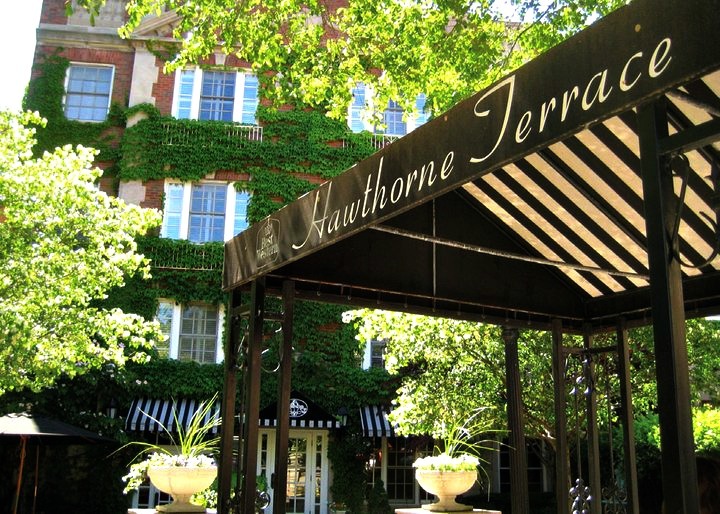 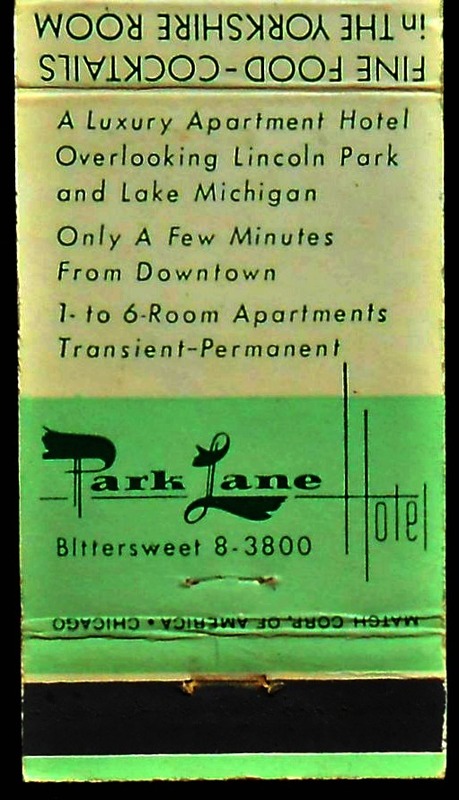 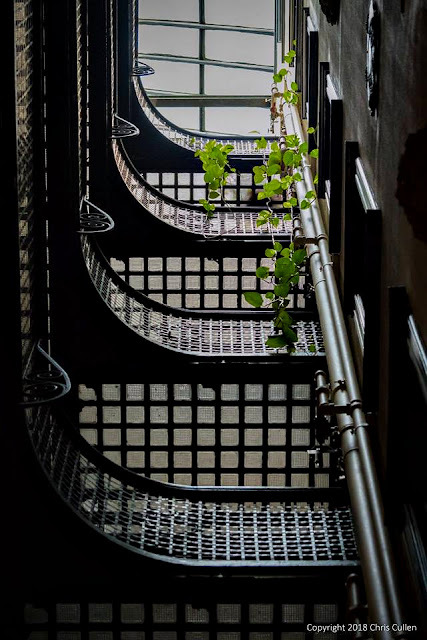 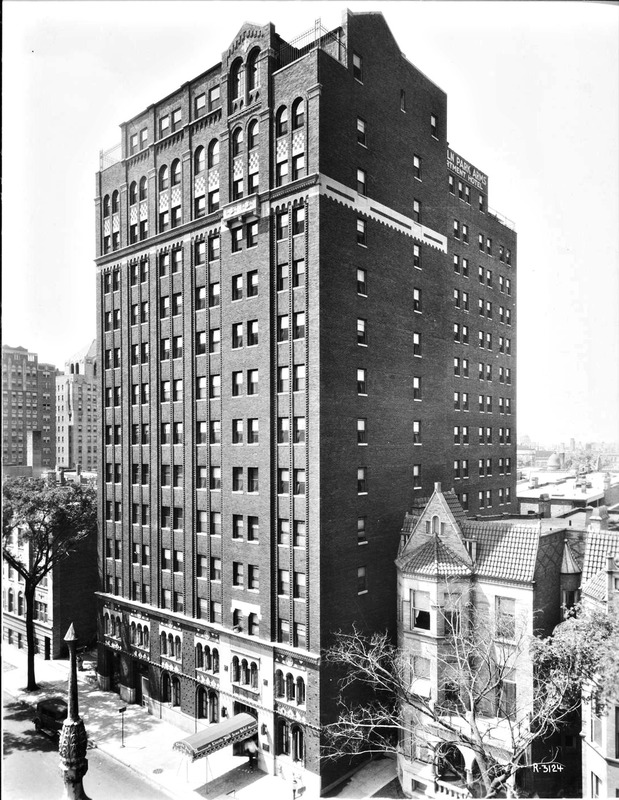 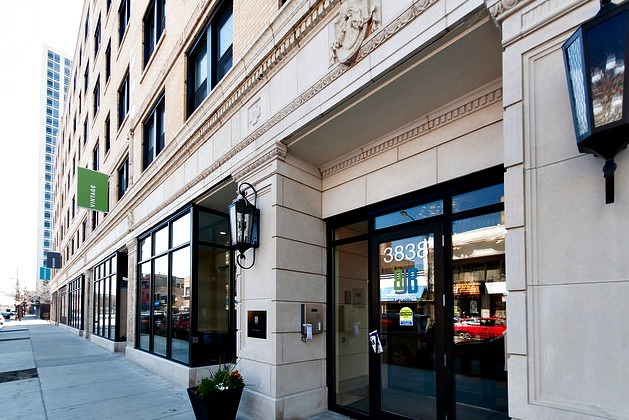 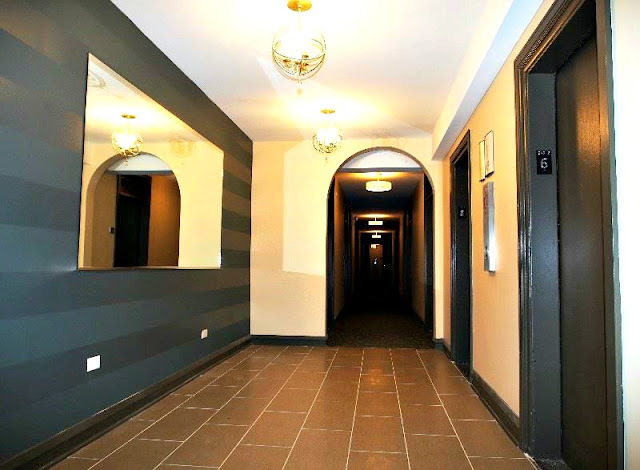 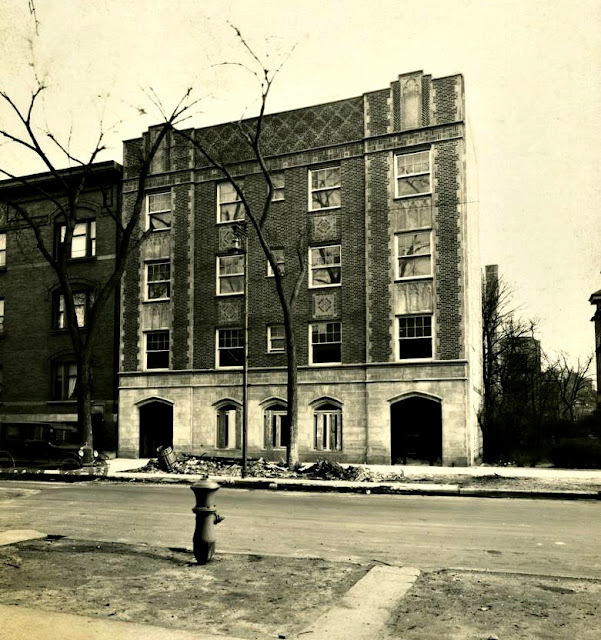 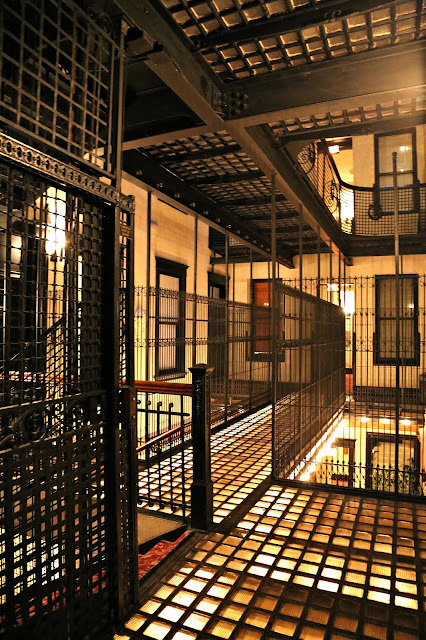 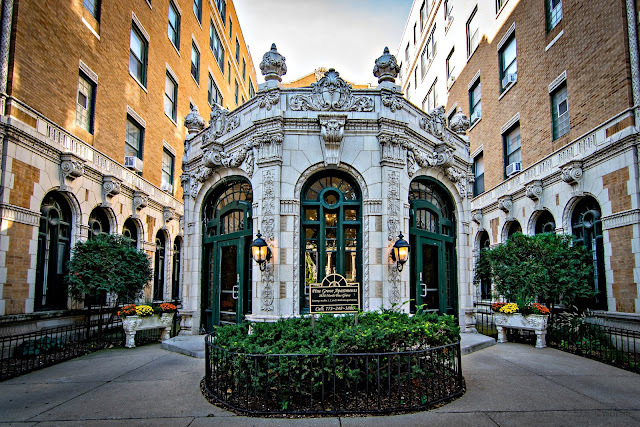 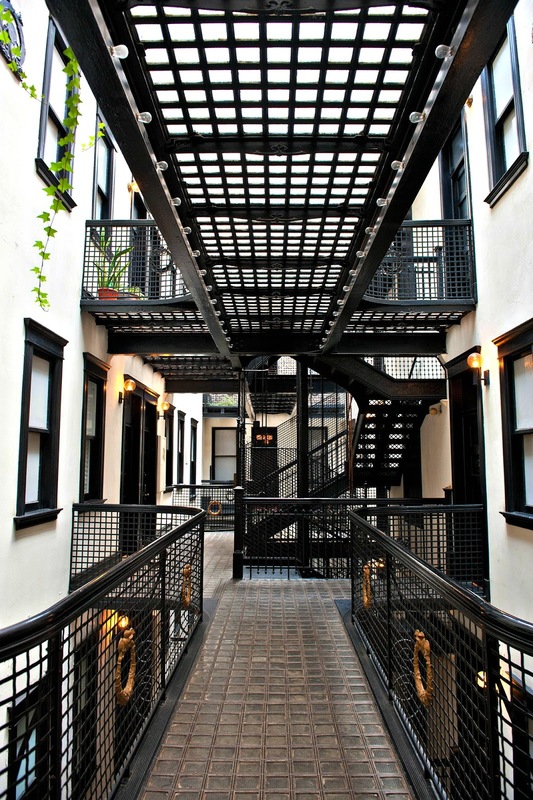 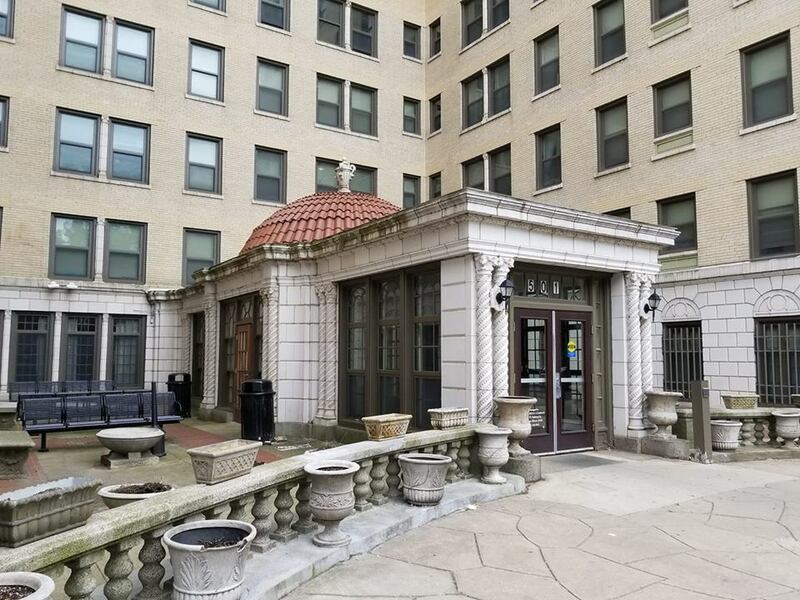 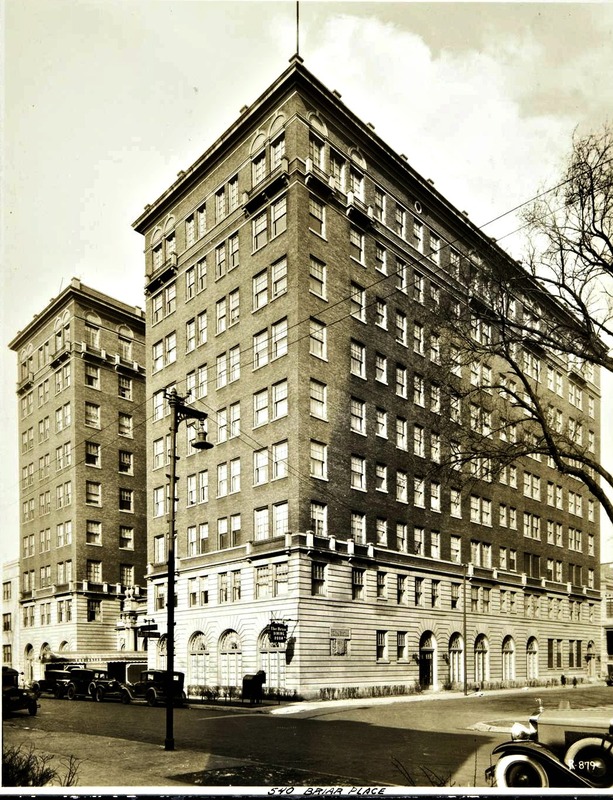 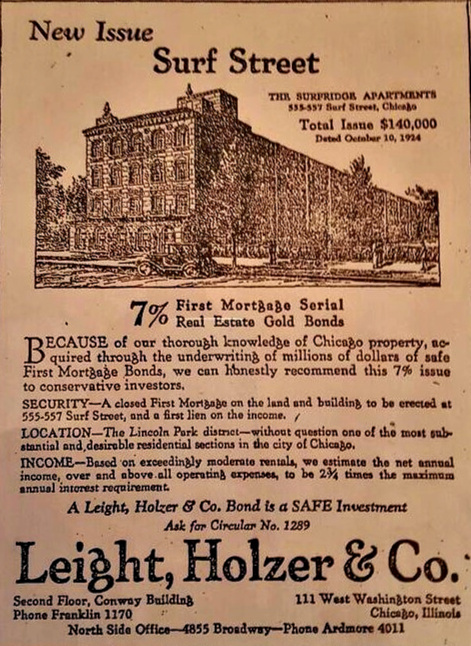 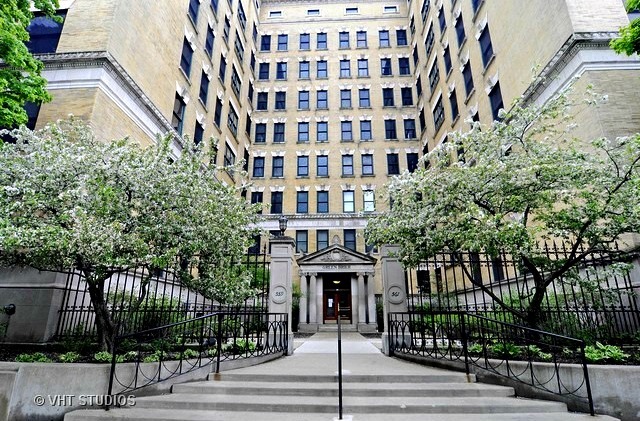 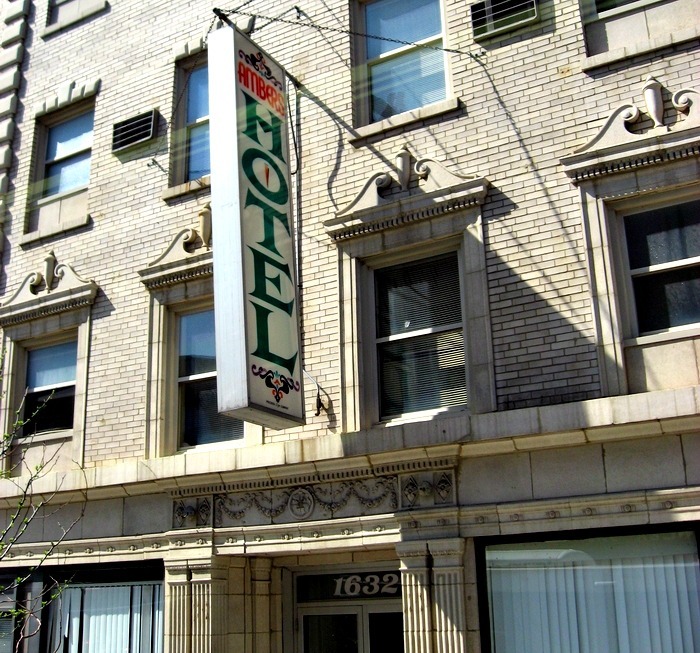 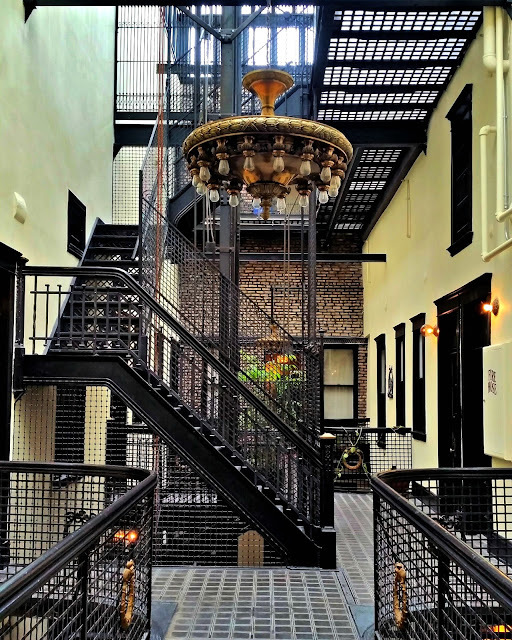 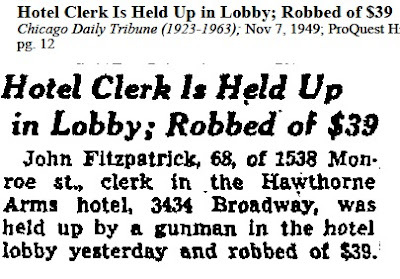 This apartment hotel had a connection with a bank robber named John Dillinger during the early years of the Great Depression. 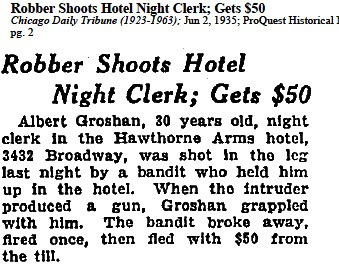 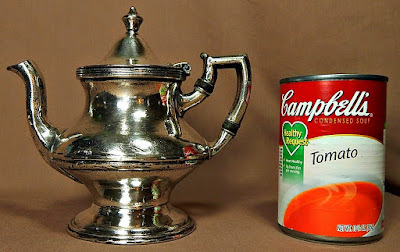 This article below tells a short tale. 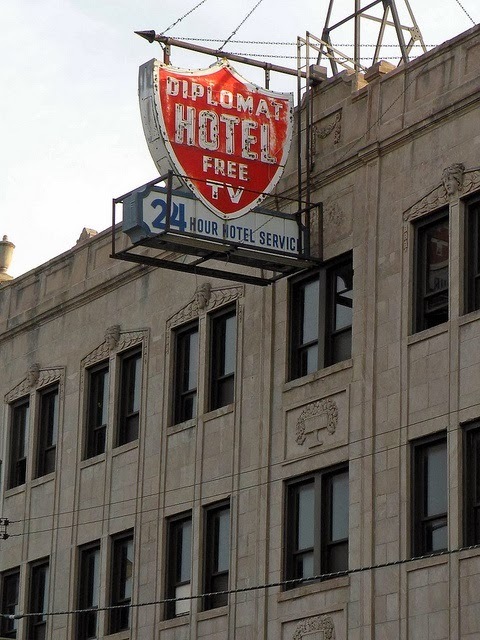 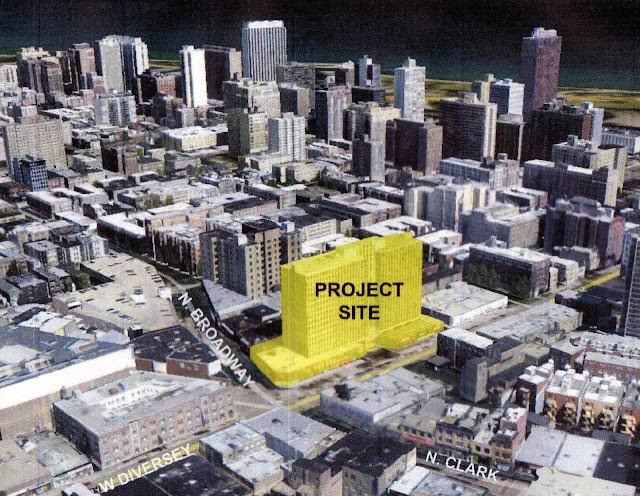 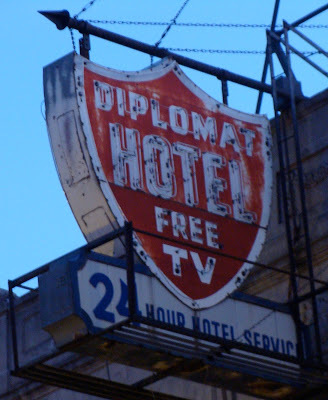 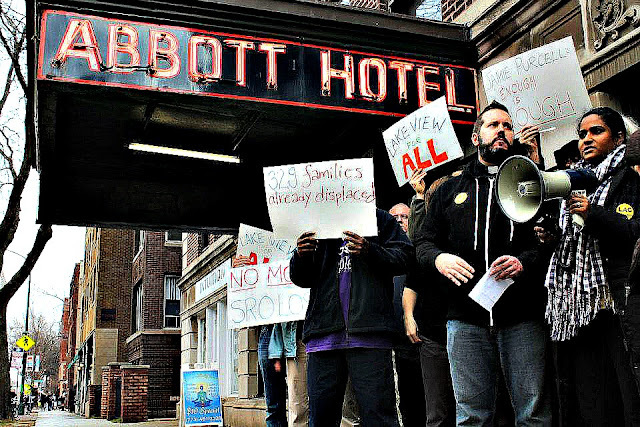 In 2011 the Department of Housing and Economic Development seeks proposals for the redevelopment of the former Diplomat Hotel into subsidized, studio supportive housing (SRO). 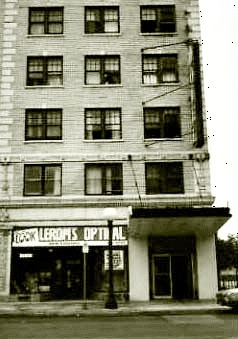 The building is vacant and requires extensive remodeling. 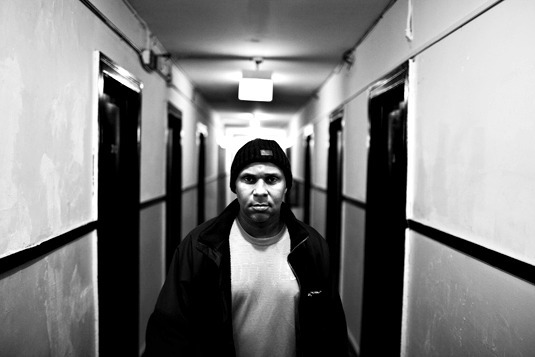 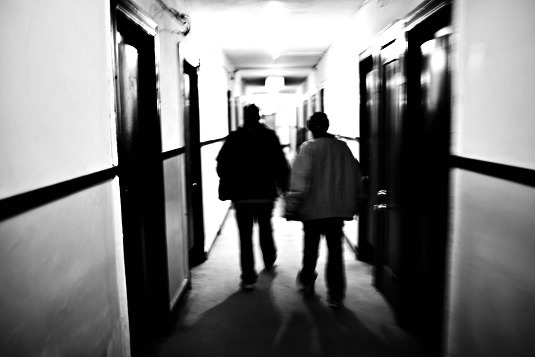 Successful respondents must be able to demonstrate experience in developing and managing supportive housing. 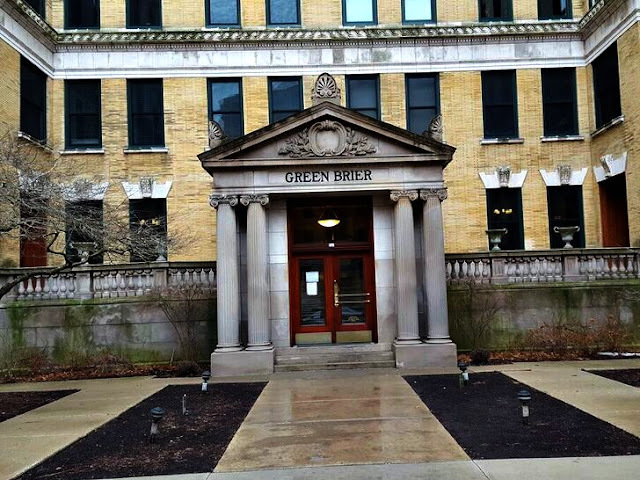 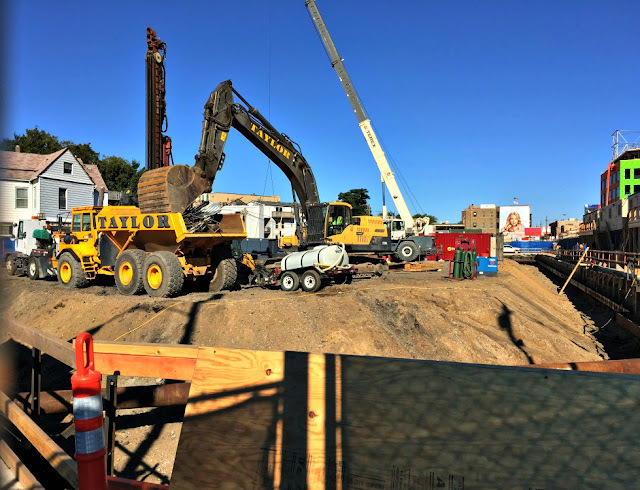 The City department will work with the successful respondent in structuring a financial package using various forms of tax credits and other financial assistance including sale of the property for $1.00. In 2014 this building is called the Buffet Place according to DNAinfo. 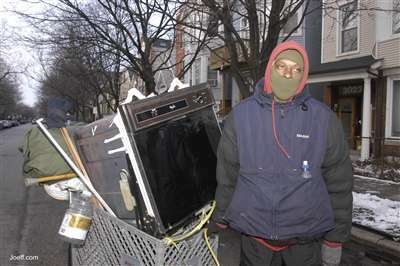 Still many became homeless. 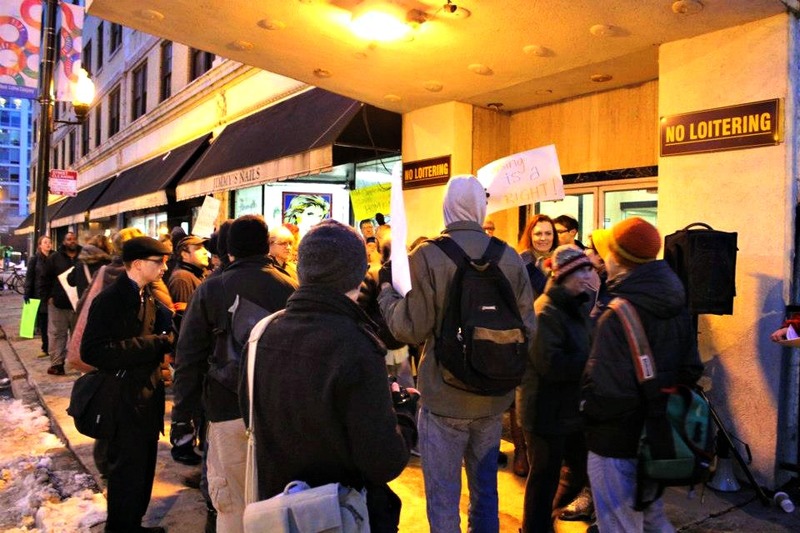 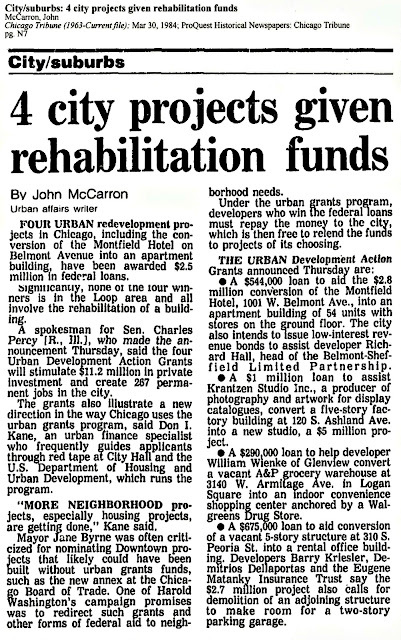 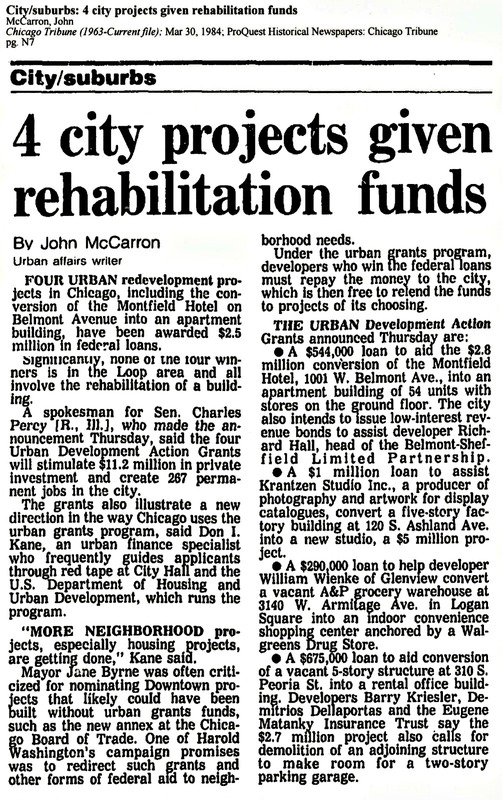 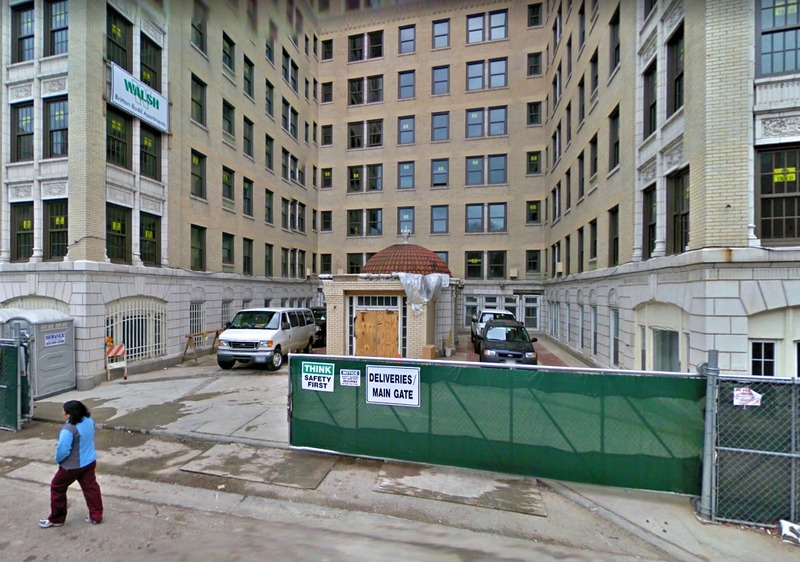 In 2012 there were plans to transform the former Diplomat Hotel into housing for people with mental illness was officially moving forward after the City of Chicago recently sold the four-story building in Lake View to a development group for just one dollar. The Diplomat used to have 99 units of affordable rental housing until it was shut down and vacated by the city in 2009 for numerous code violations. 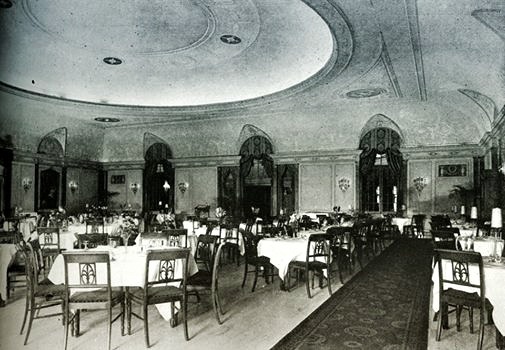 Former owner Jack Gore eventually lost the building to the city after accumulating more than $1 million in fines. 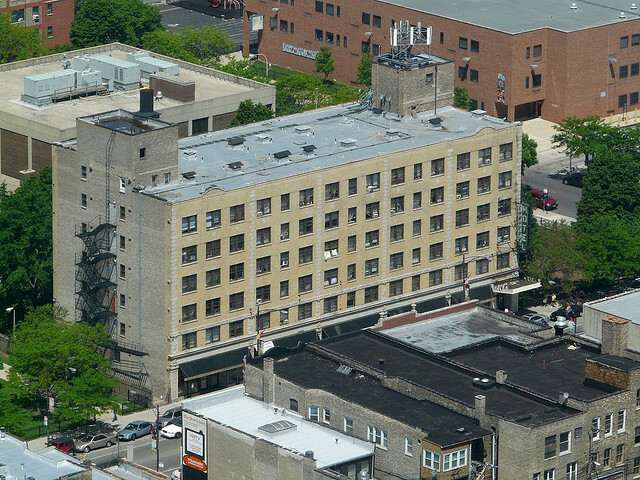 The building will now be used by Thresholds social service agency and house 51 severely mentally ill people according to Chicago Now. This building has been purchased by real-estate mogul Jamie Purcell. 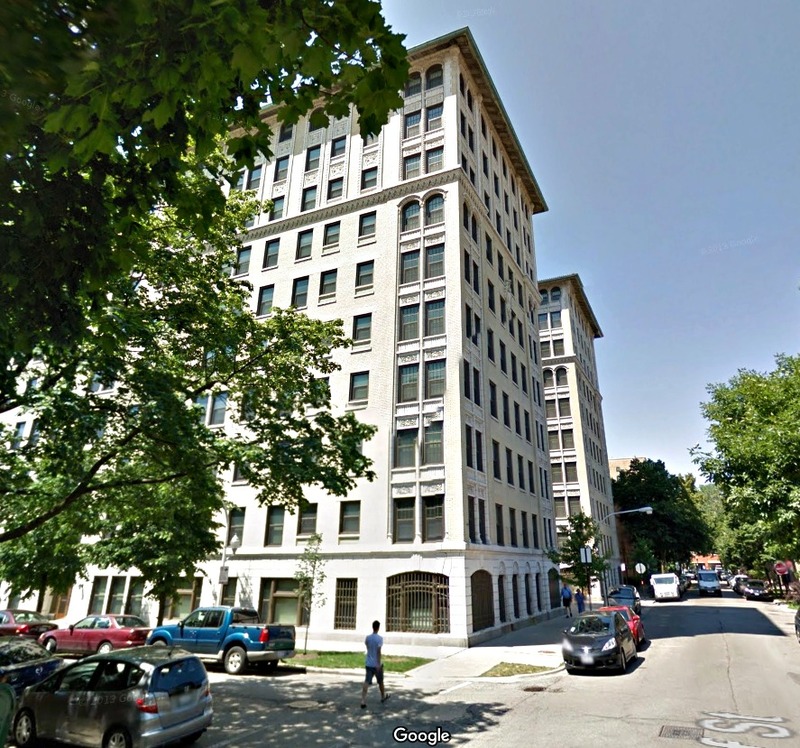 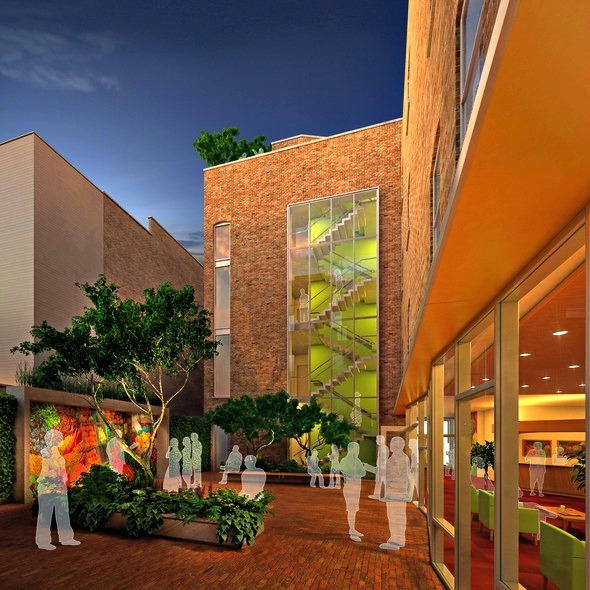 Purcell vacated it in 2012 and is converting it to high-end rental housing. 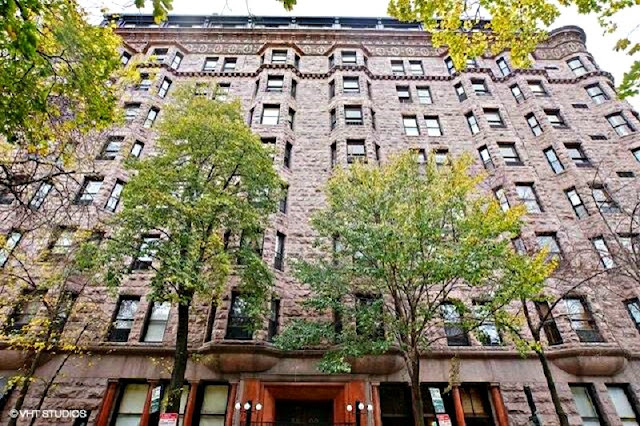 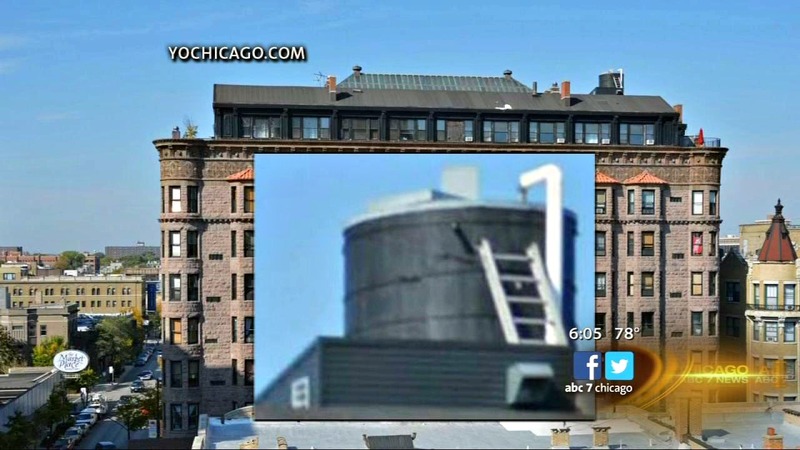 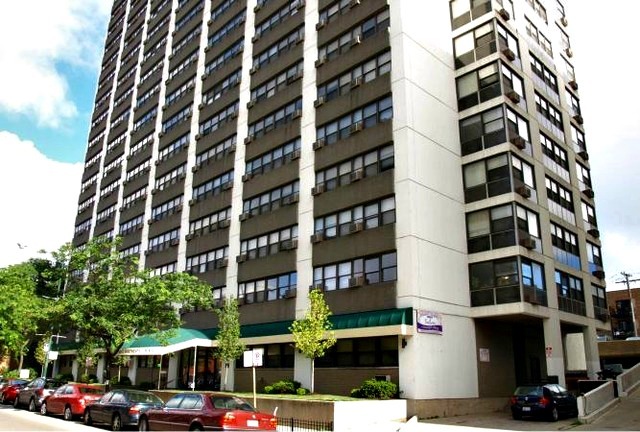 This 250-unit SRO was closed in 2011 when it was purchased by real estate mogul, Jamie Purcell according to Chicago Now. 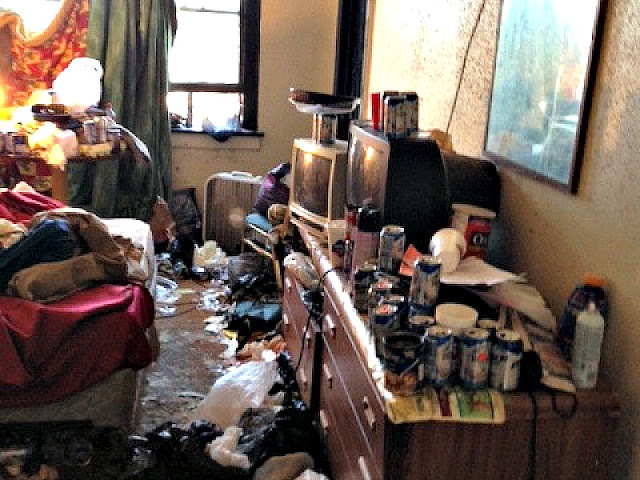 This former flop-house was really crappy, shady place; lots of junkies &drug dealers hang in here. 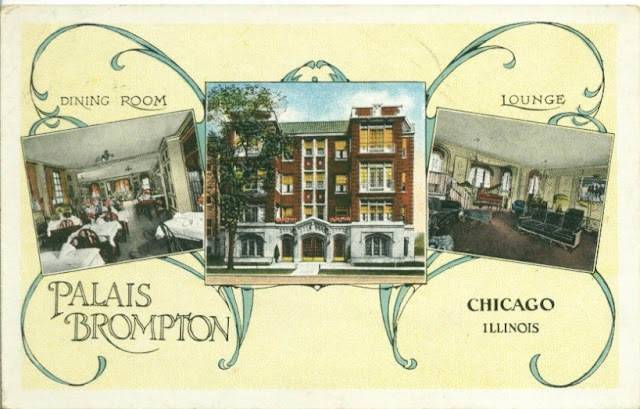 Some rooms had shared bathrooms. 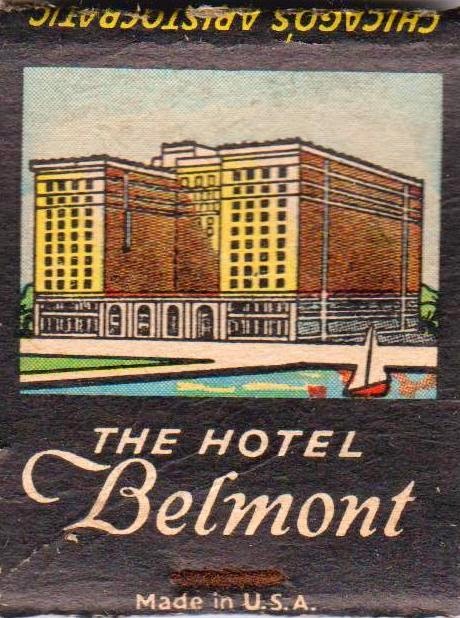 This hotel was closed in 2006, demolished and a condo building was built on the land by 2009. 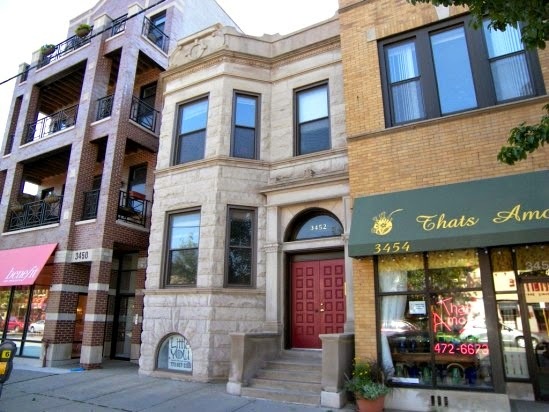 This SRO last operated in 2005 and was replaced by a Pot Belly and Jamba Juice on street level with condos above. 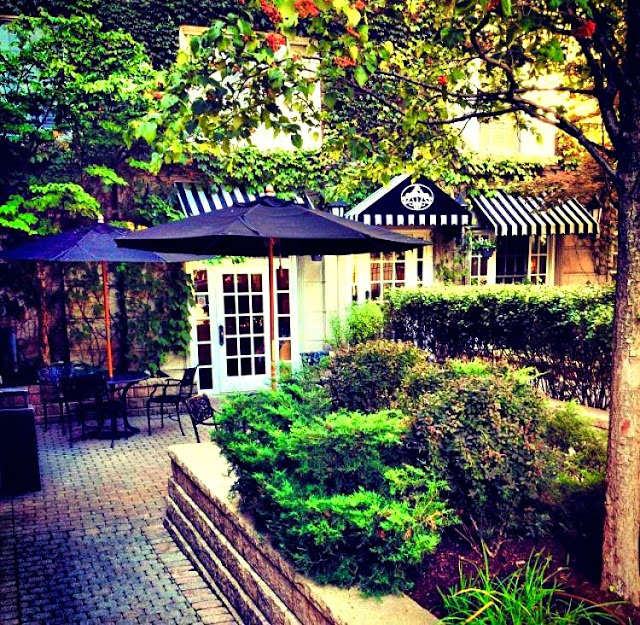 The Julian used to be owned by the Labunski family, who ran Cedar Realty. 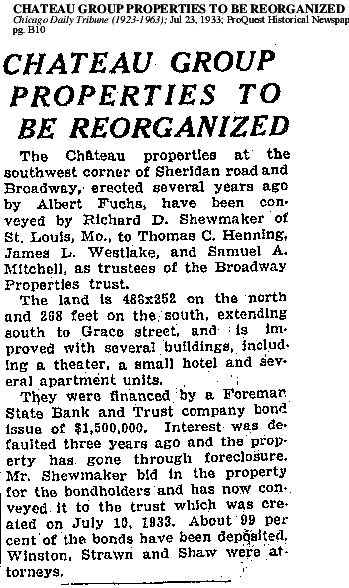 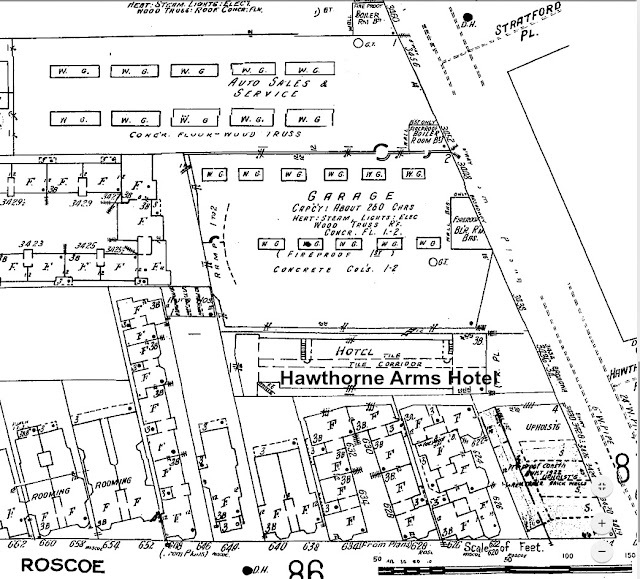 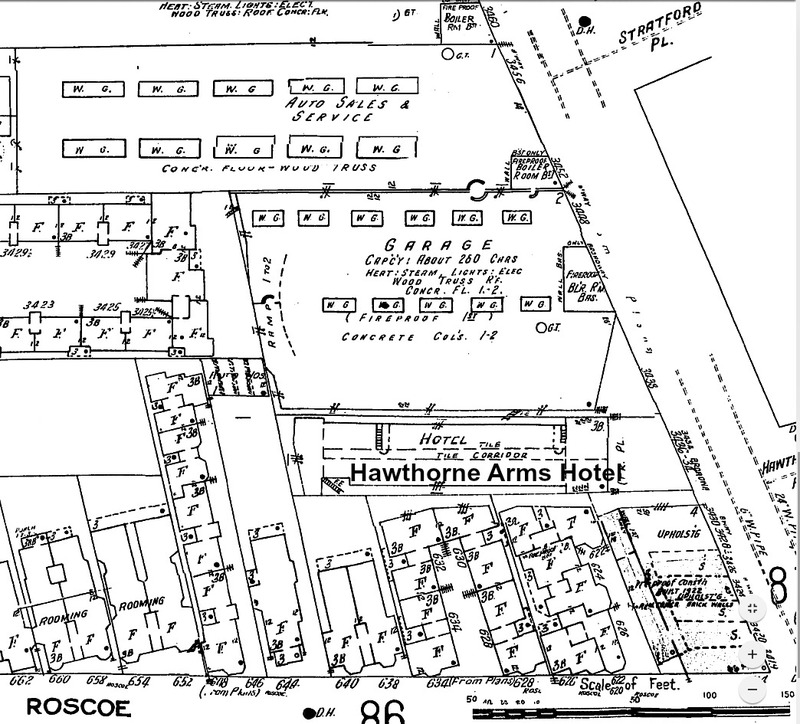 They also owned The Ambers Hotel, but sold both to alleged slumlord & political connected Jack Gore. 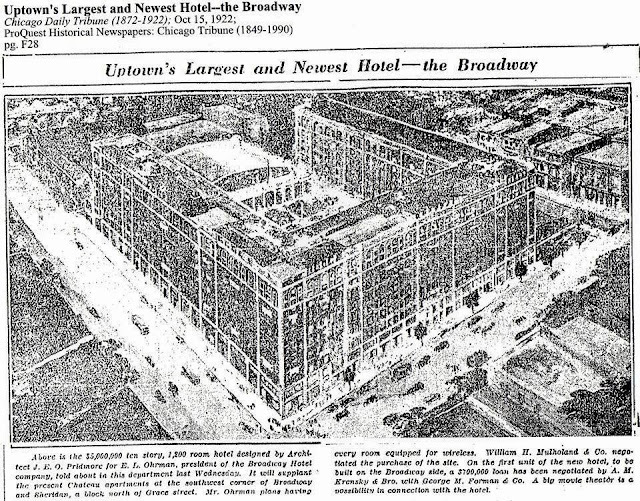 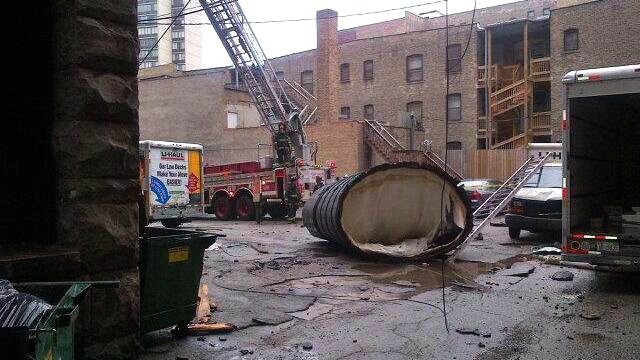 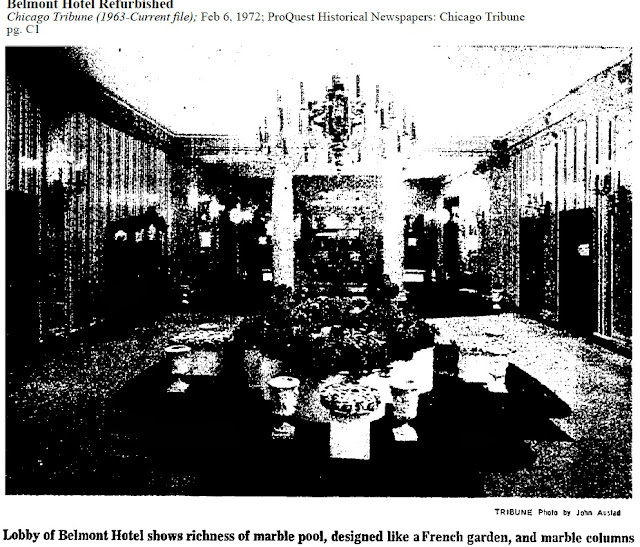 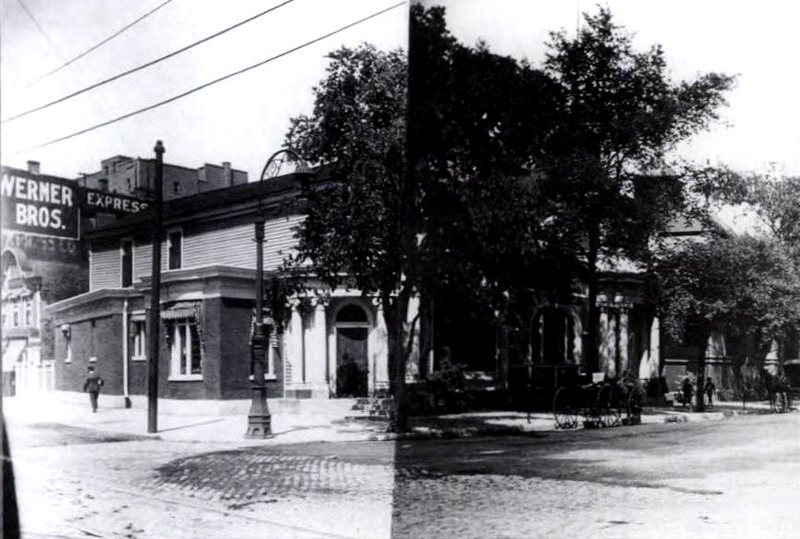 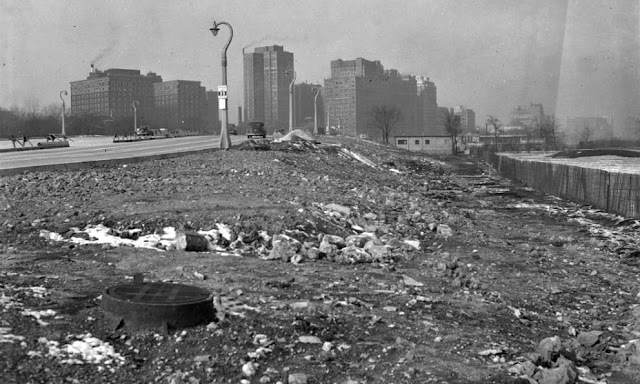 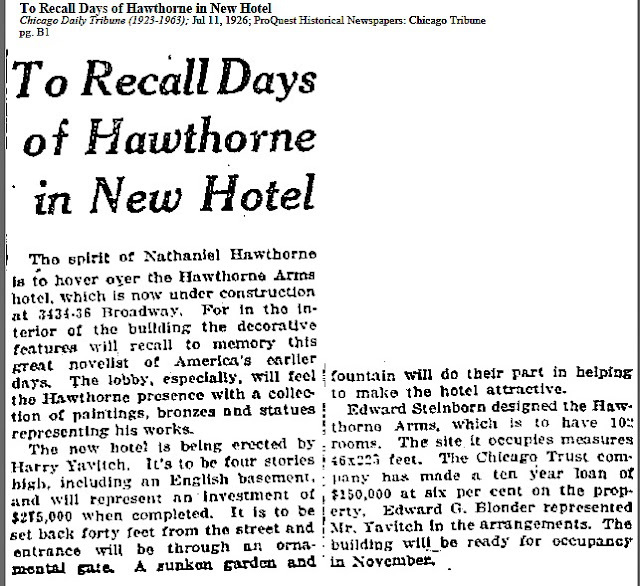 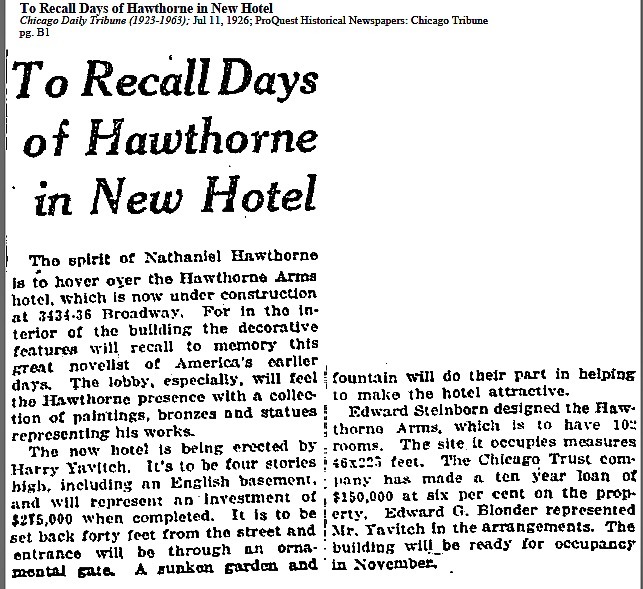 The former hotel was adjacent to the Julian Theater that was also demolished in 2005 according to Chicago Now. 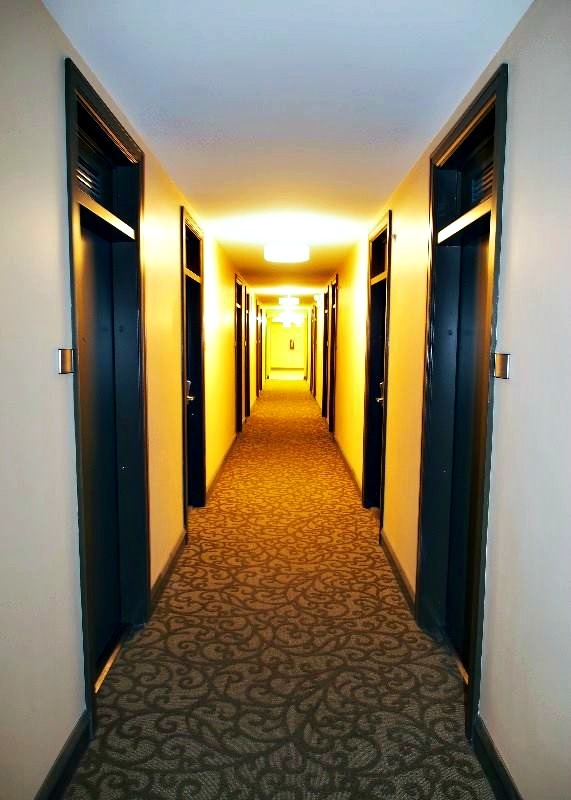 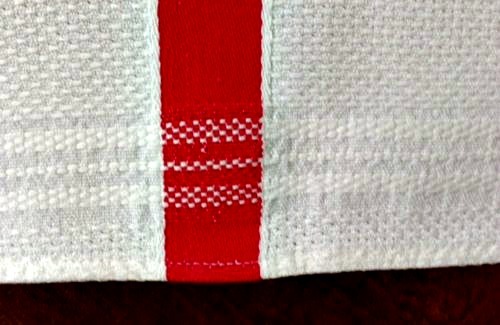 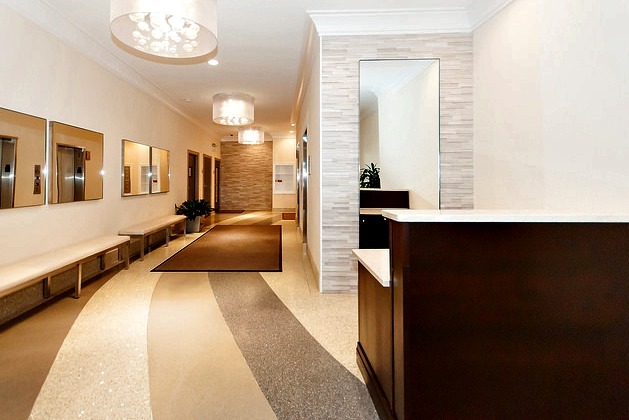 BJB Properties bought a number for SRO's and renovated them during the 2010's. 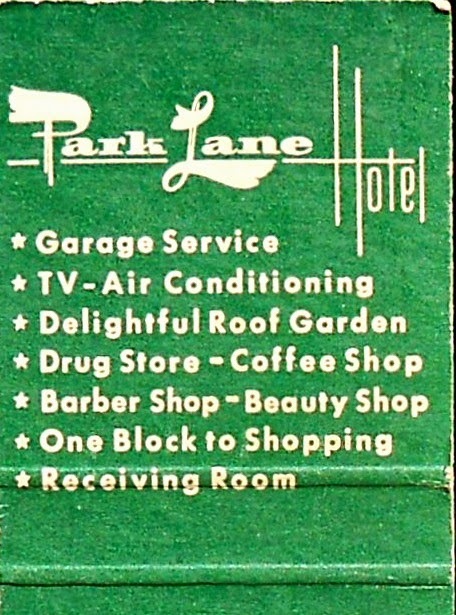 Below is their list in Lake View. 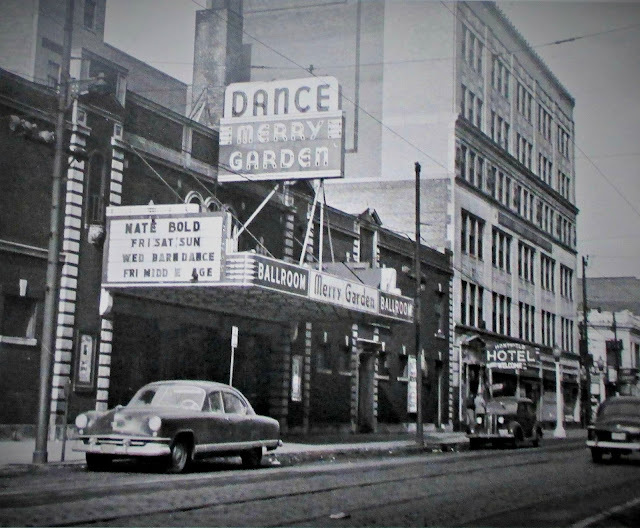 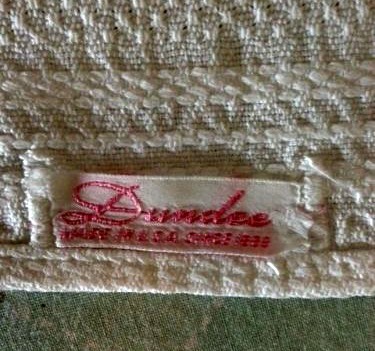 This blogger remembers in the early 1990's that his building located between a public parking garage and a grocery store was a less than colorful segment of Broadway Avenue located 1 1/2 blocks from my studio apartment building. 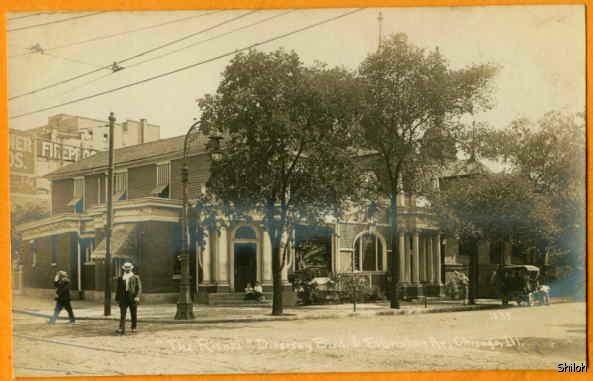 Across the street is the Hawthorne Historical District. 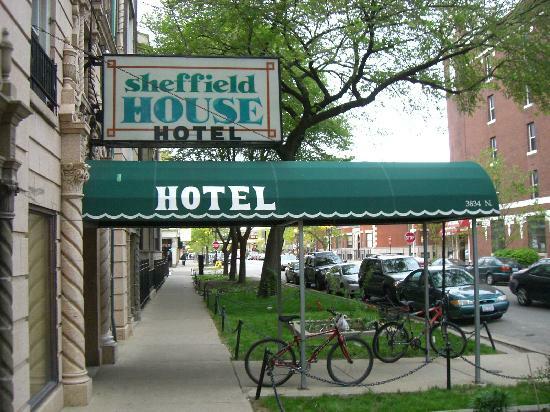 In 2005 Frommer's Guide called it a former flop house. This hotel chain did an excellent job rehabbing this eye sore in the mid-1990's. 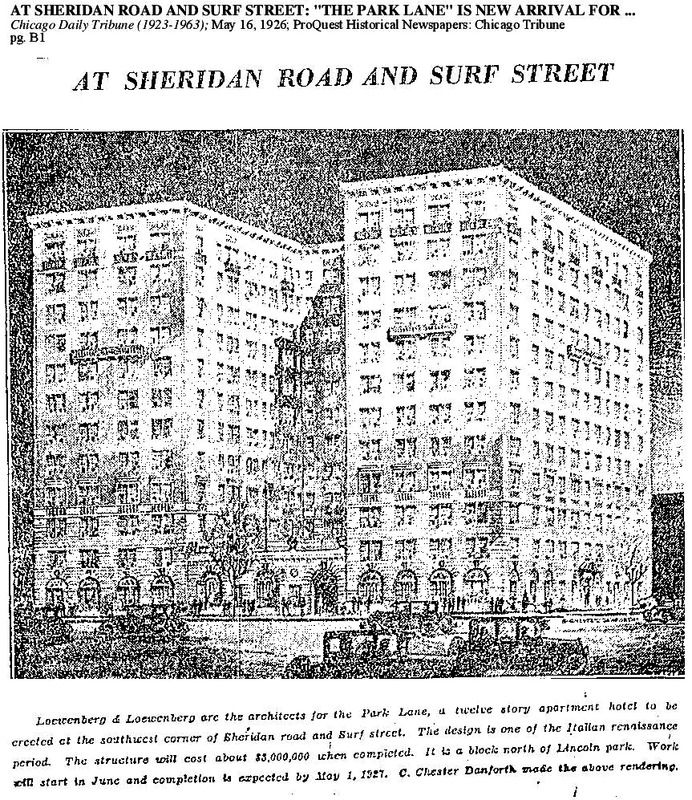 Below are some articles of the buildings past. 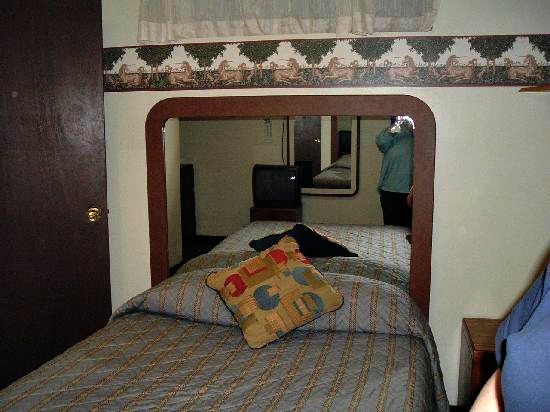 'in-state' vacation get-away. 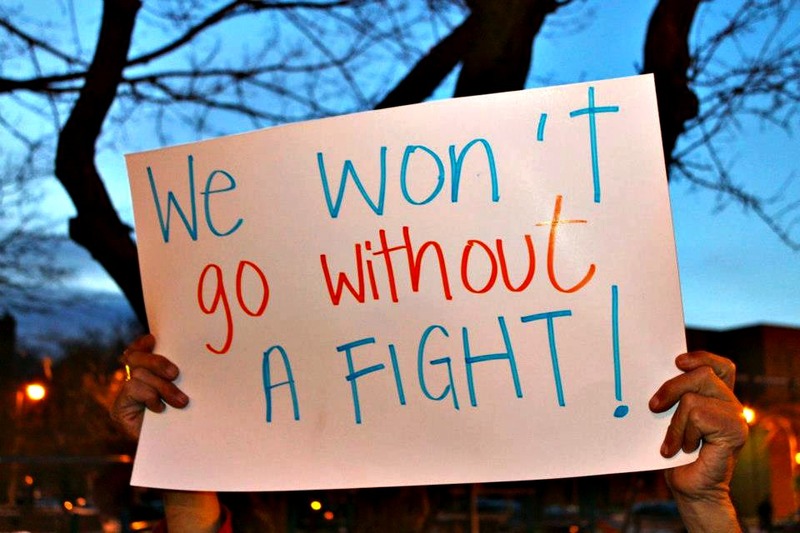 One day, maybe this blogger will! 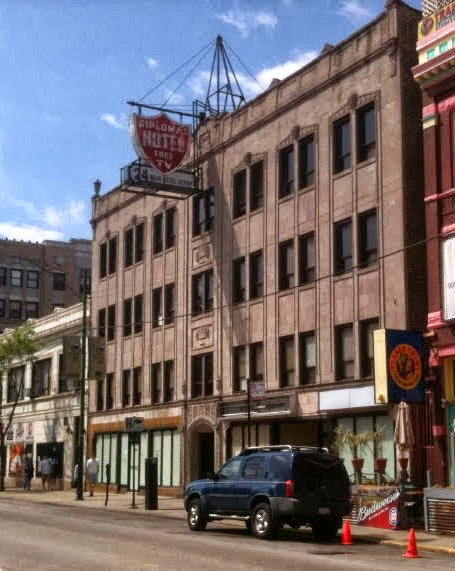 This old 'brown stone' is located at 3222 North Sheffield Avenue. 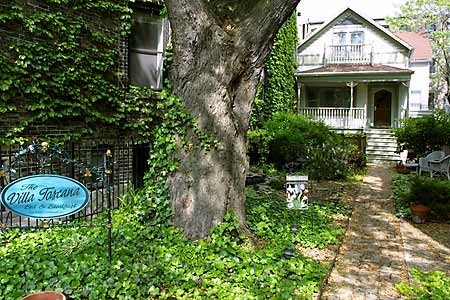 The owner of this B&B writes a simple blog about events in Lake View called Virginia's Little Guide. 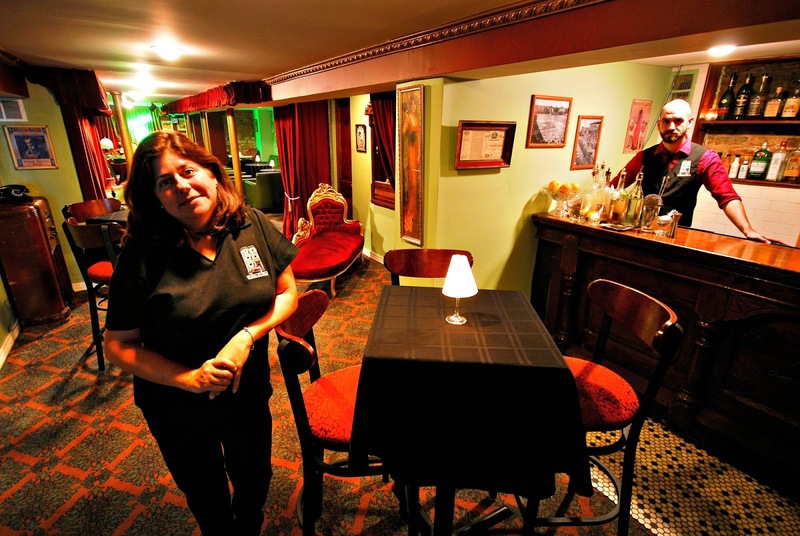 According to Southport Corridor News and Events the biz closed in 2015. 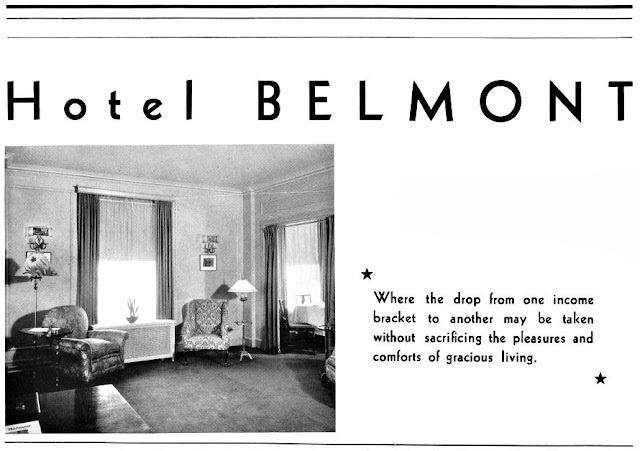 - advertised more as an Inn than a B&B. 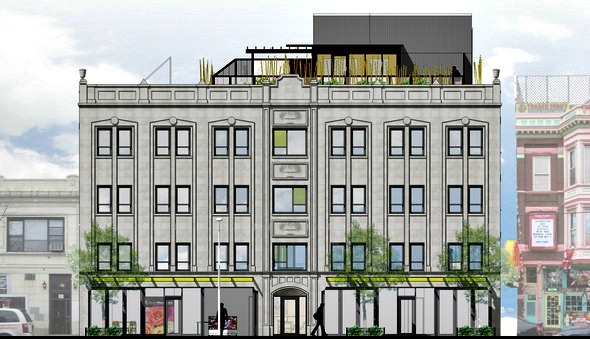 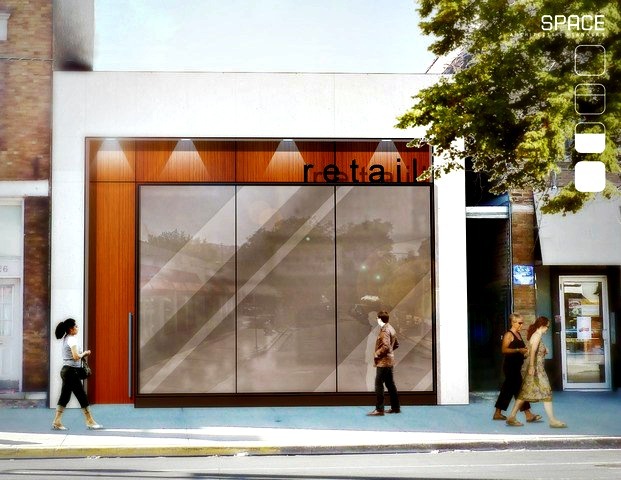 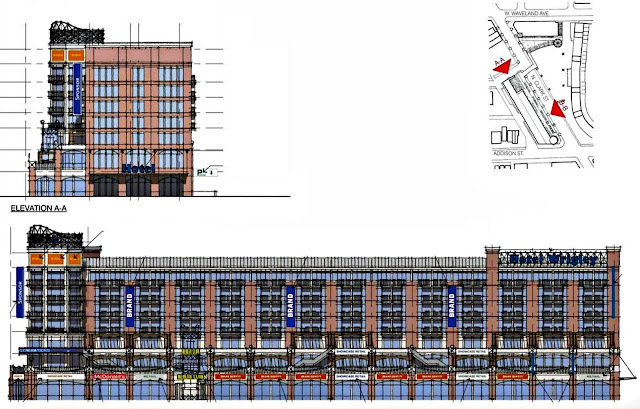 In 2016 the building was to be demolished for a new commercial development - with the rendering above. 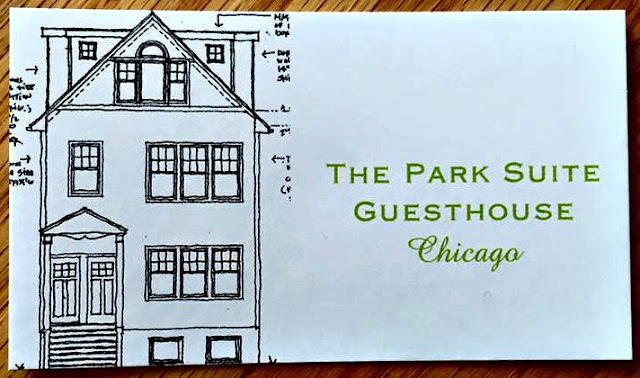 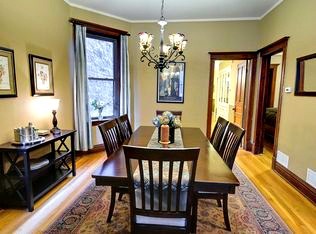 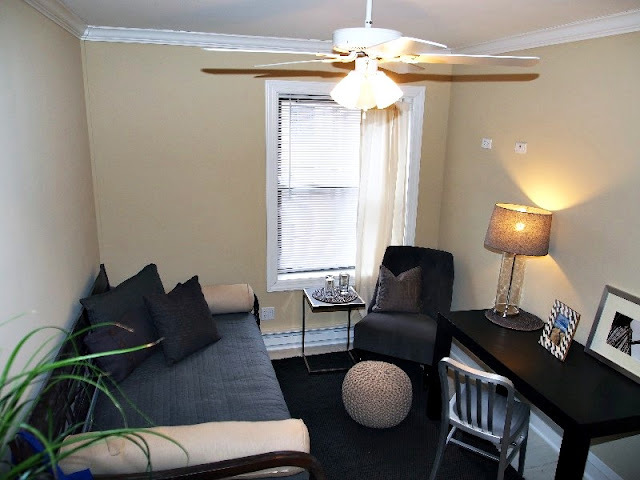 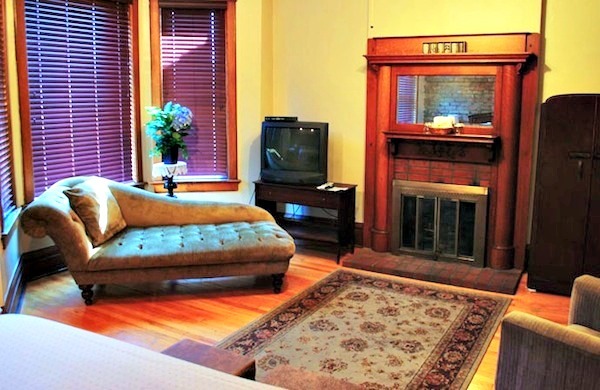 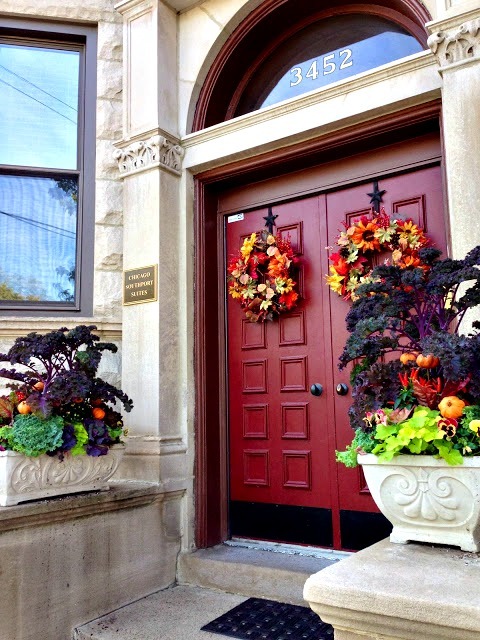 "Carefully renovated and decorated for our children's grandparents to visit, the Park Suite Guesthouse is a two bedroom,1st floor rental in the heart of Lakeview/Roscoe Village. 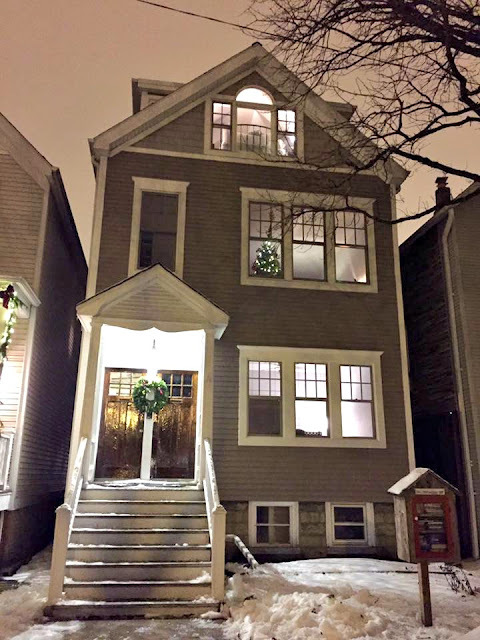 Our family of five lives in the duplex above."